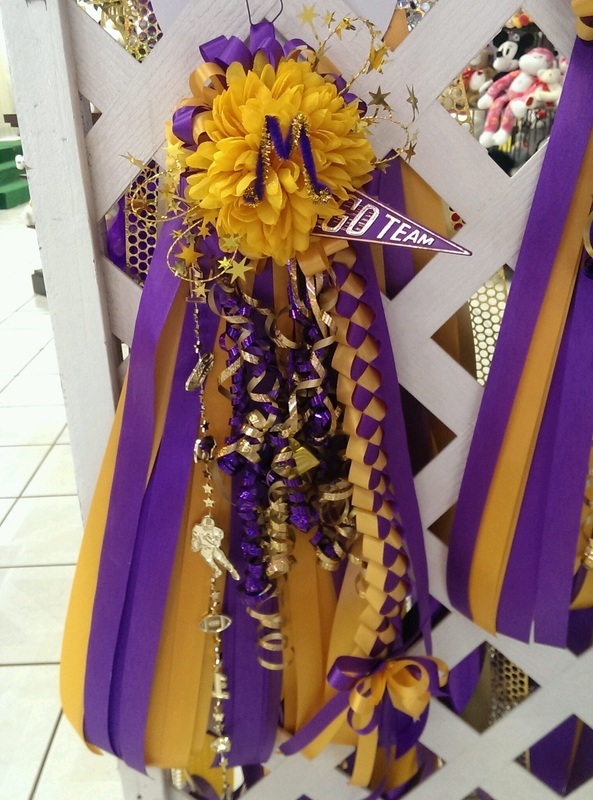 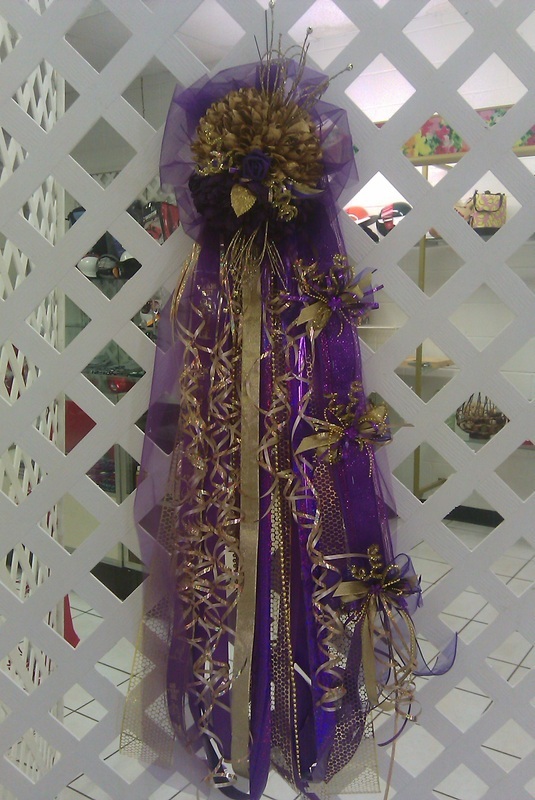 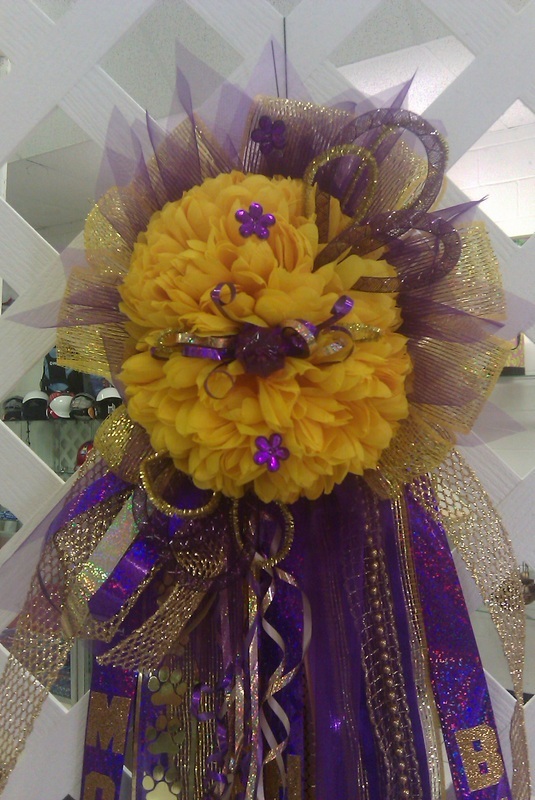 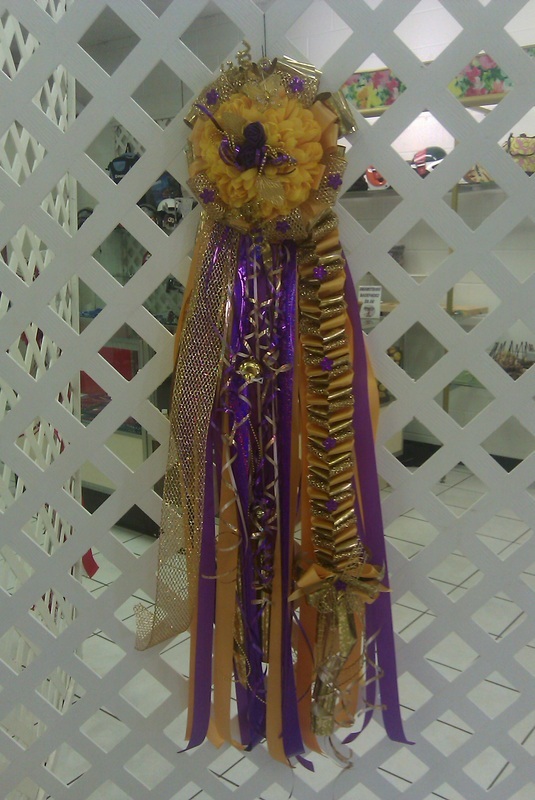 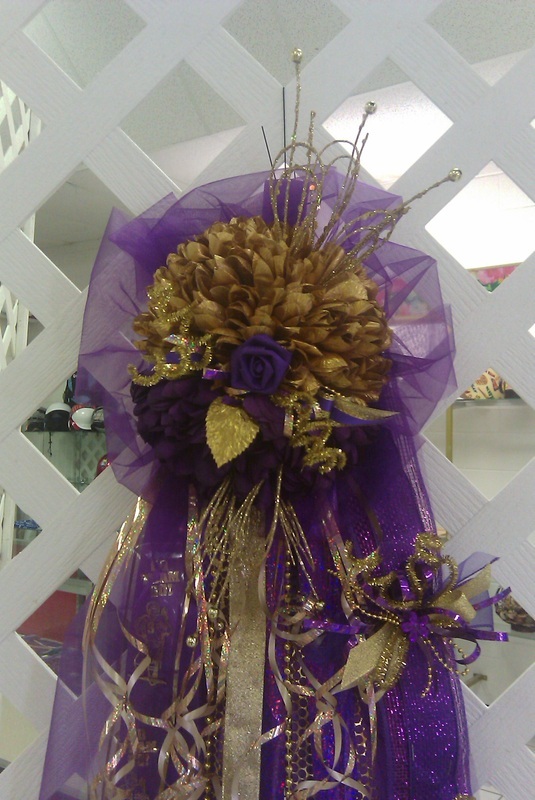 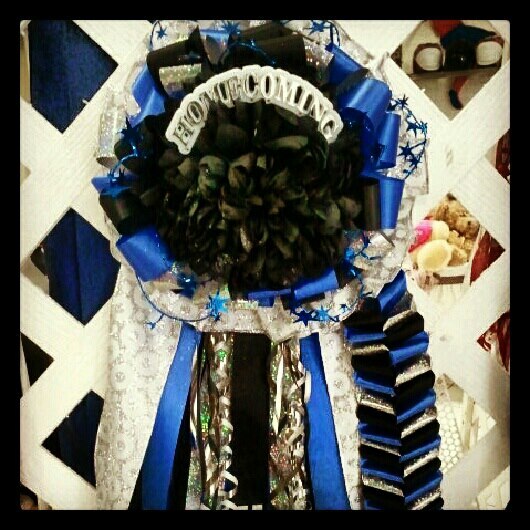 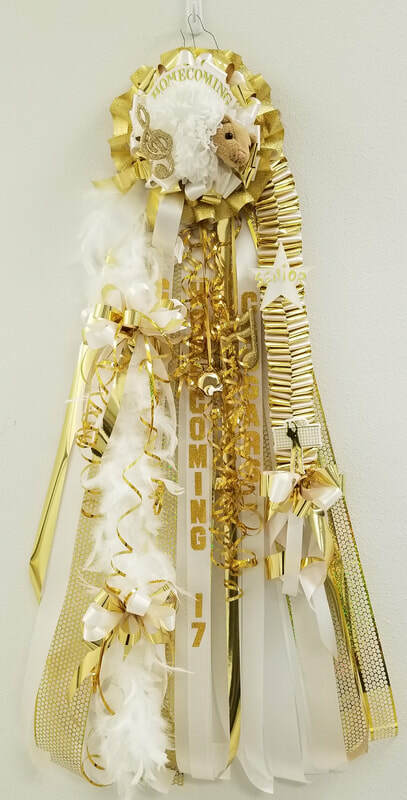 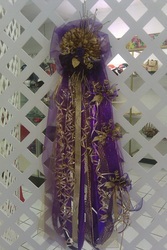 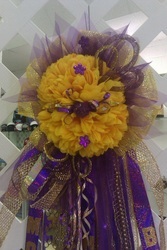 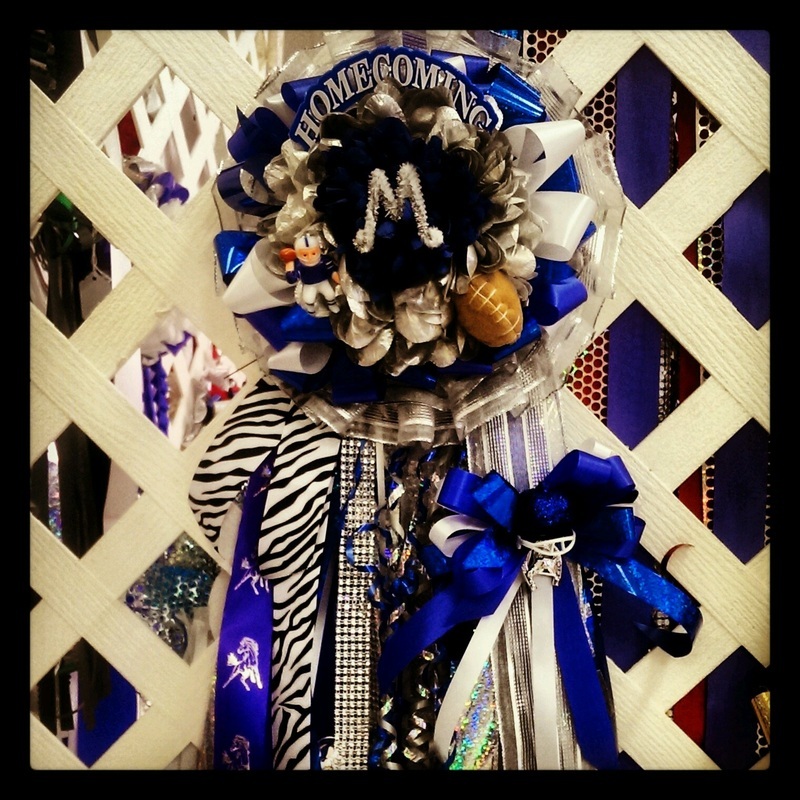 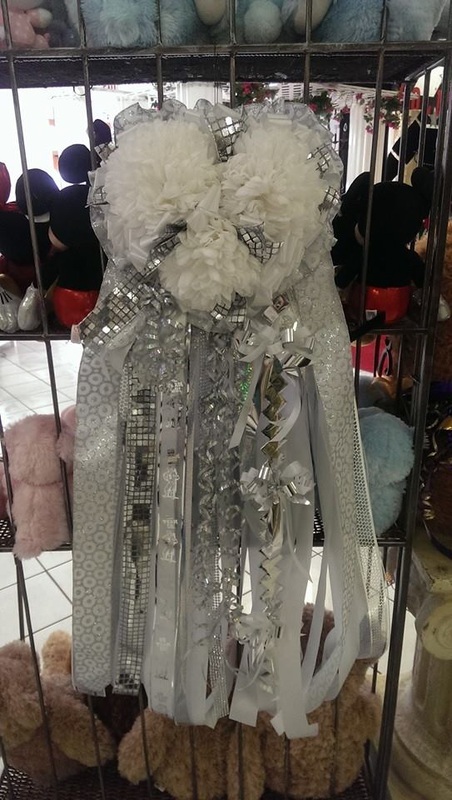 We are your Homecoming Headquarters providing you with all the latest in styles for mums and garters. We have the largest selection for you to choose from with in store one of a kind designs to choose from. We allow you to custom design your mum or garter to suit your style. 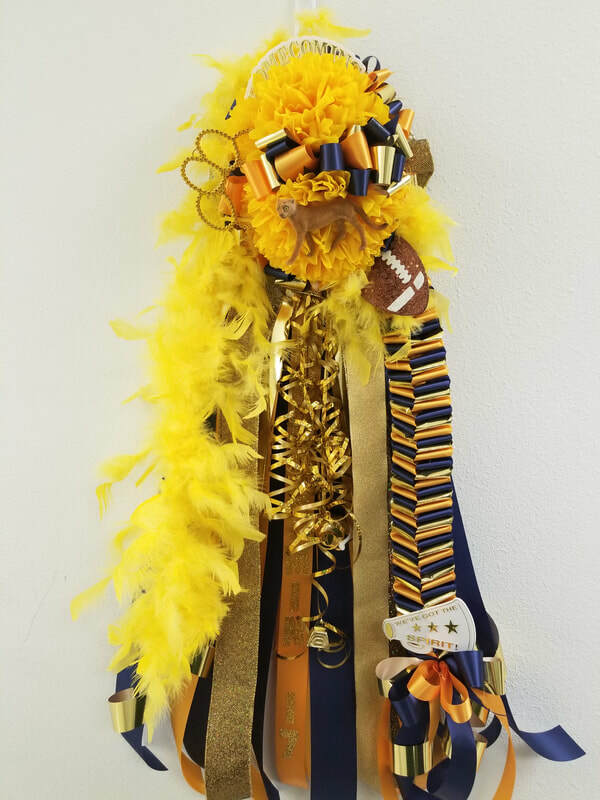 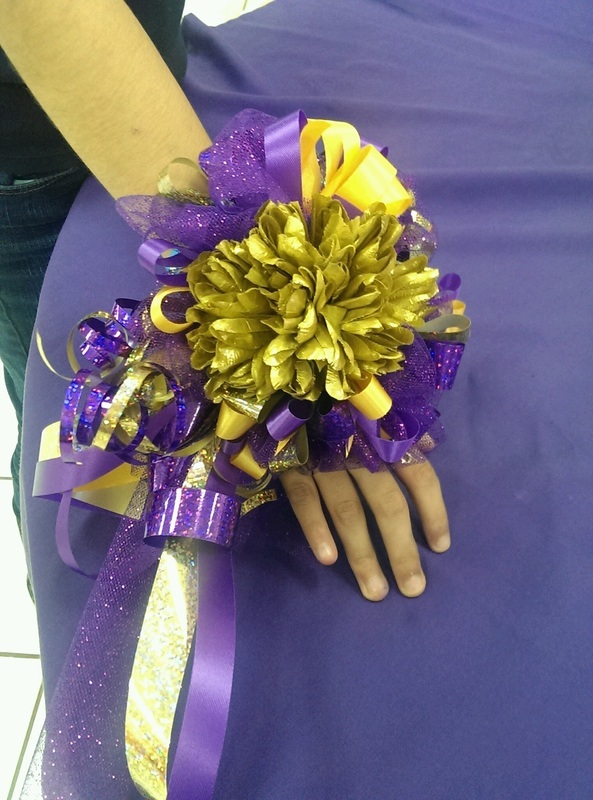 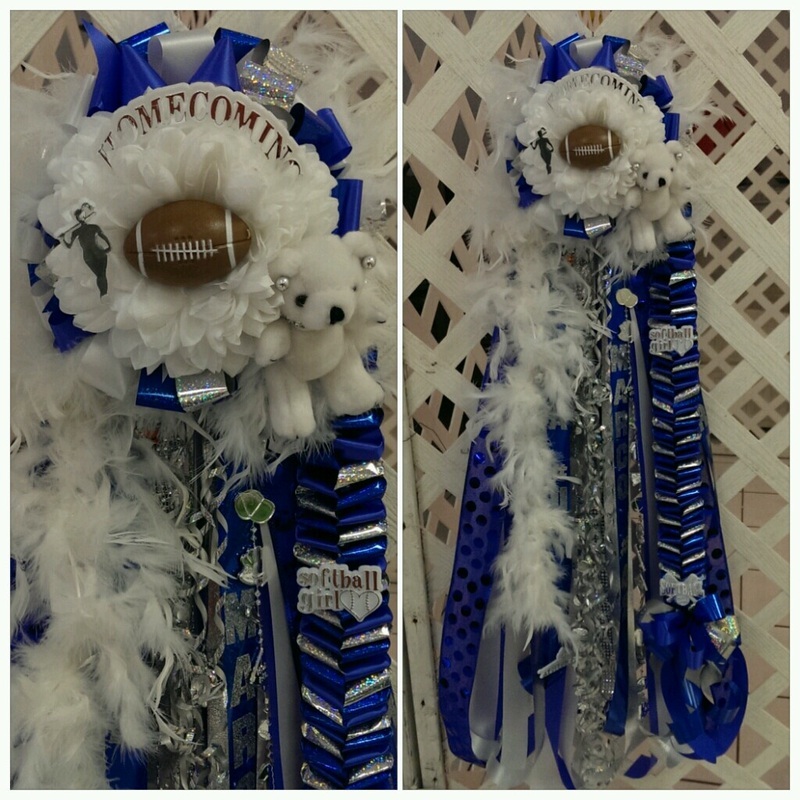 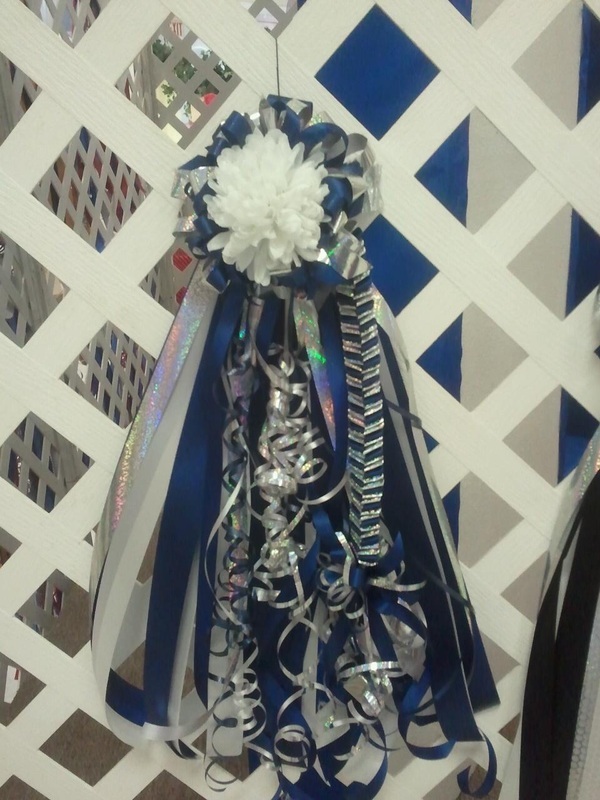 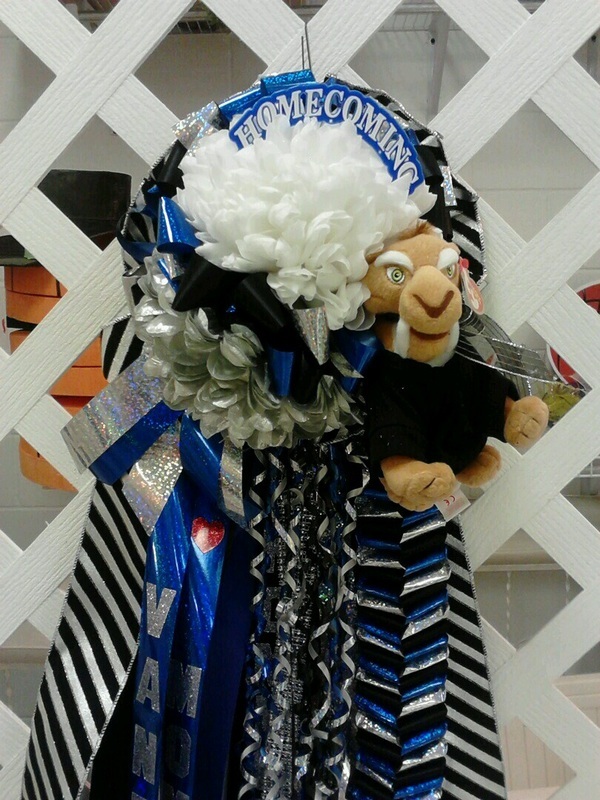 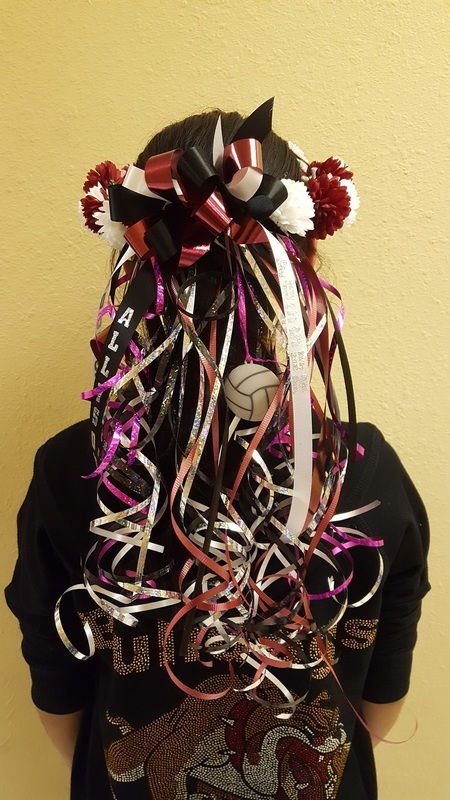 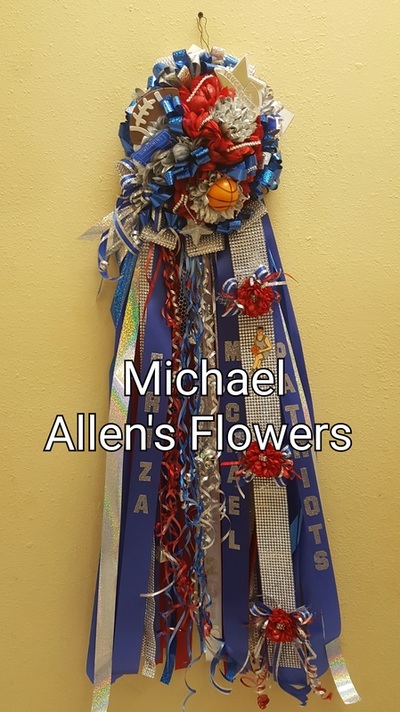 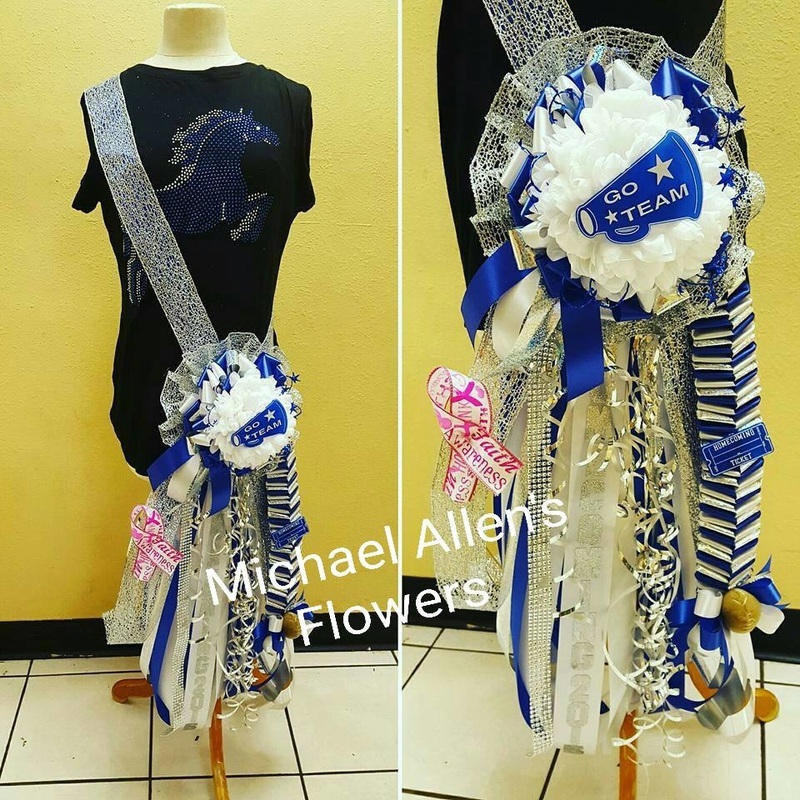 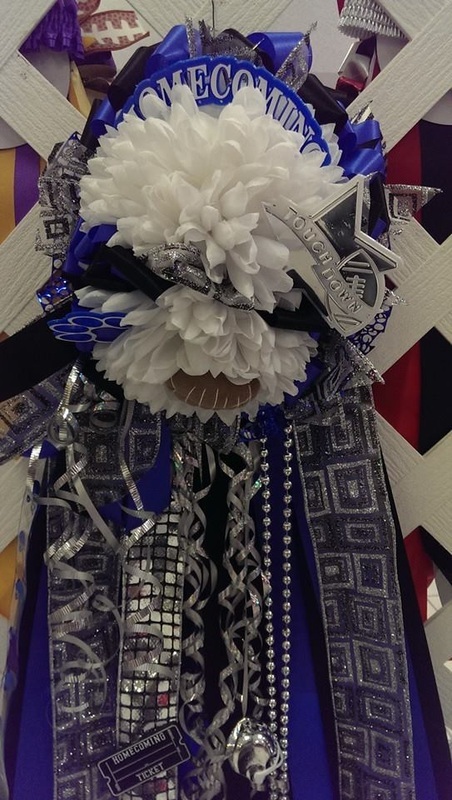 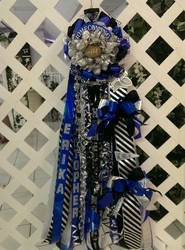 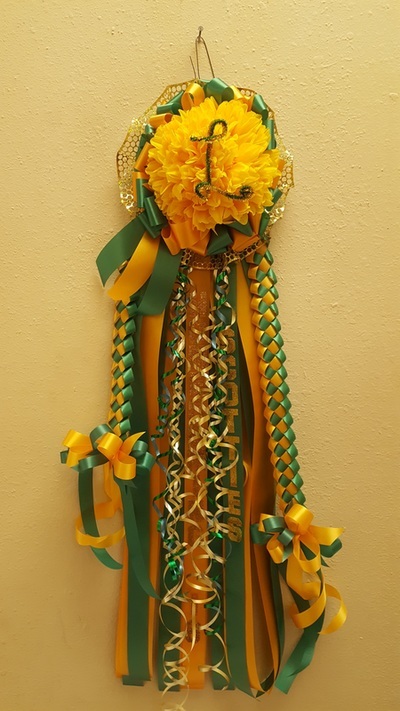 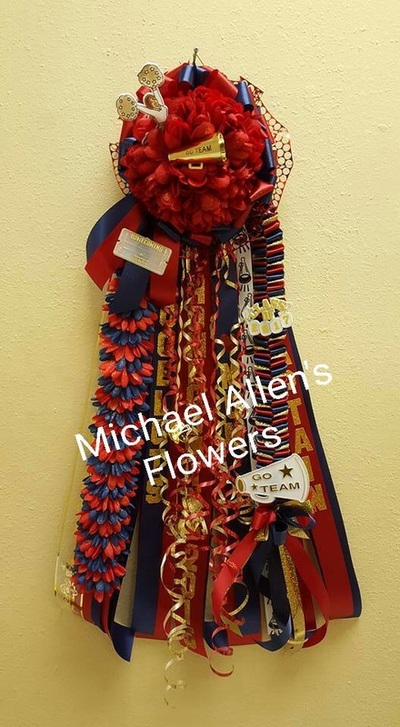 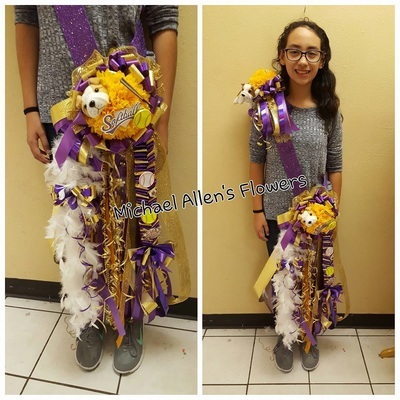 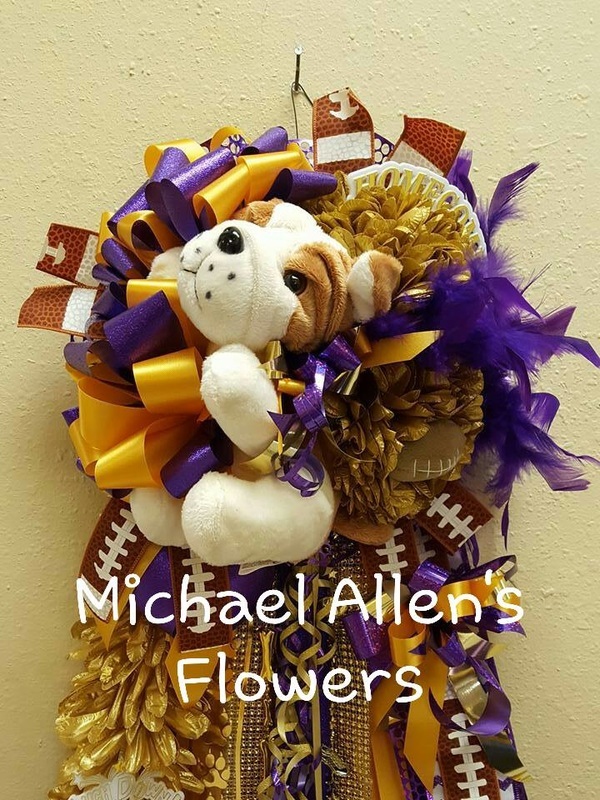 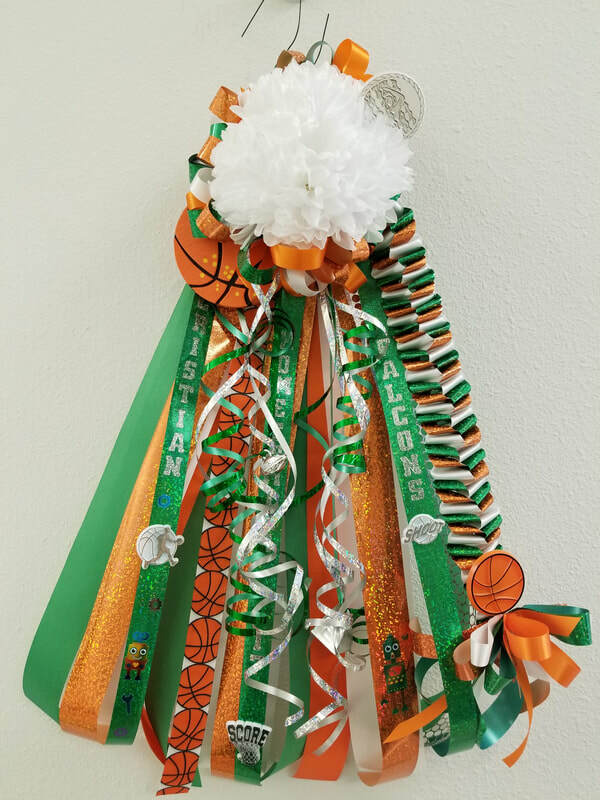 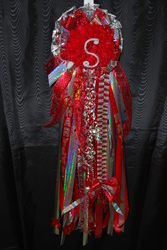 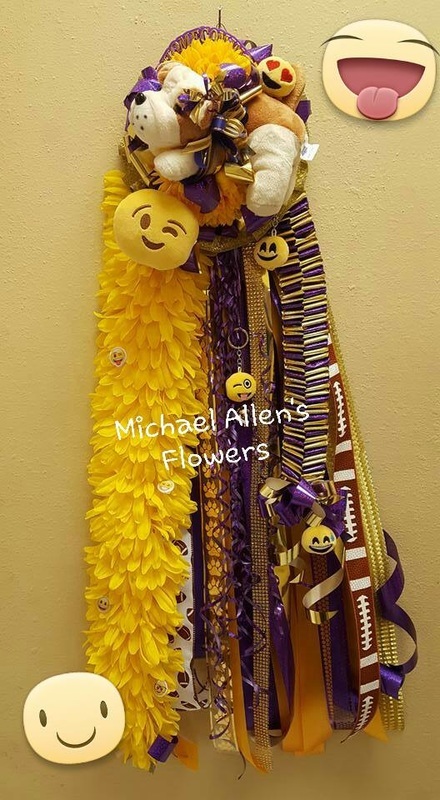 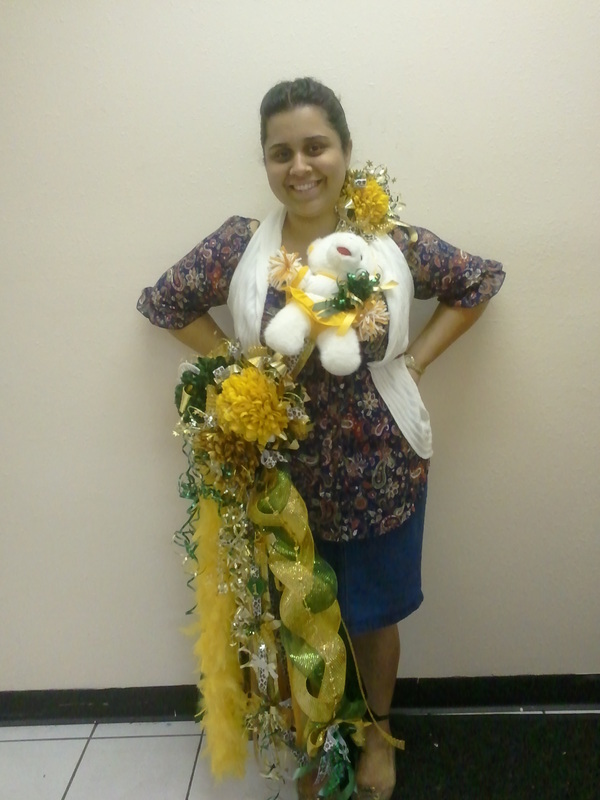 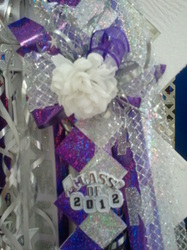 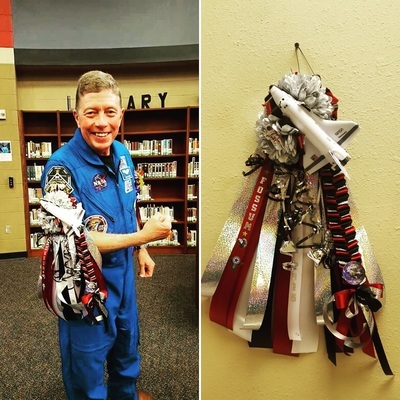 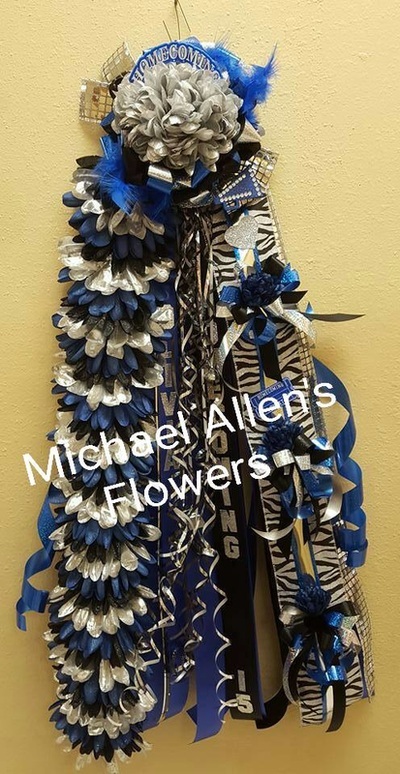 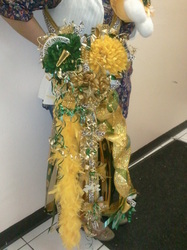 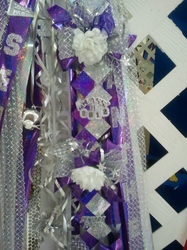 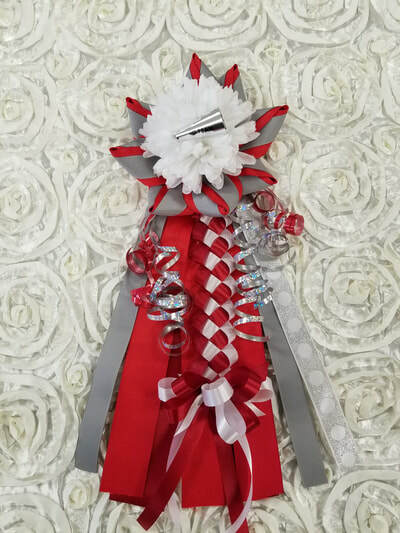 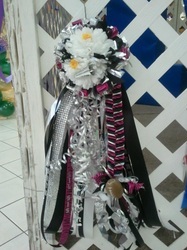 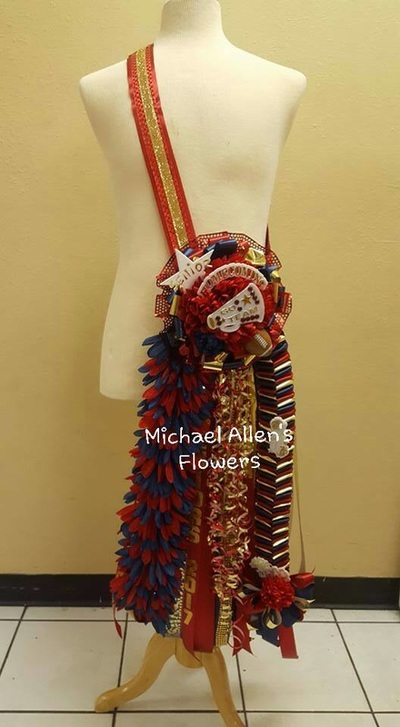 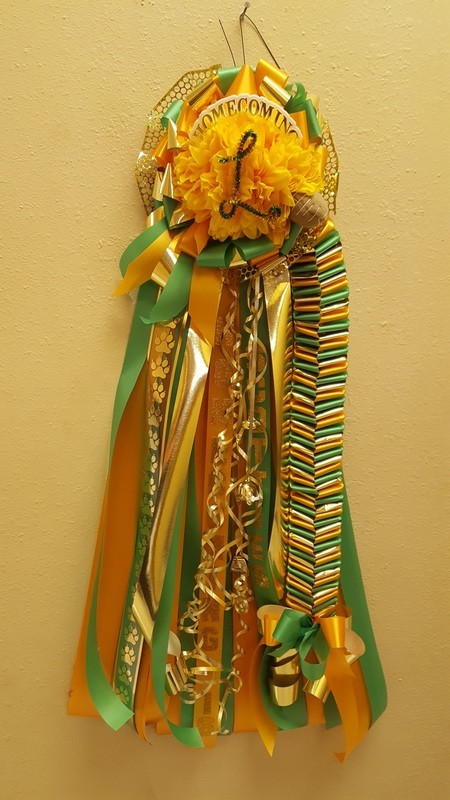 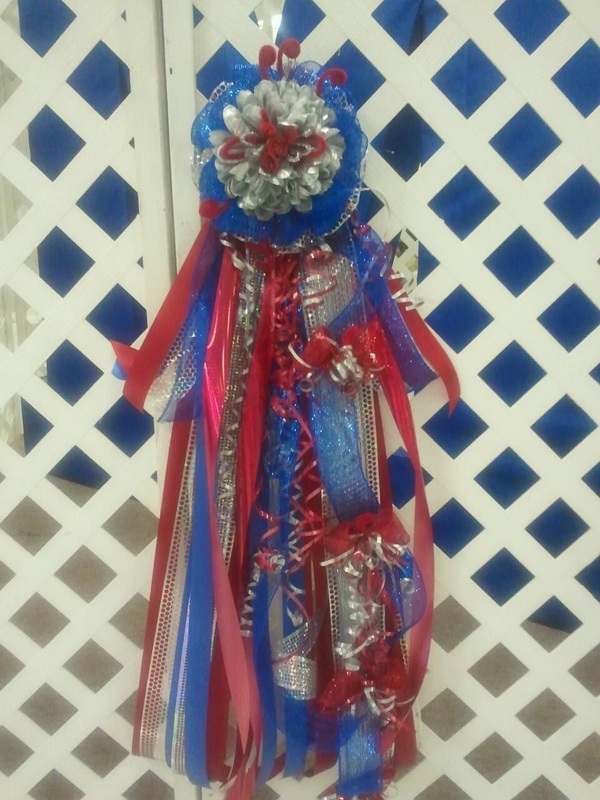 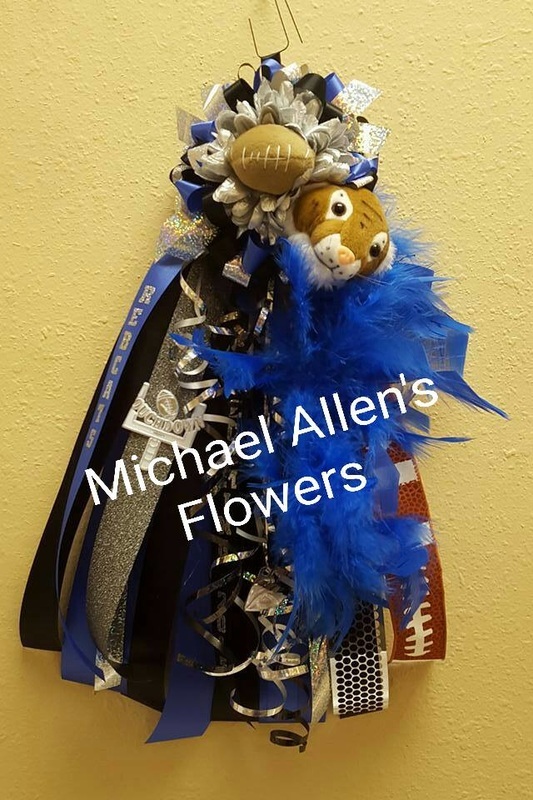 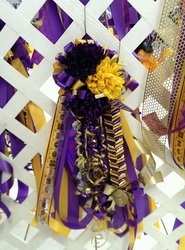 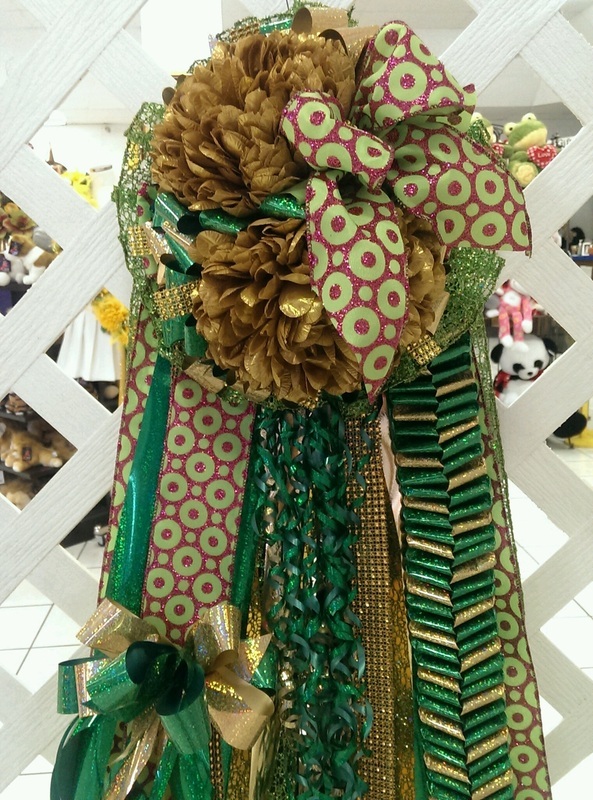 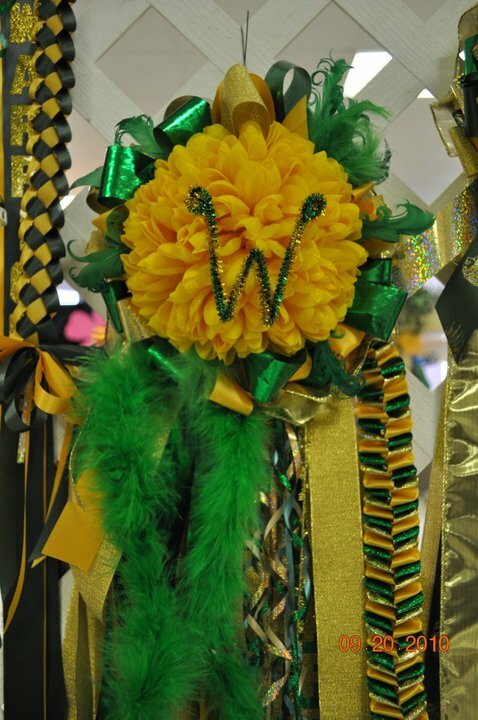 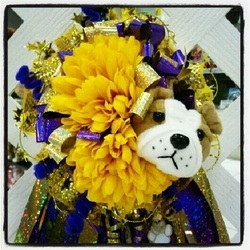 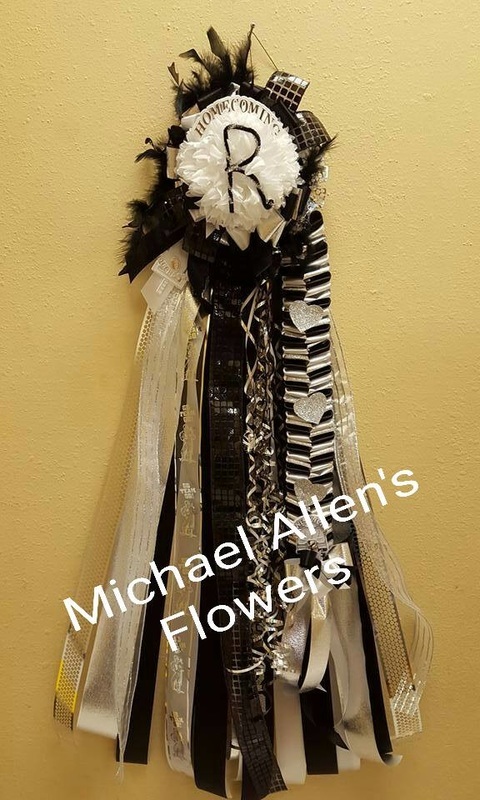 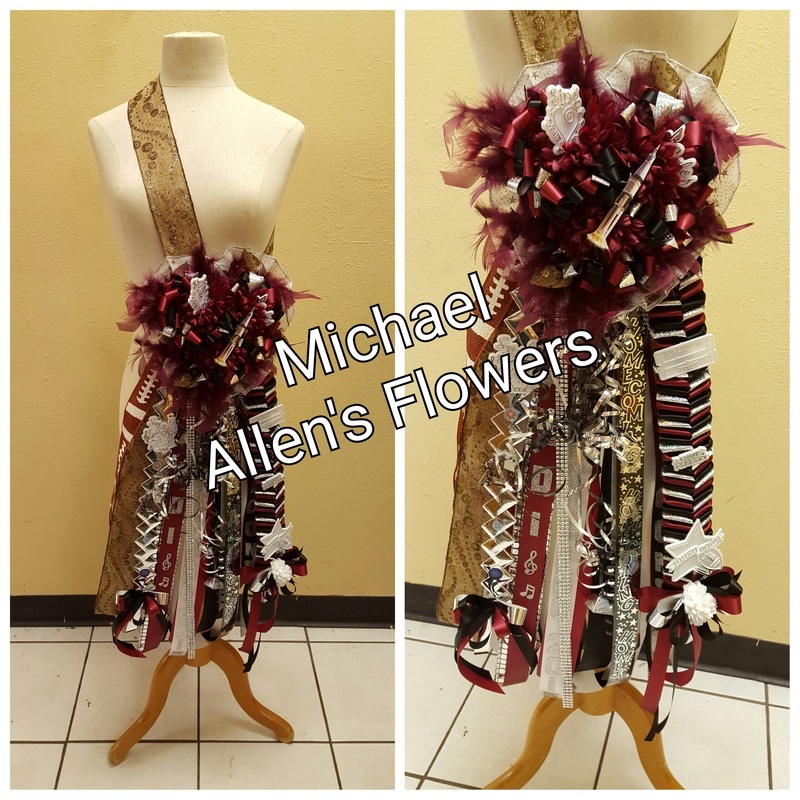 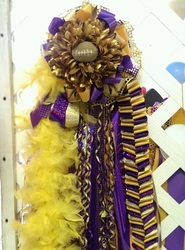 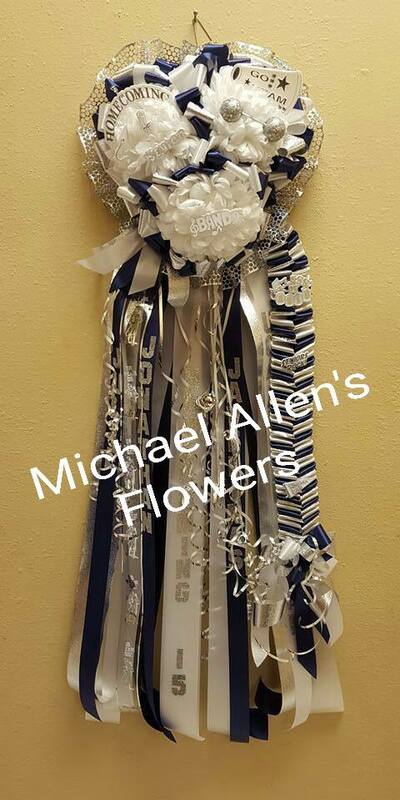 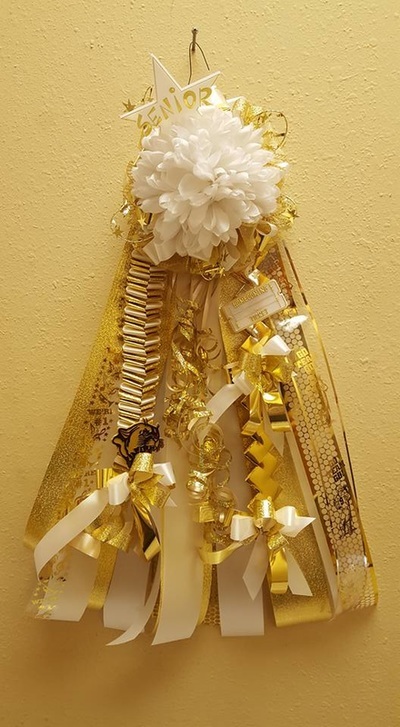 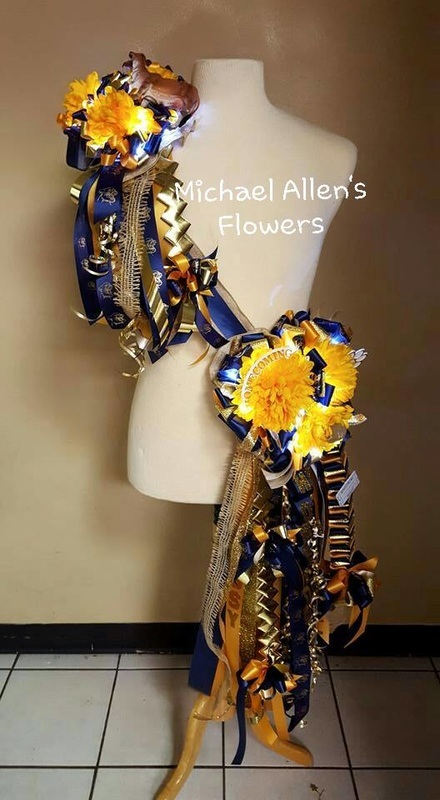 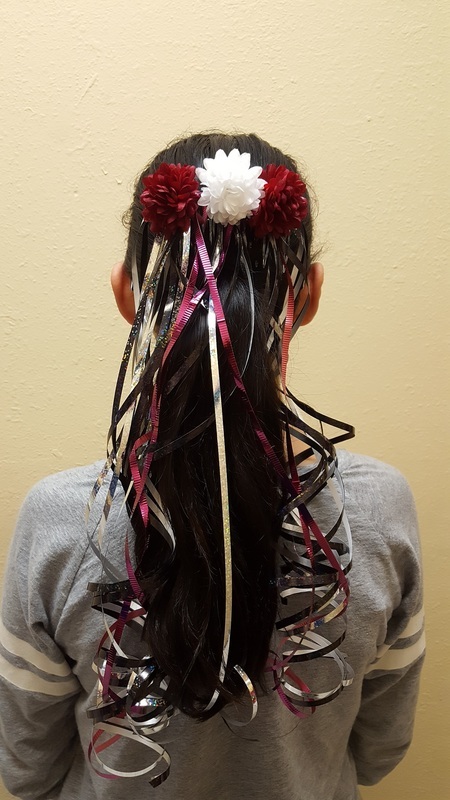 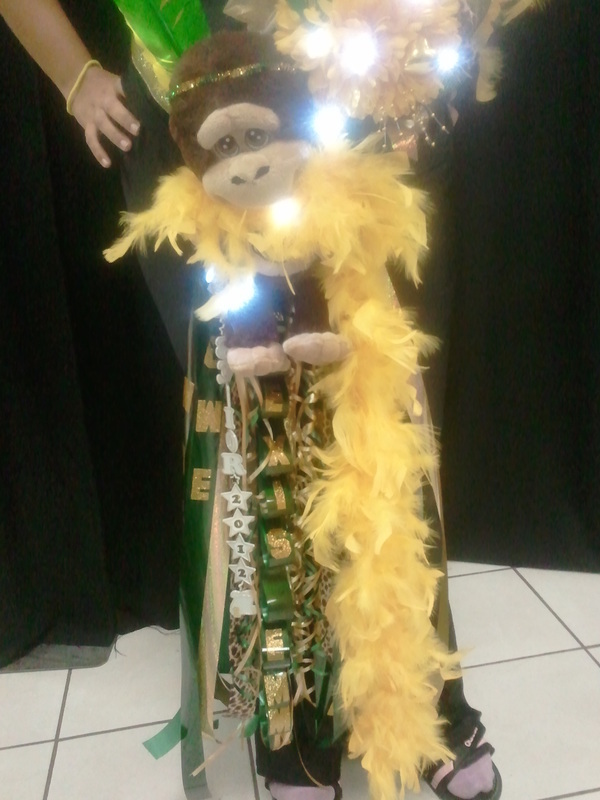 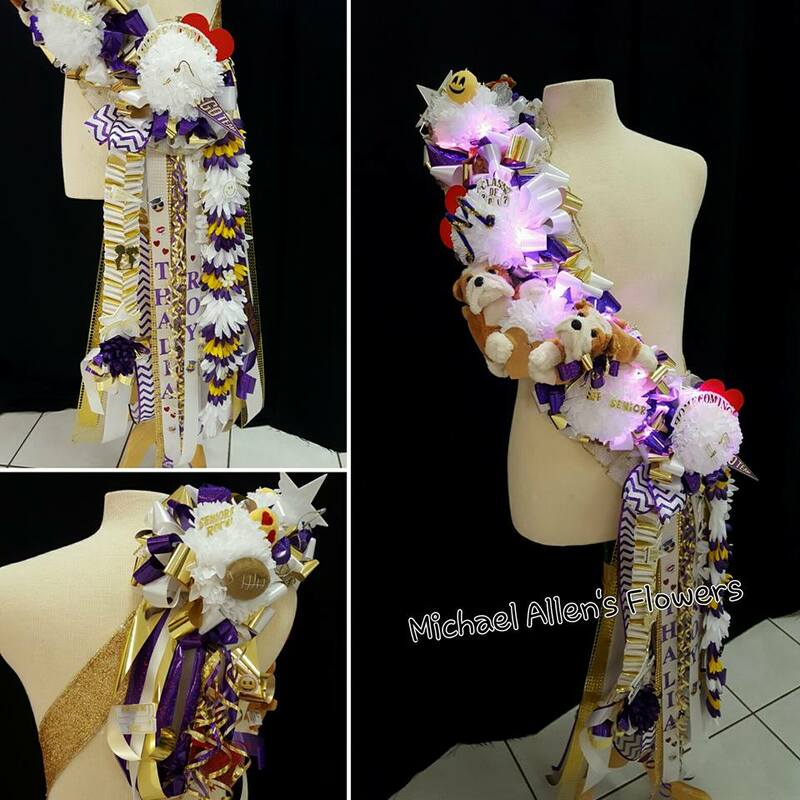 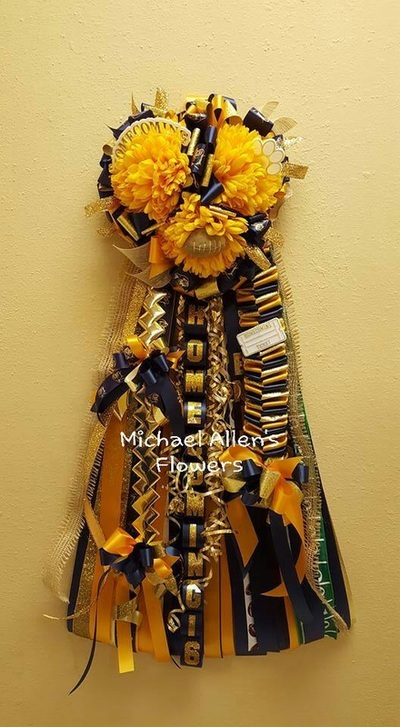 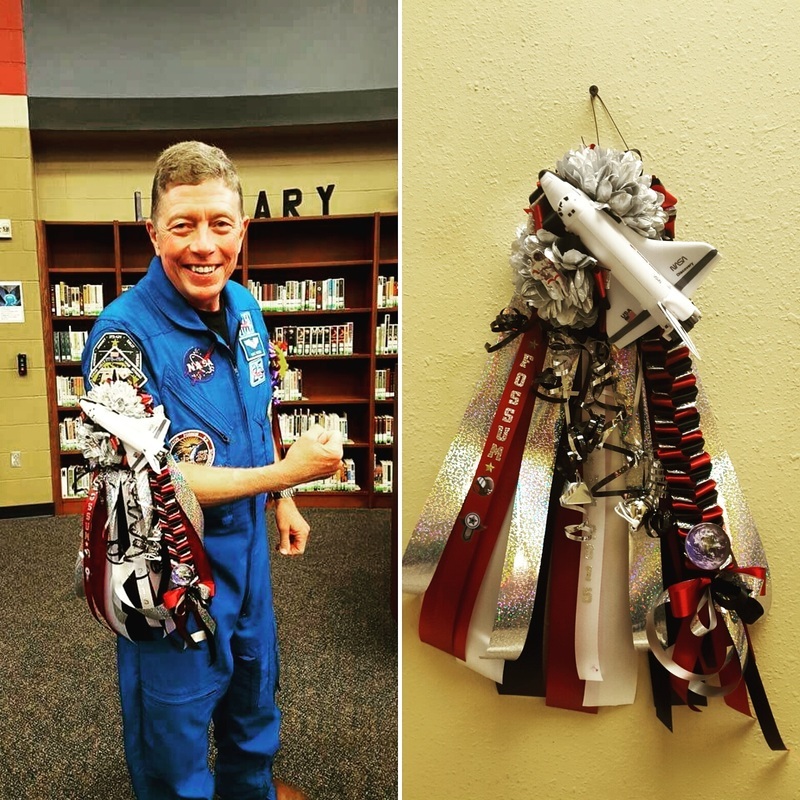 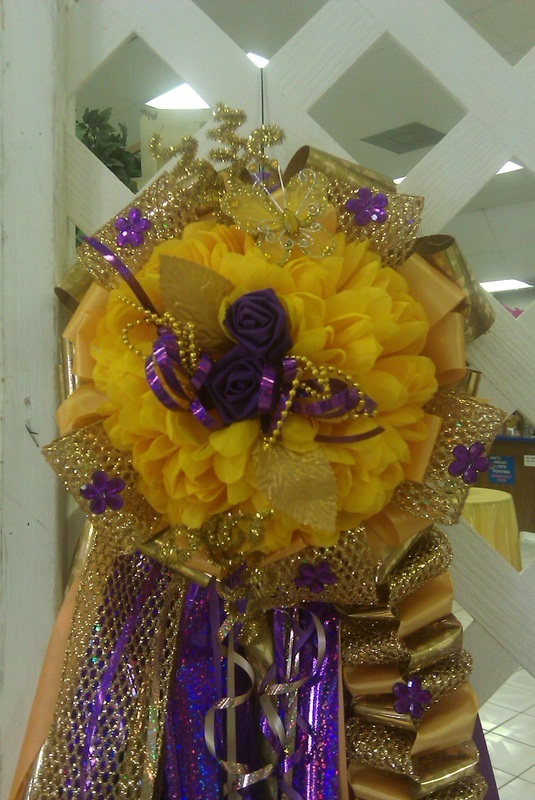 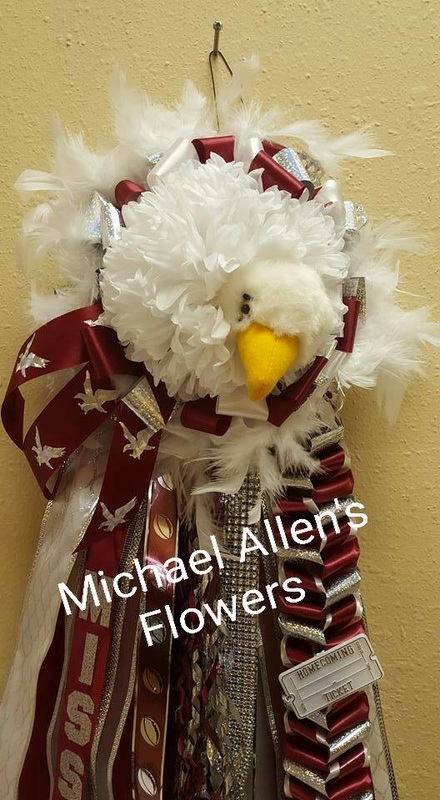 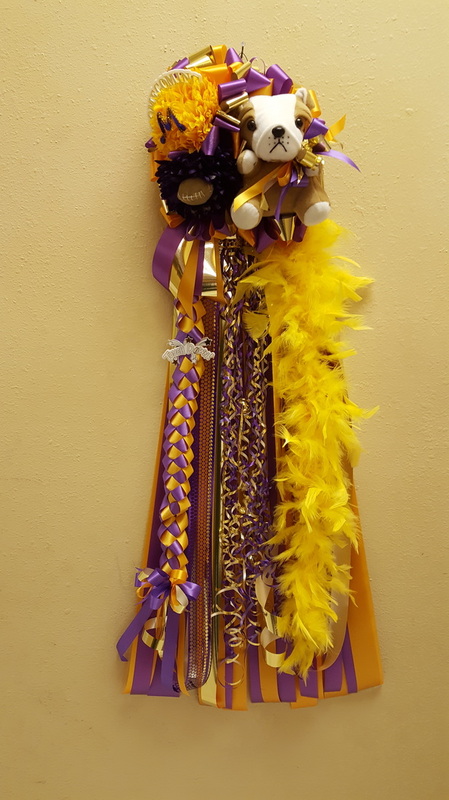 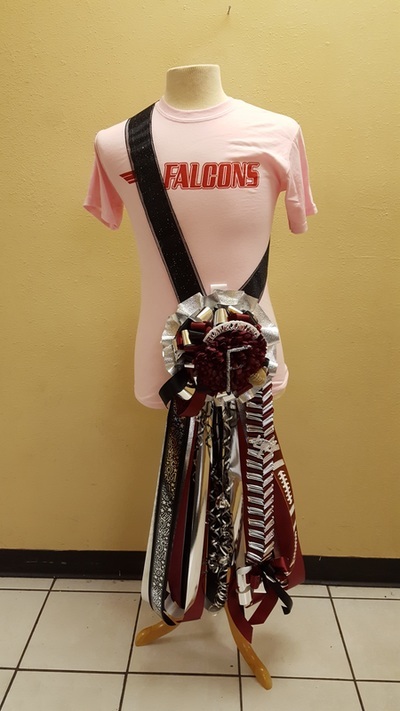 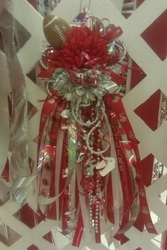 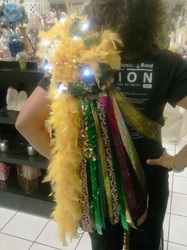 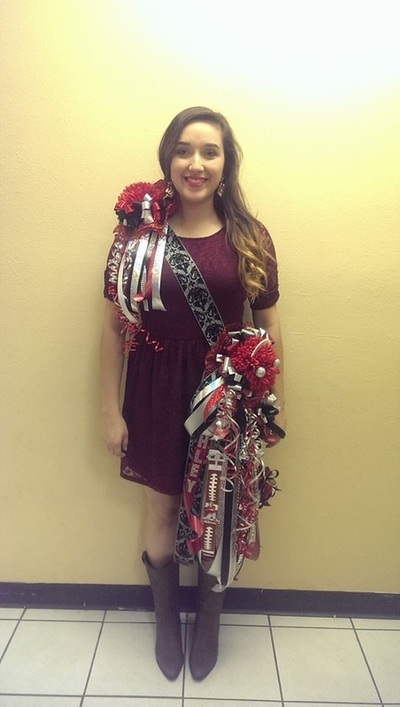 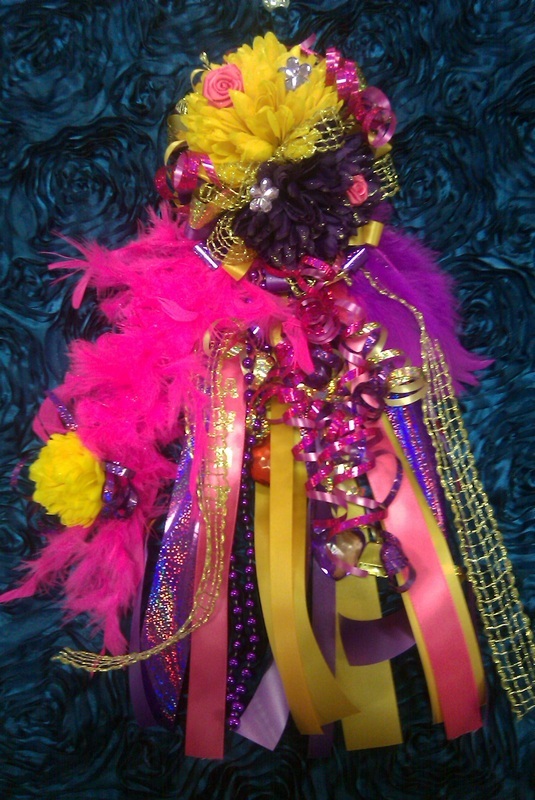 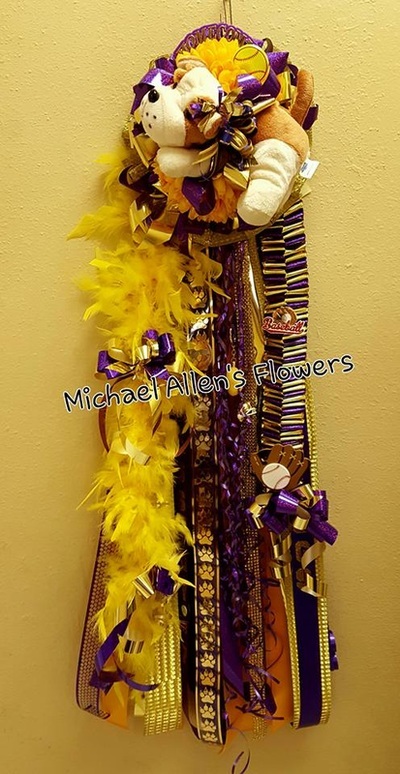 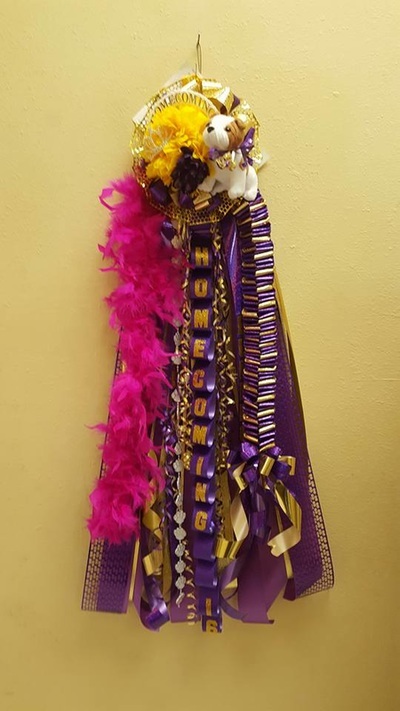 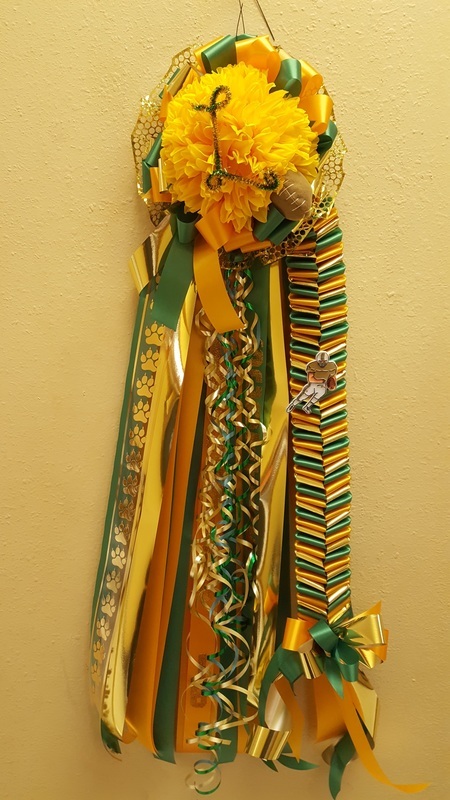 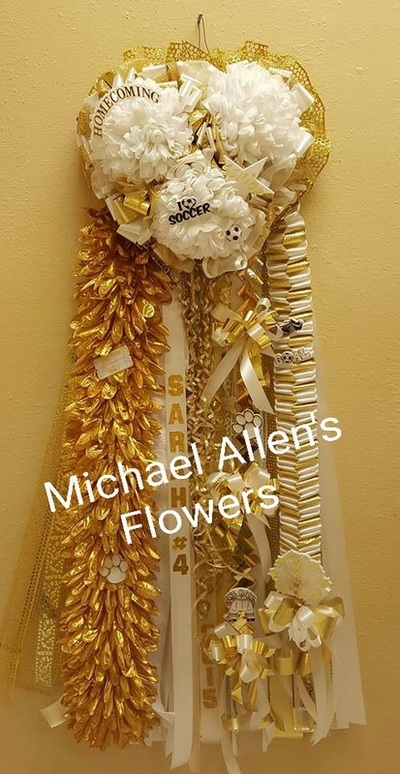 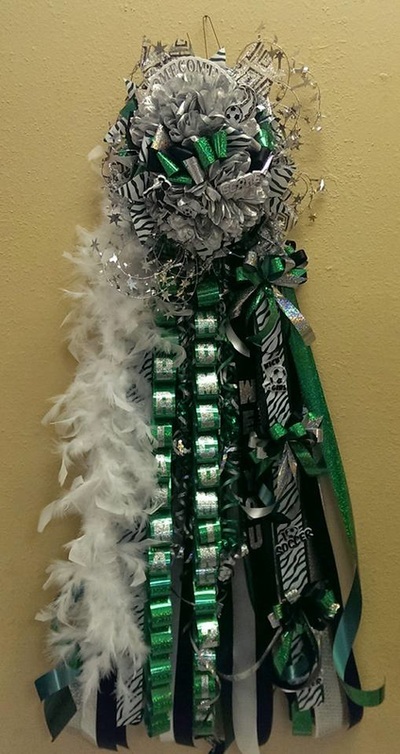 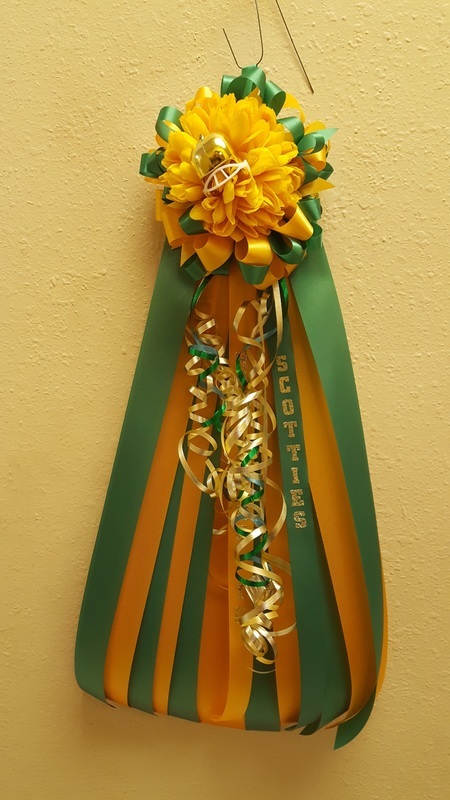 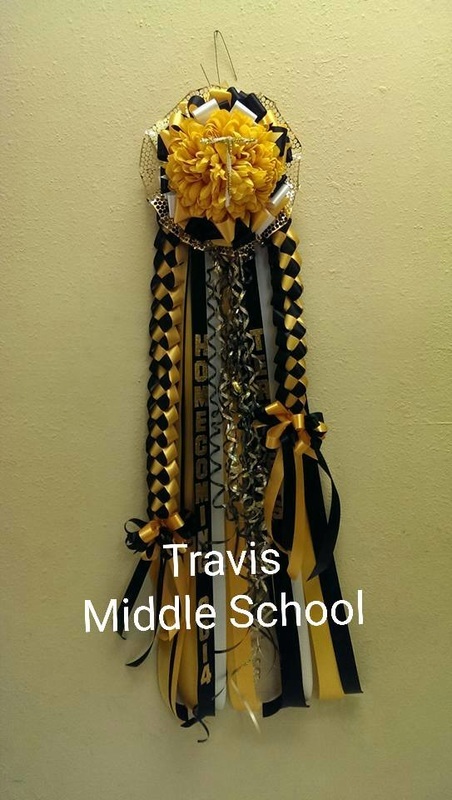 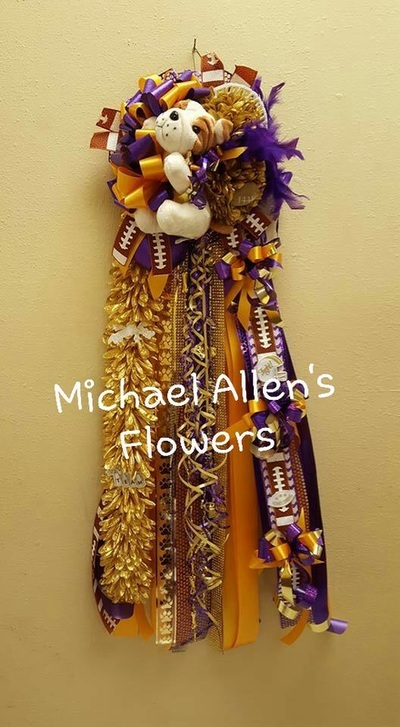 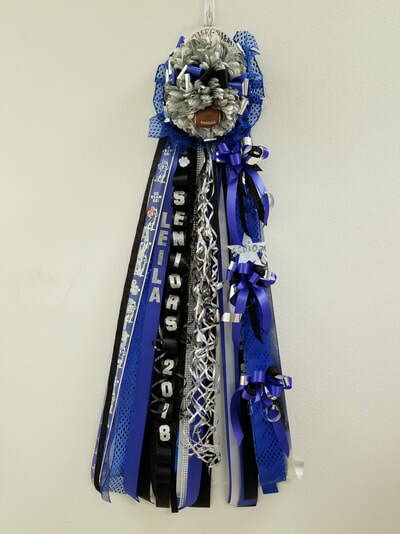 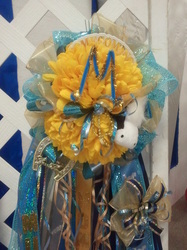 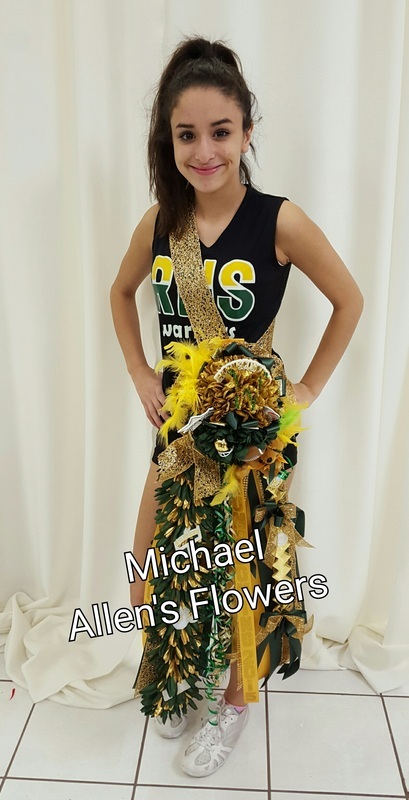 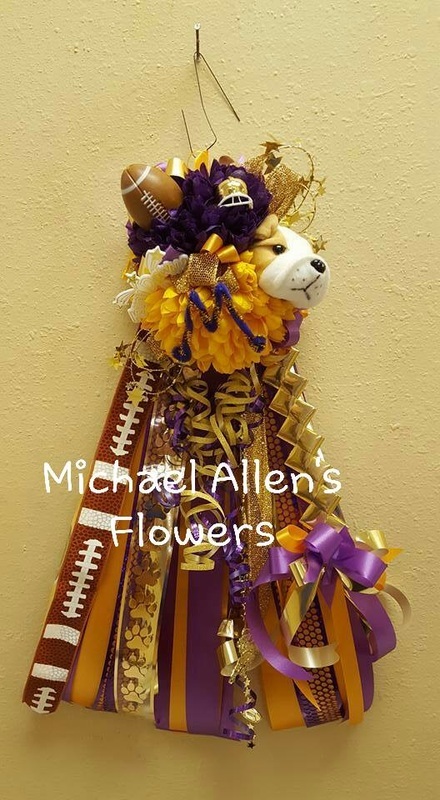 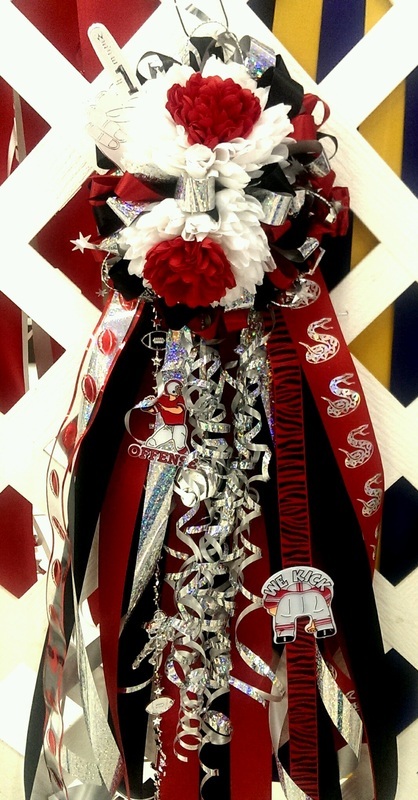 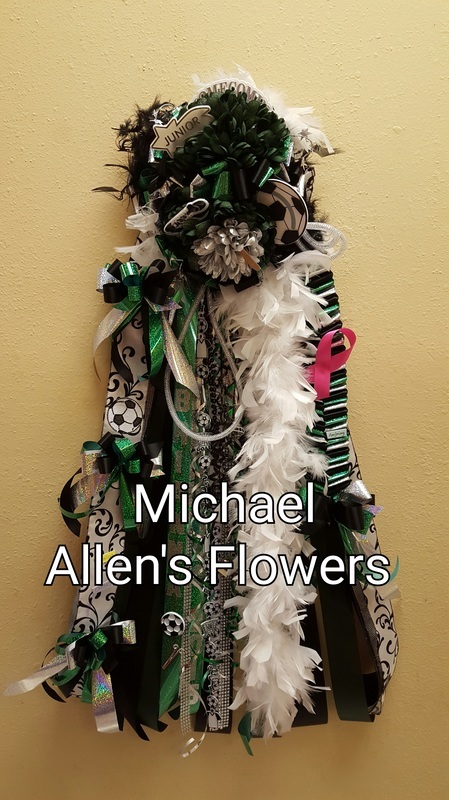 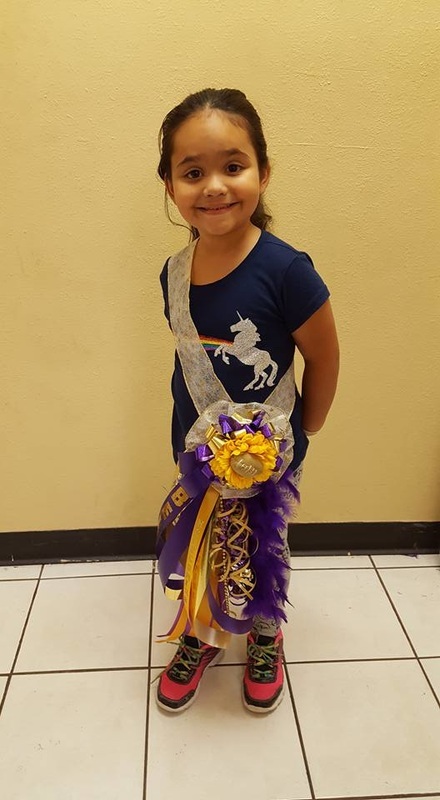 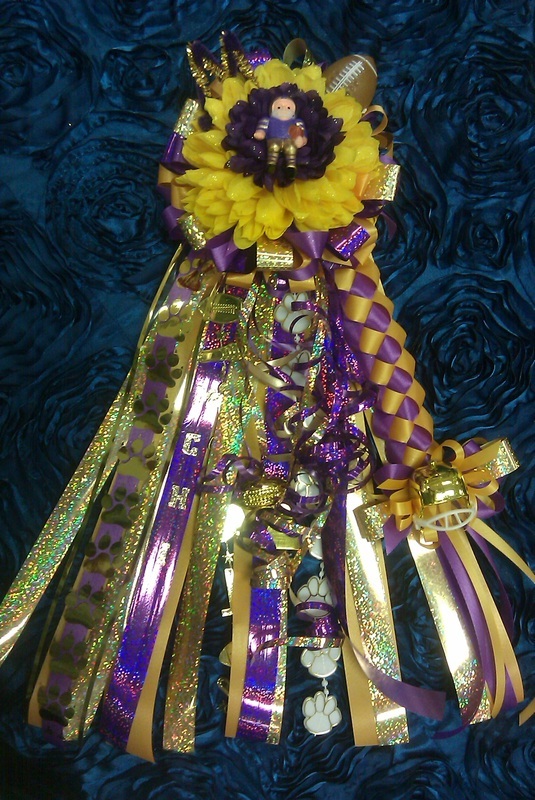 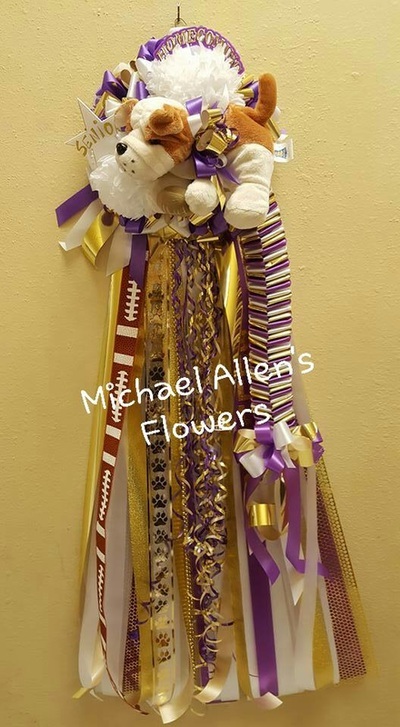 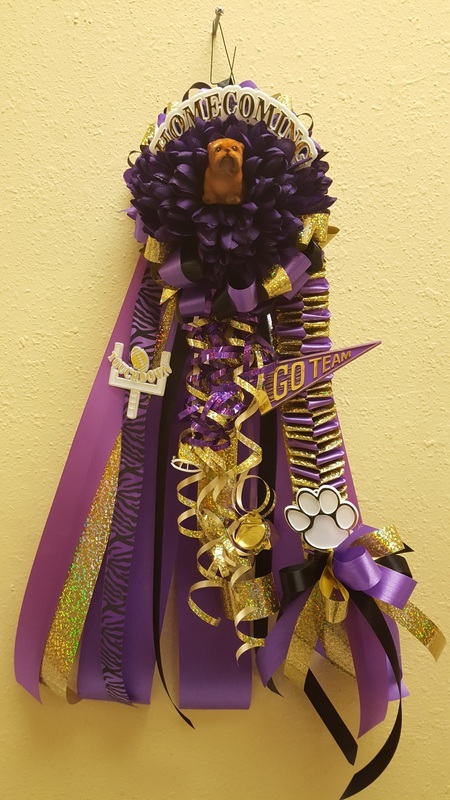 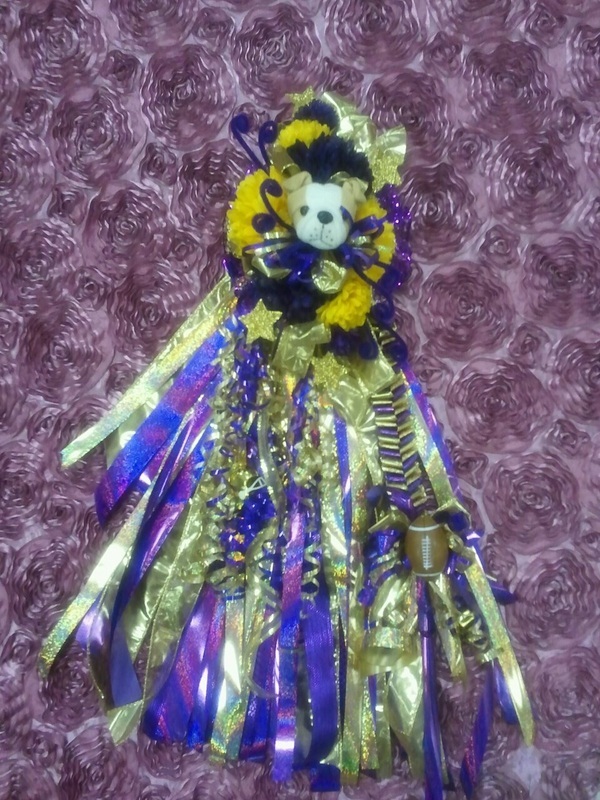 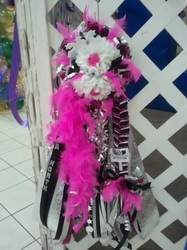 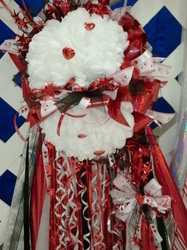 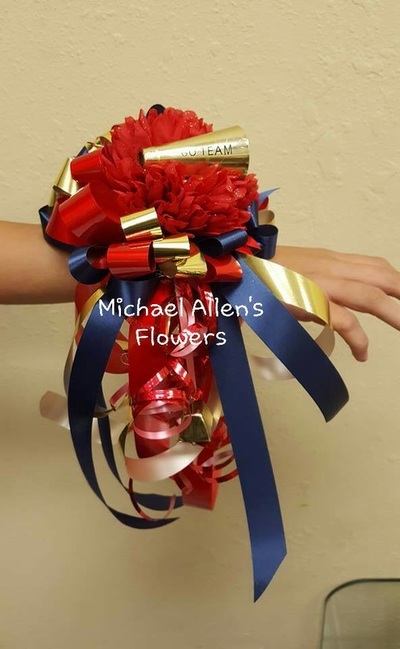 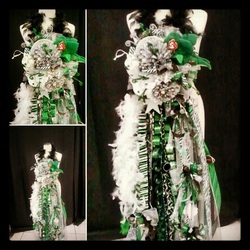 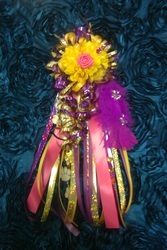 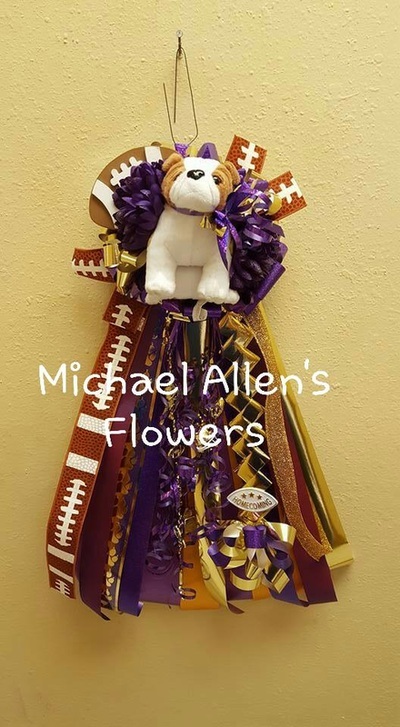 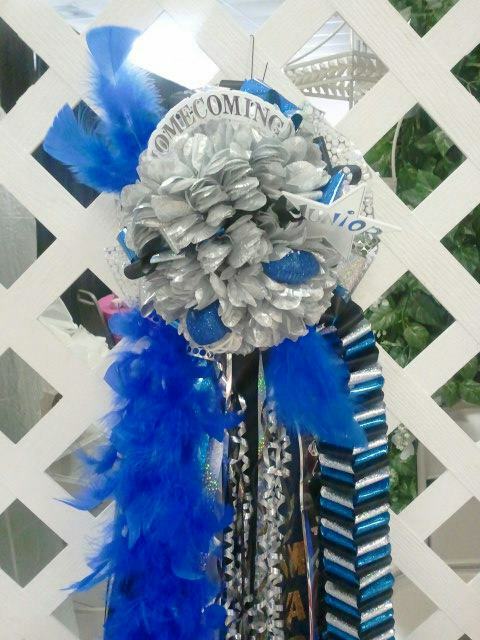 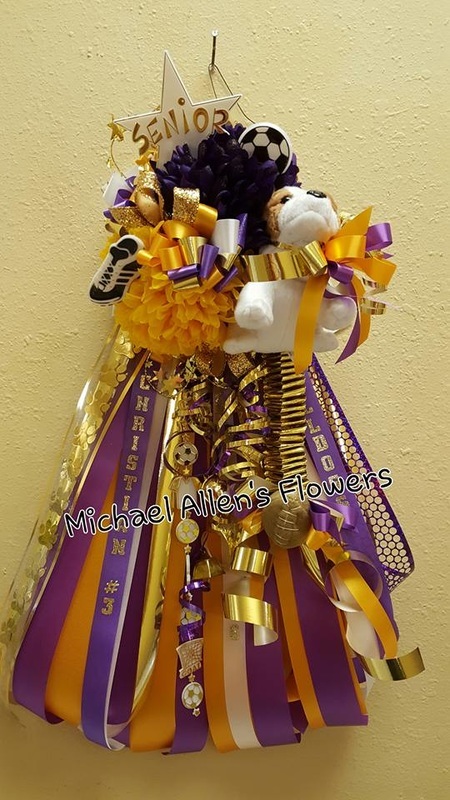 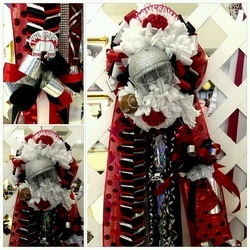 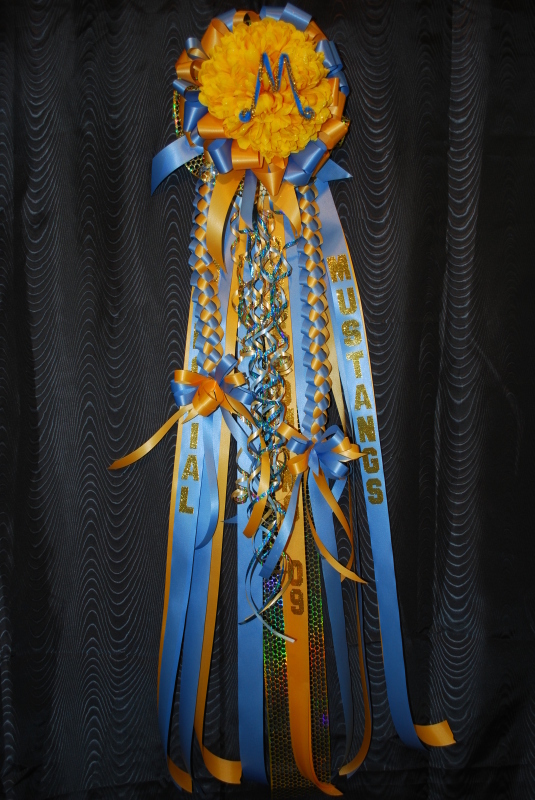 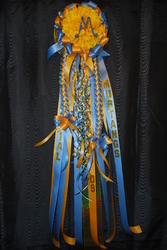 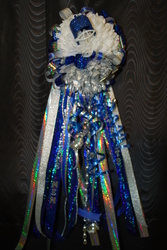 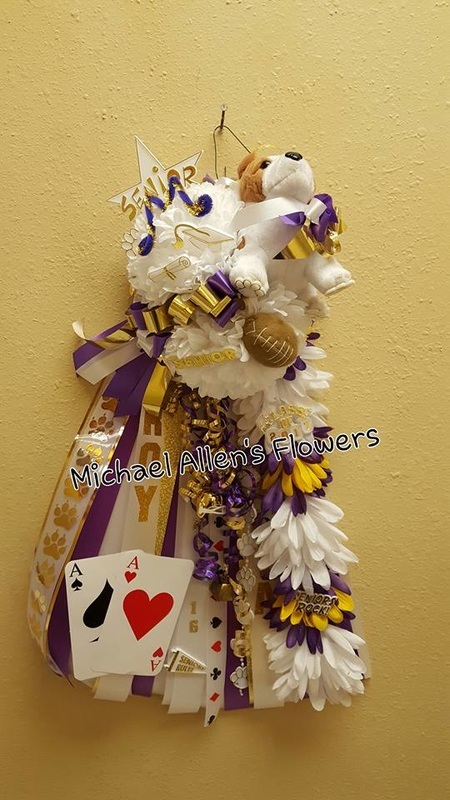 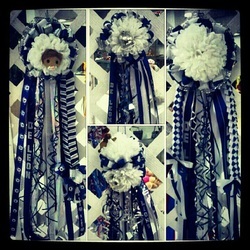 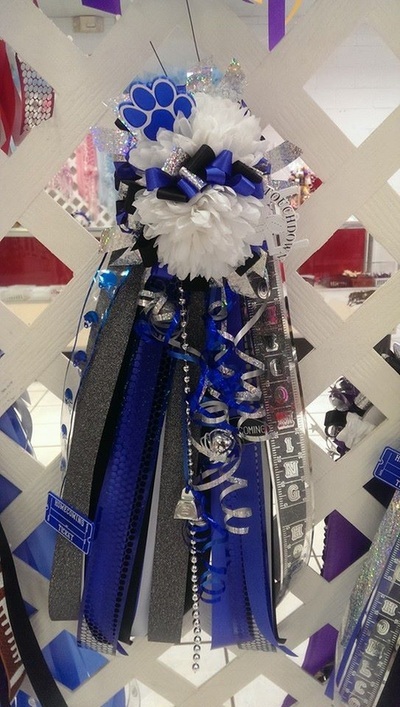 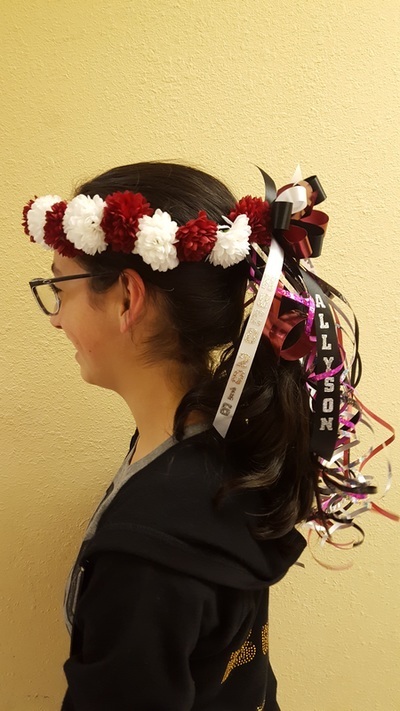 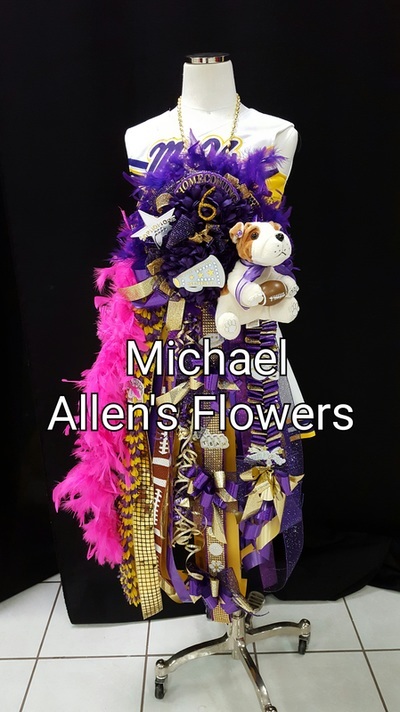 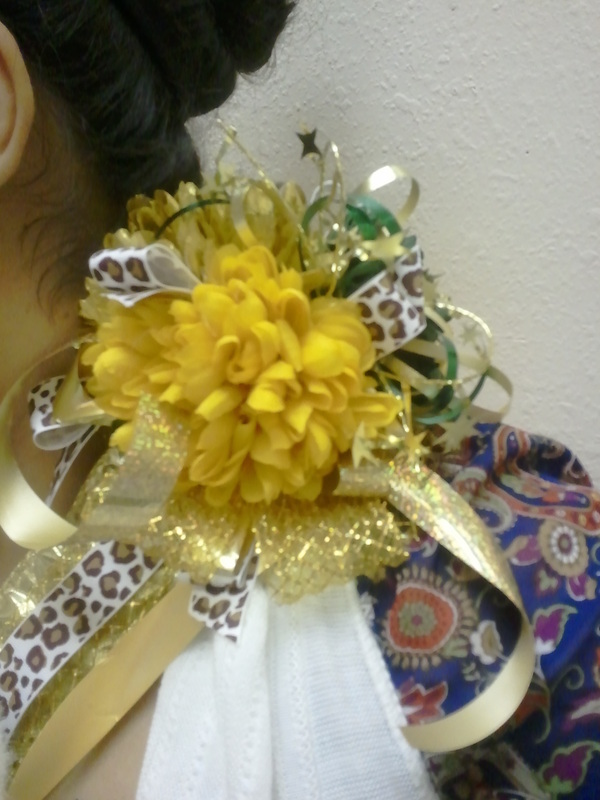 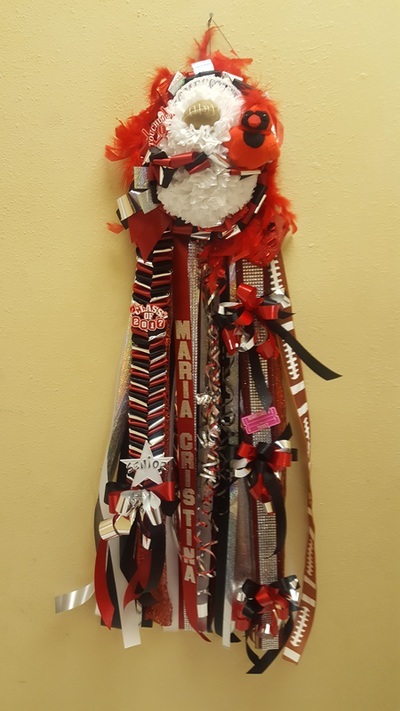 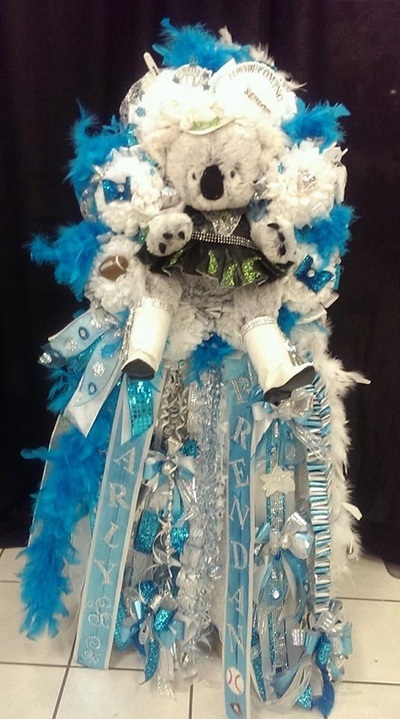 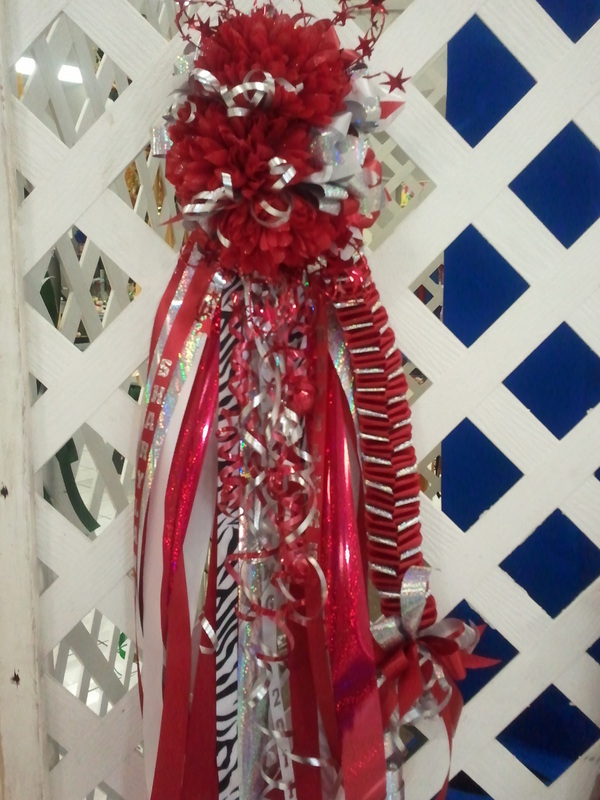 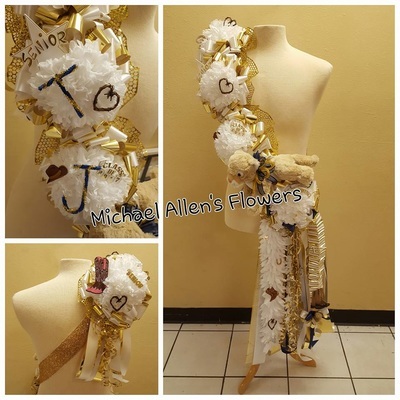 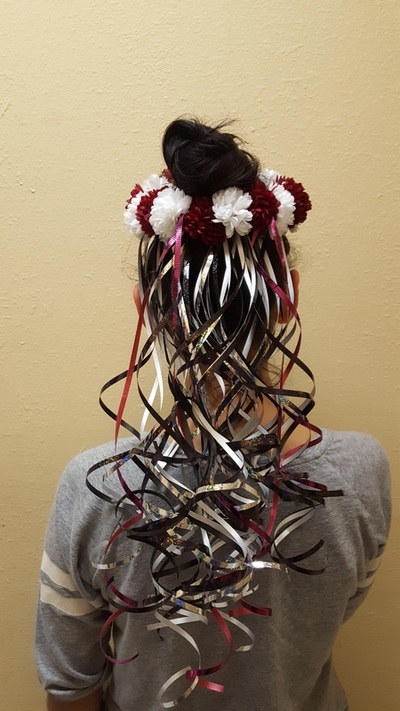 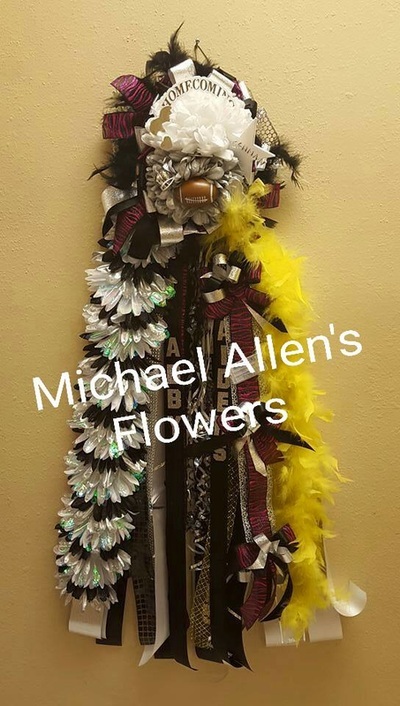 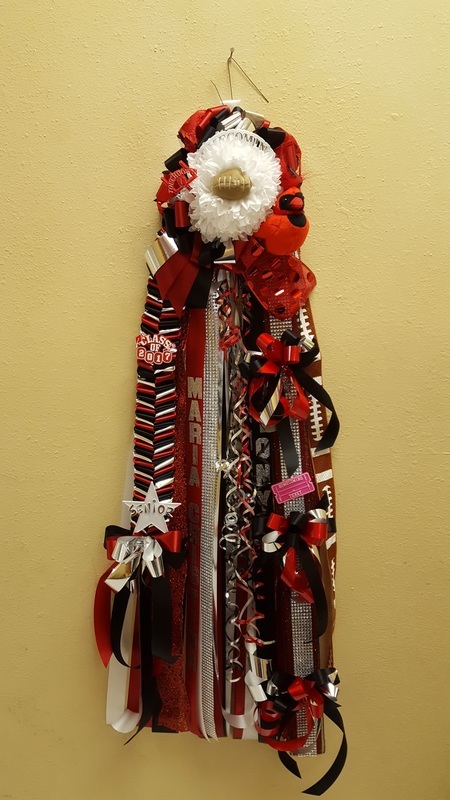 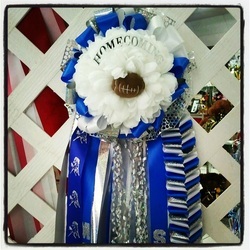 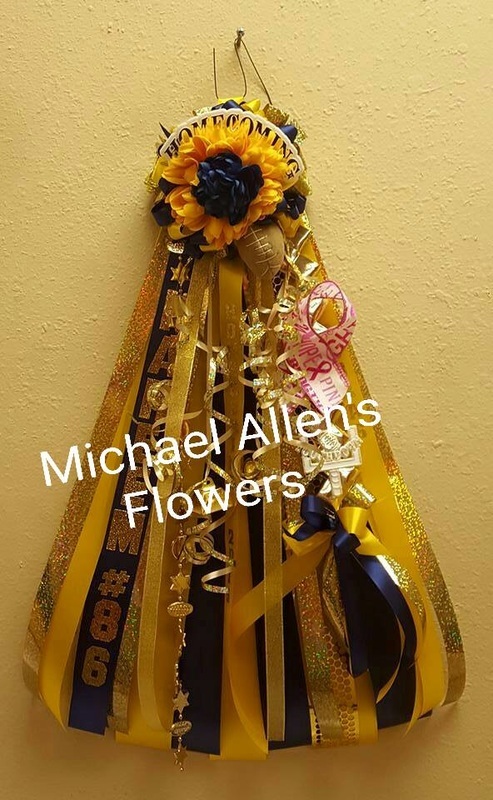 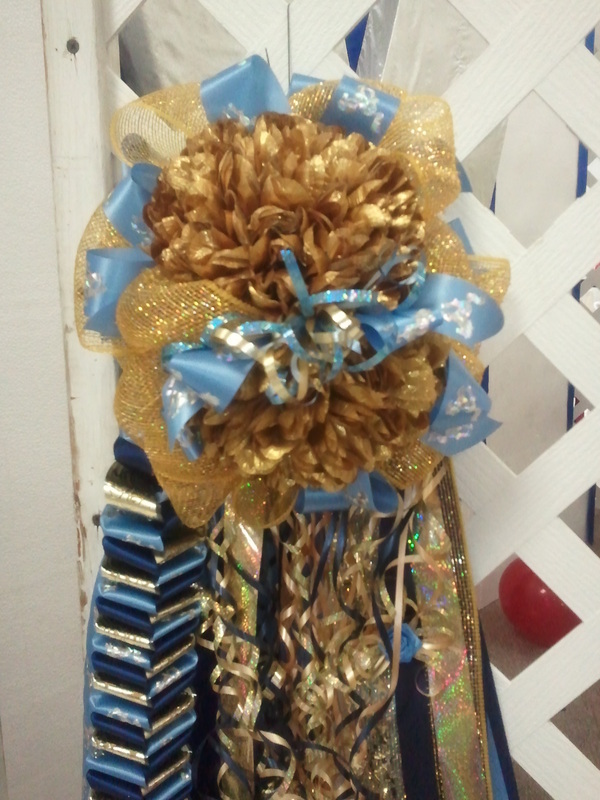 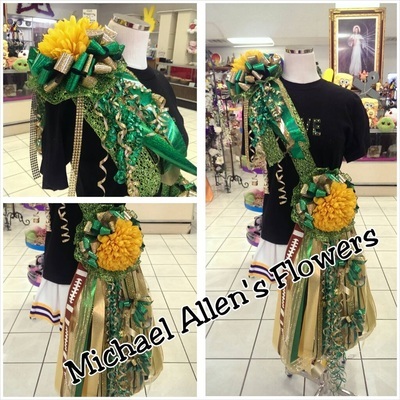 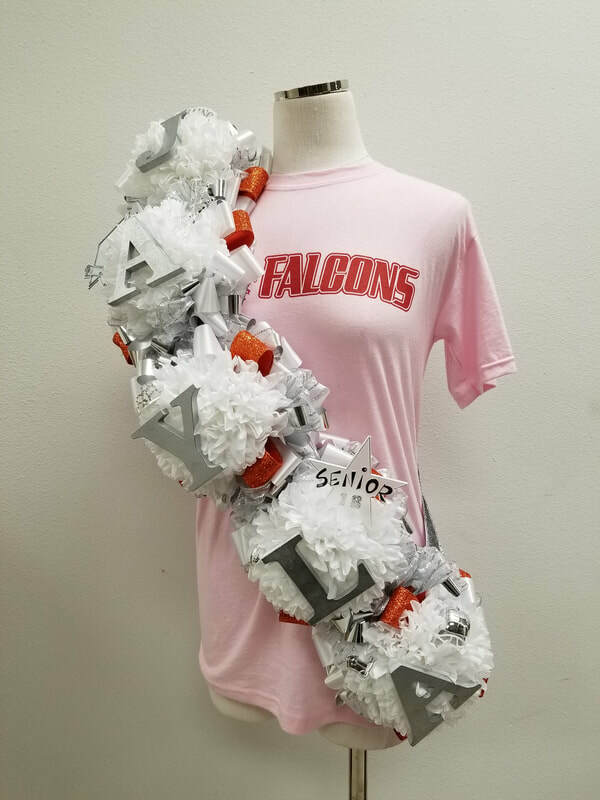 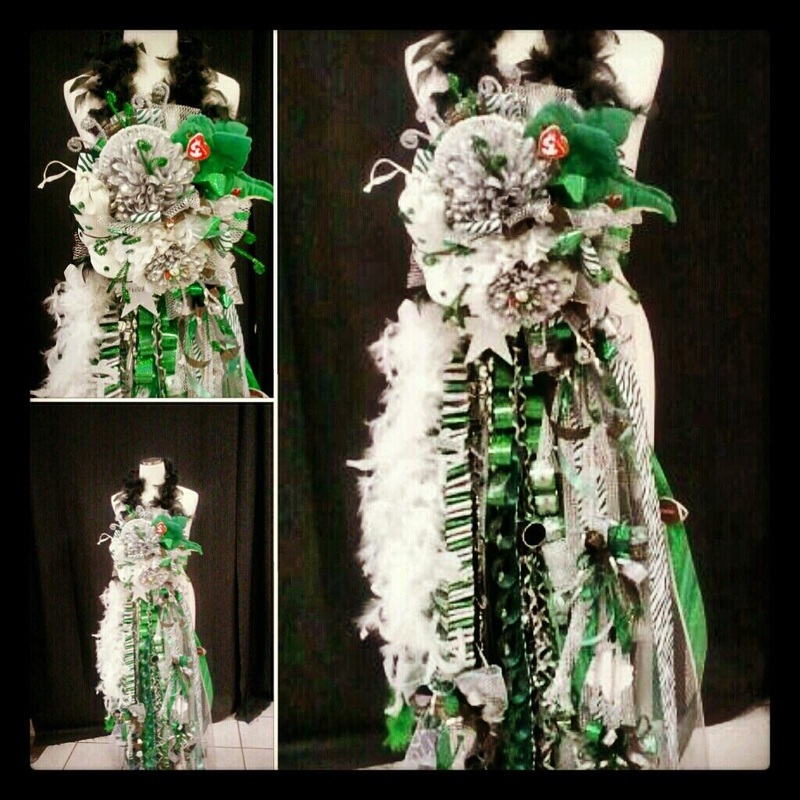 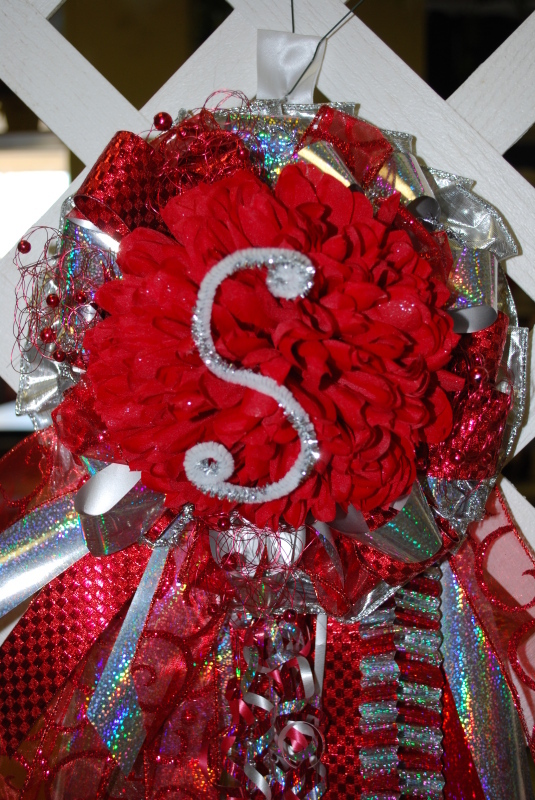 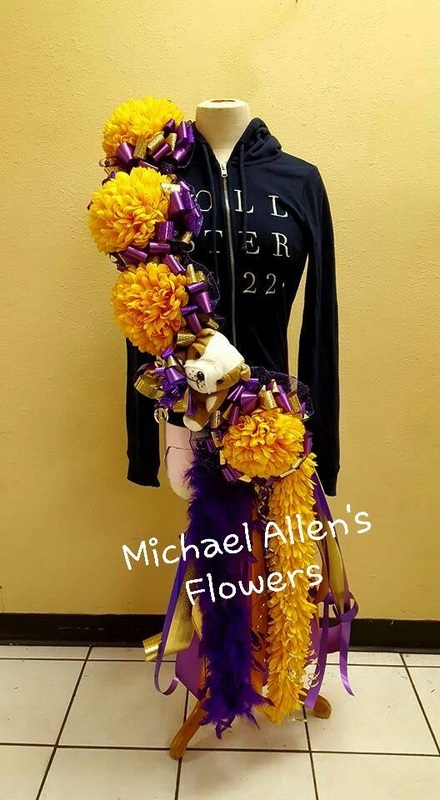 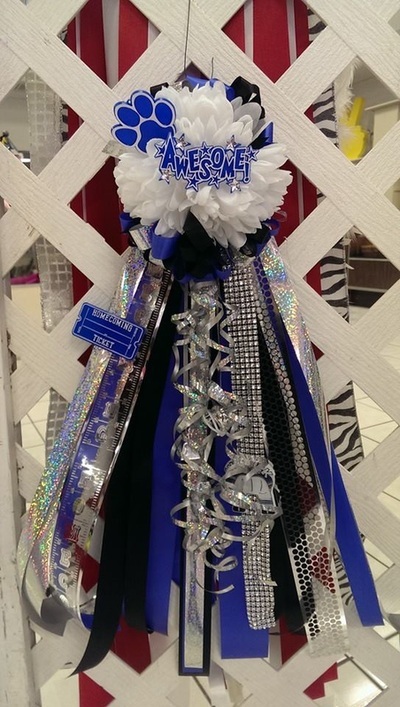 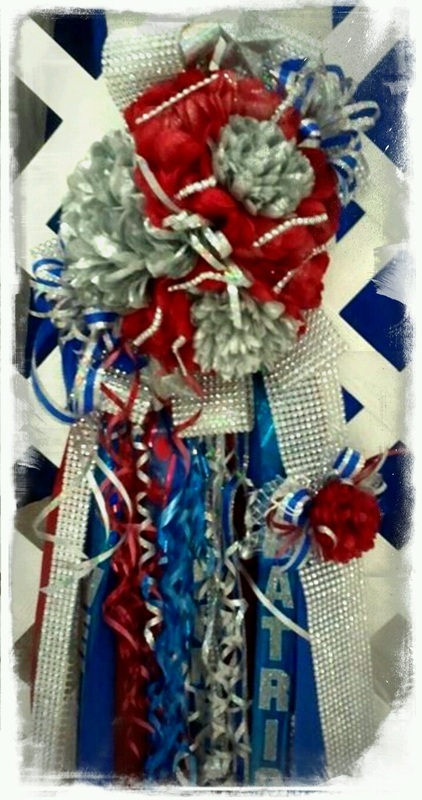 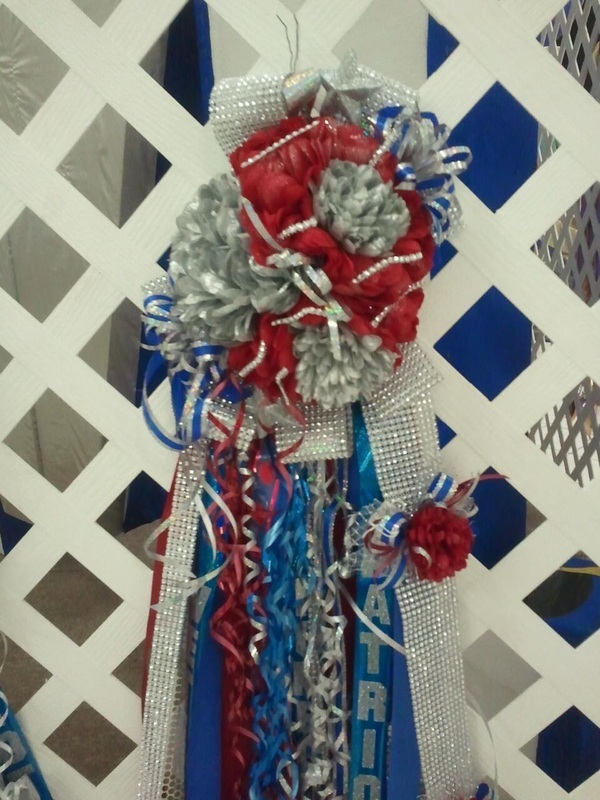 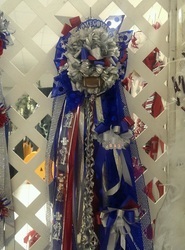 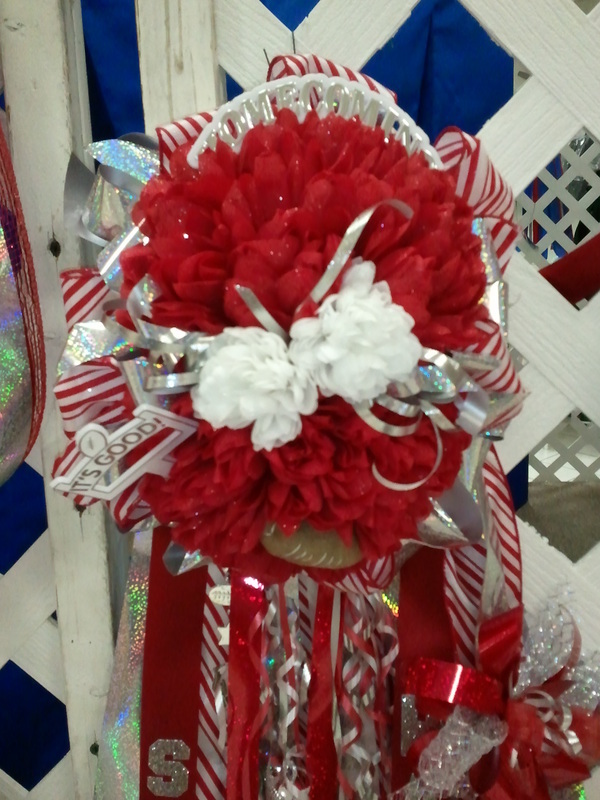 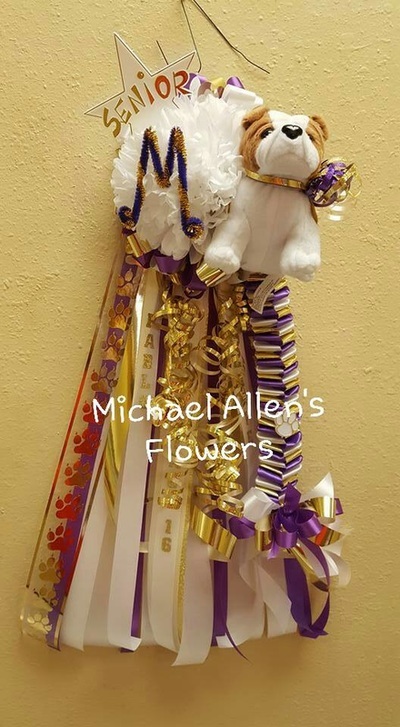 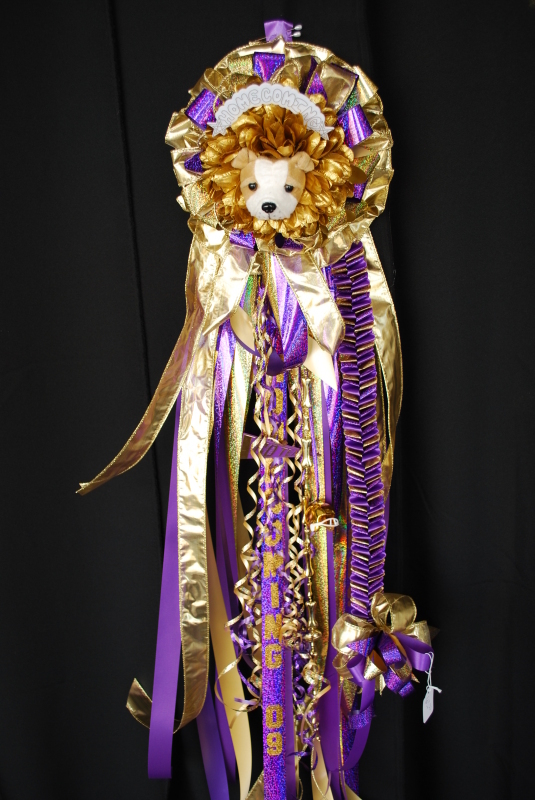 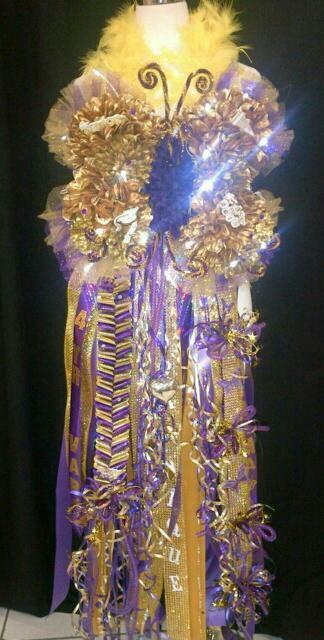 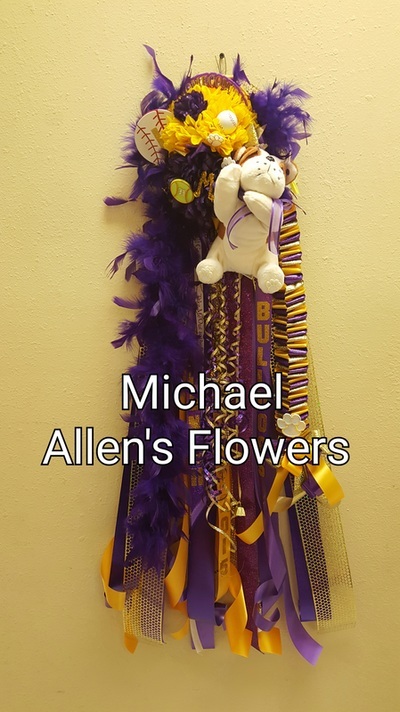 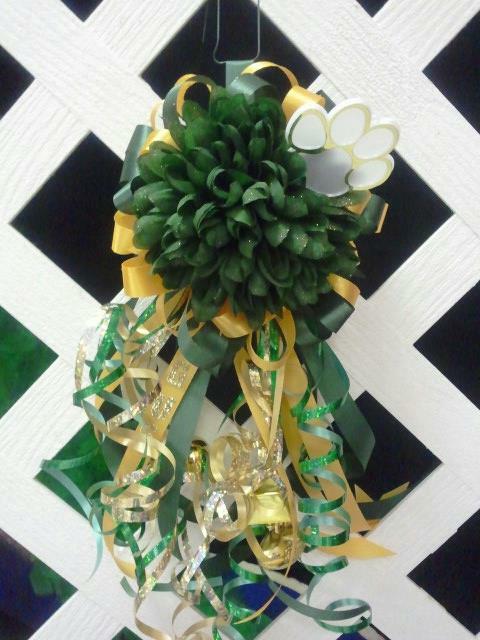 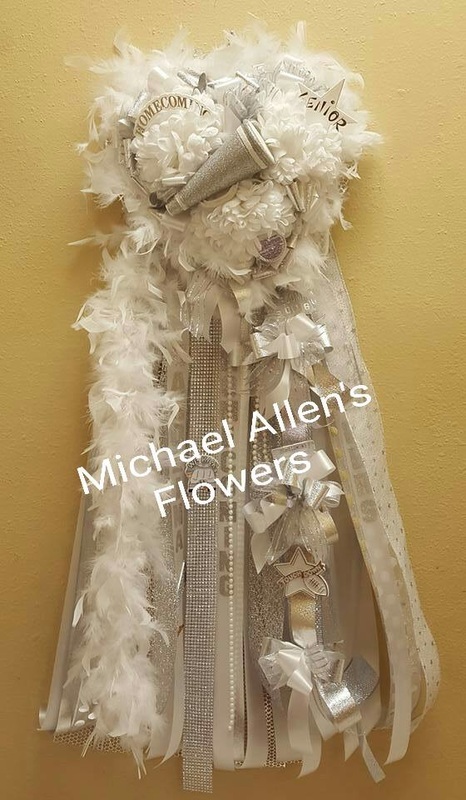 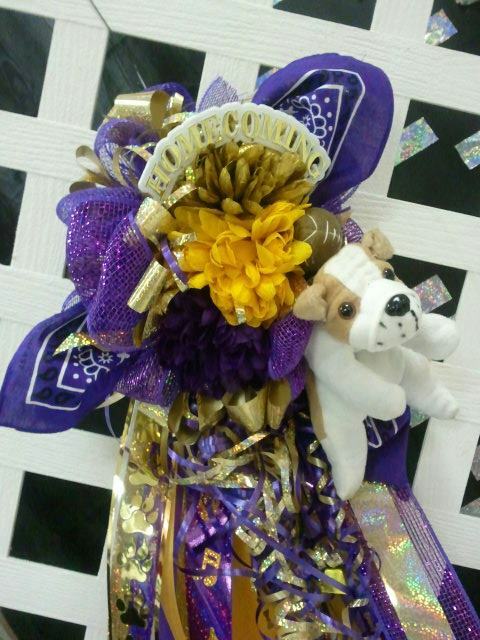 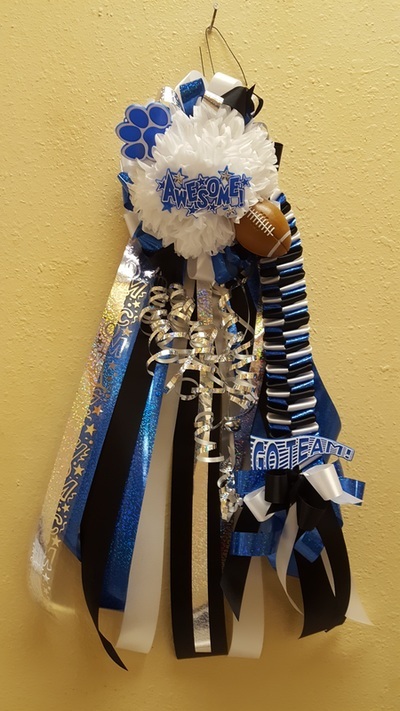 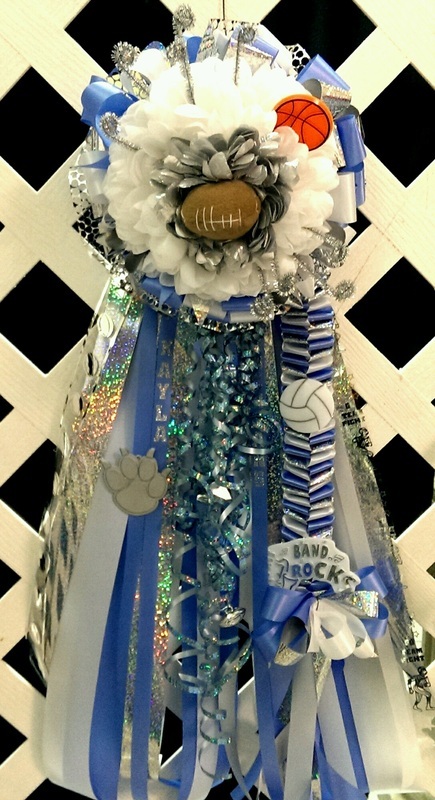 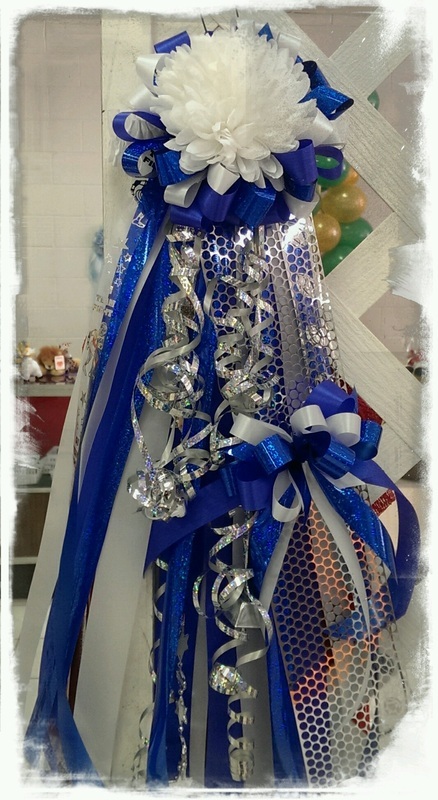 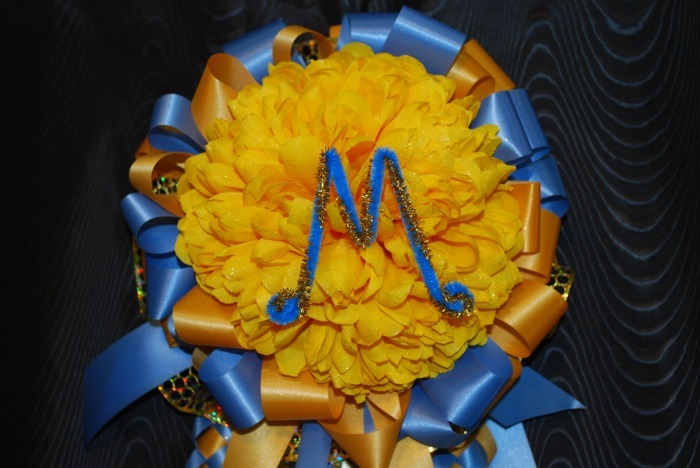 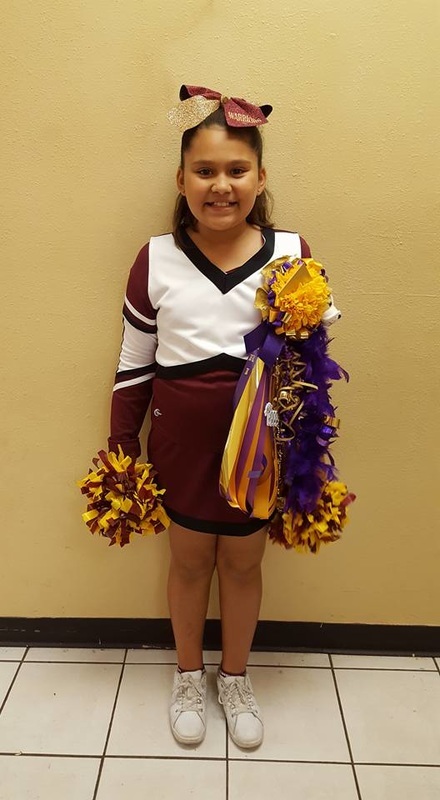 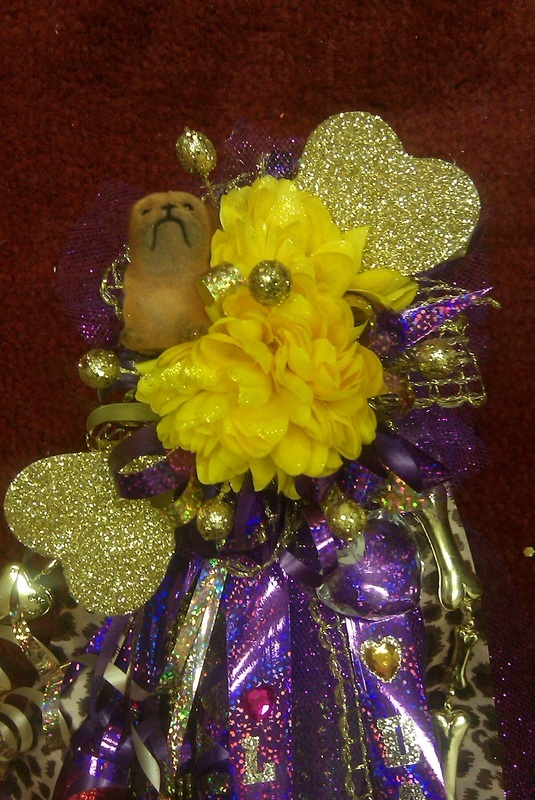 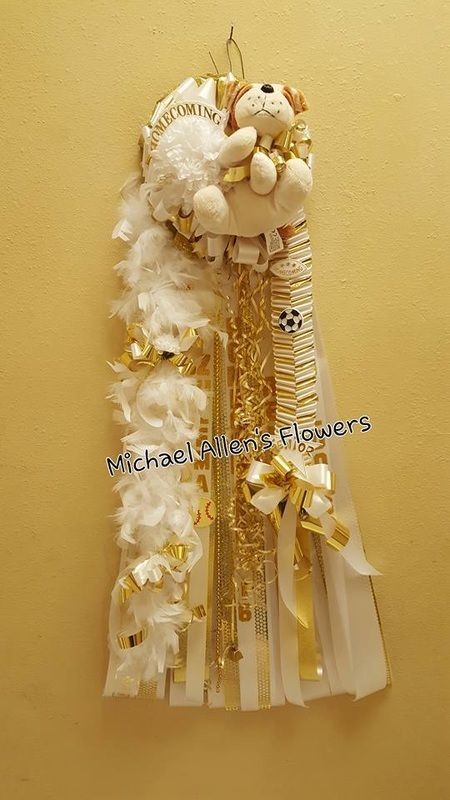 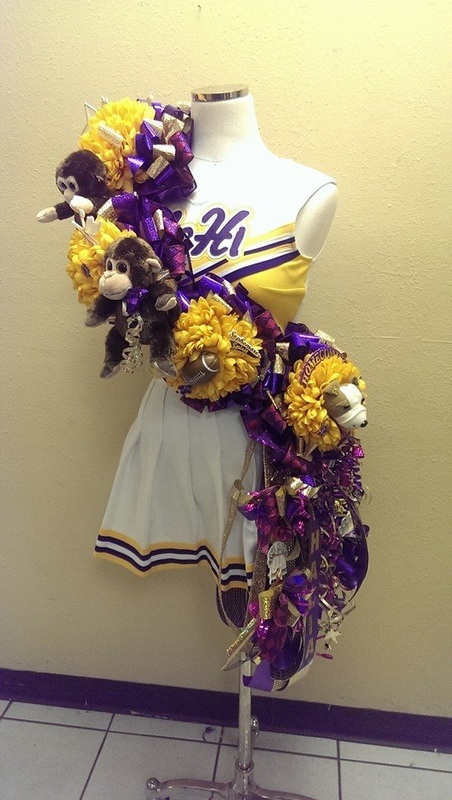 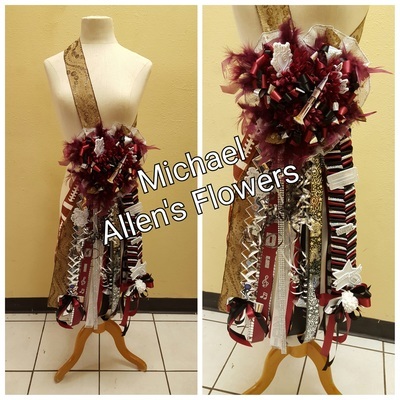 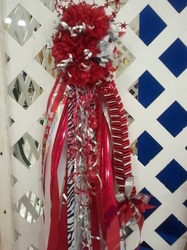 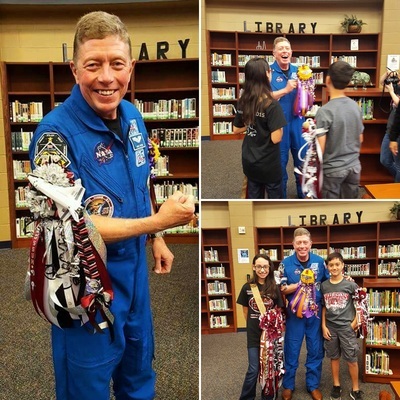 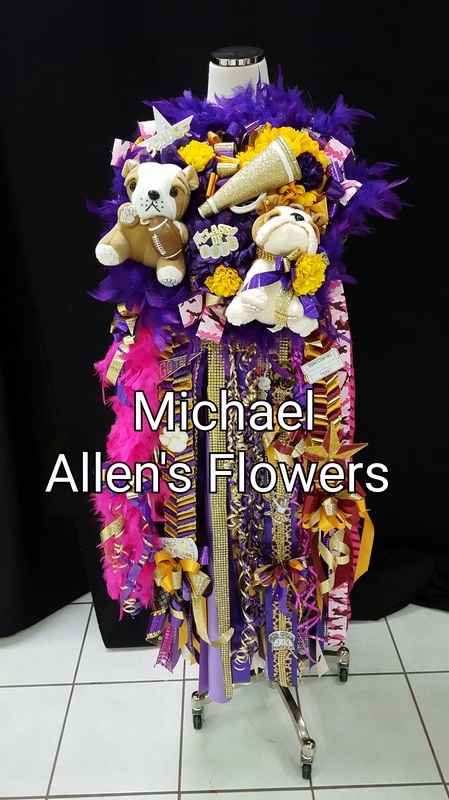 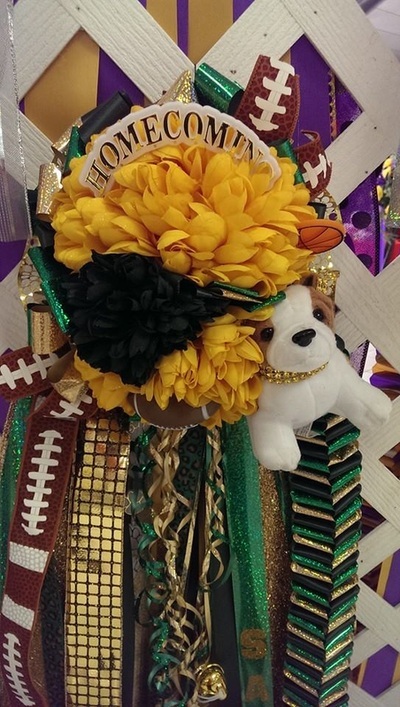 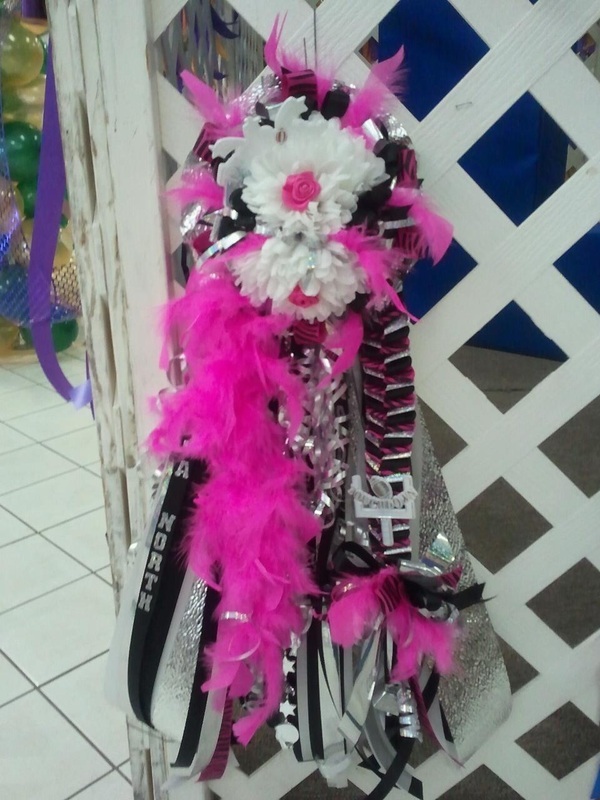 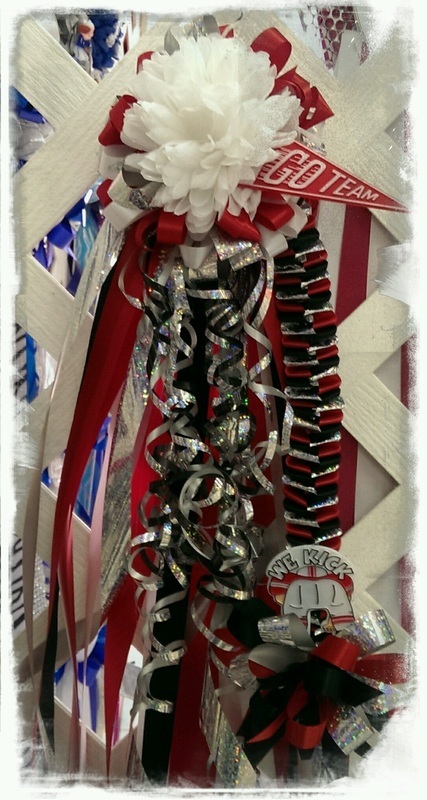 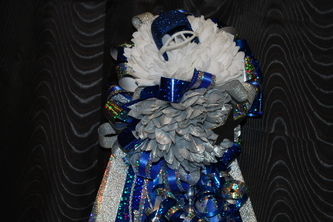 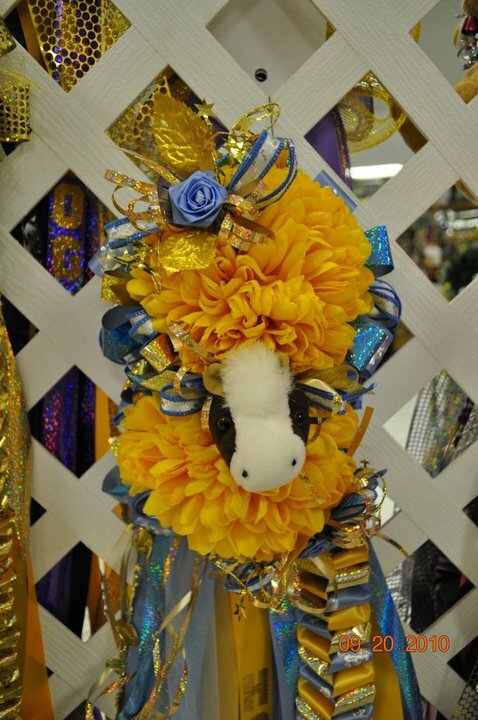 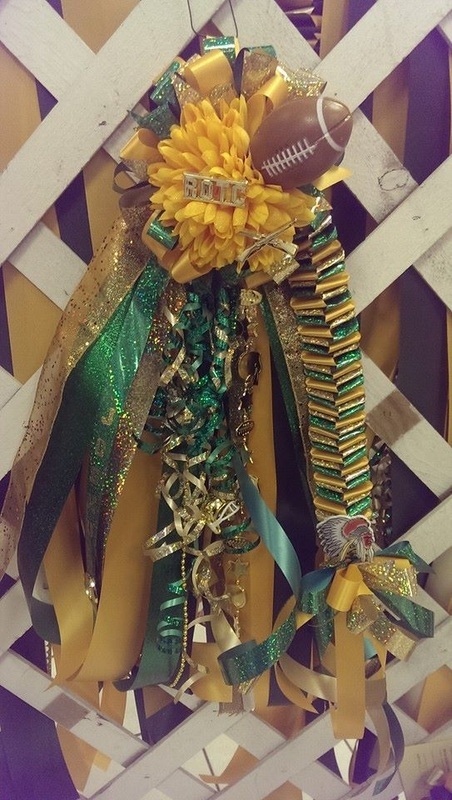 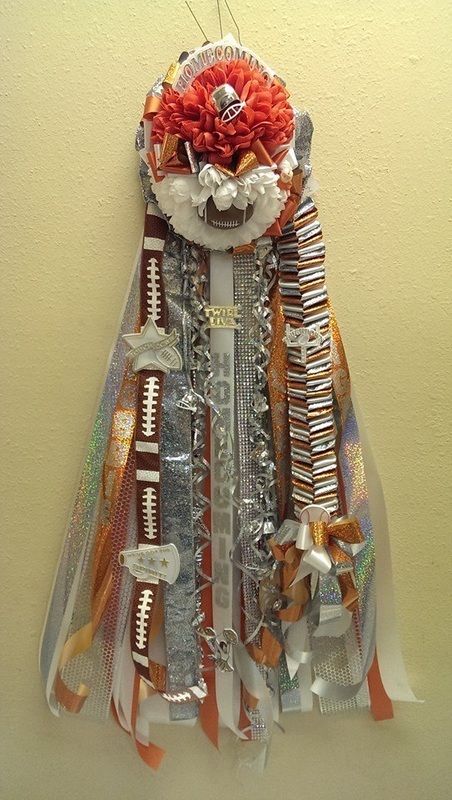 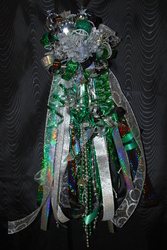 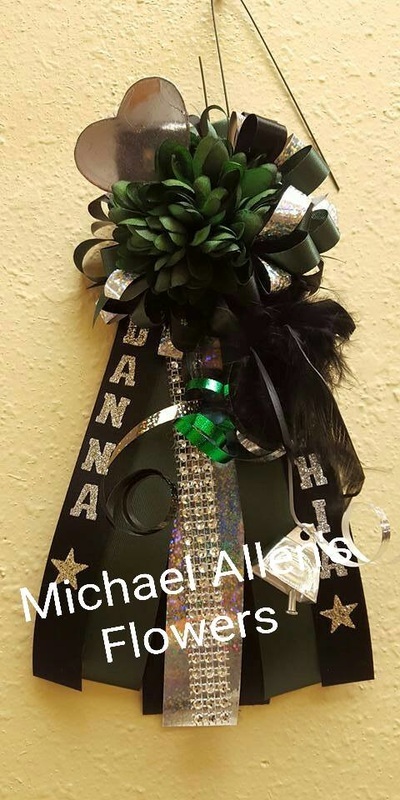 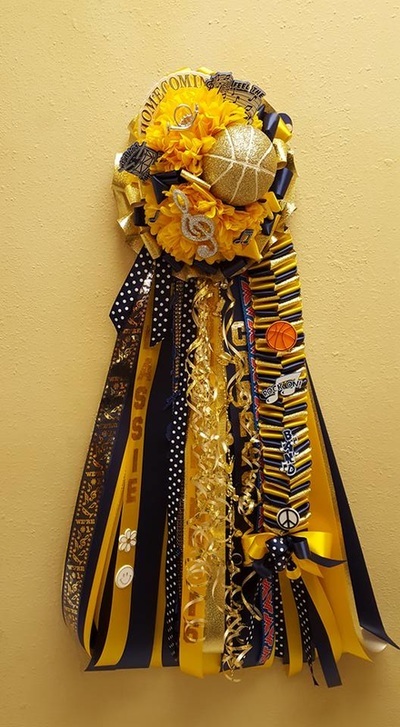 We design custom made mums & garters for all RGV High Schools and Middle Schools. 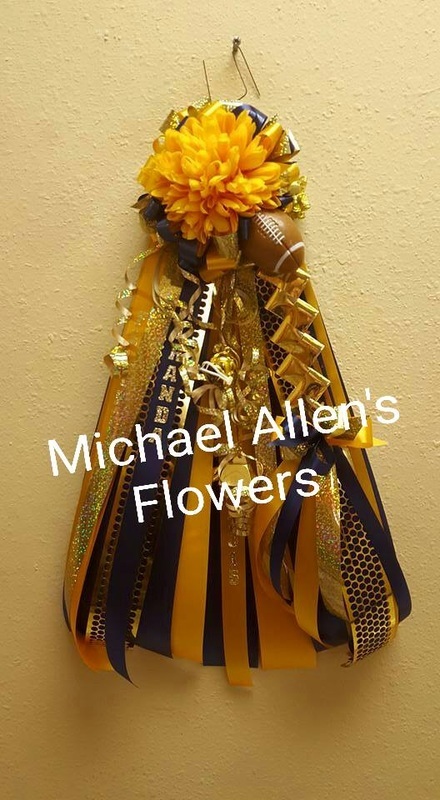 We can also create them for pee wee football teams. 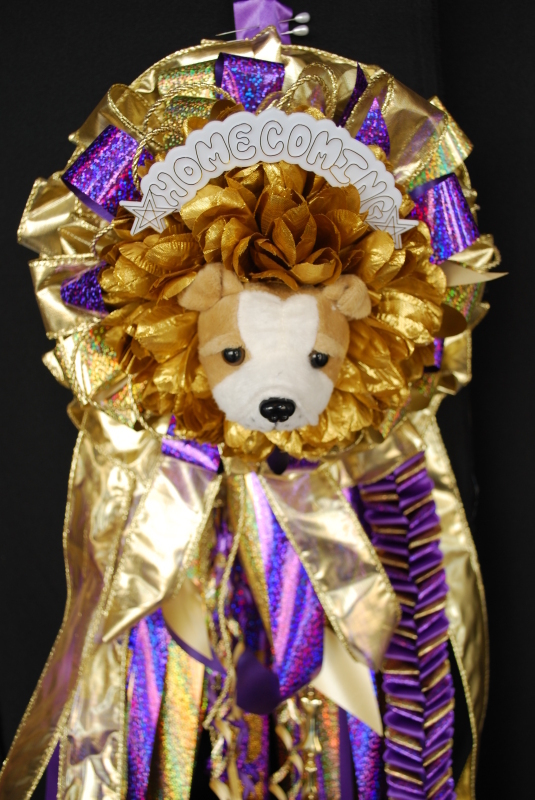 During the months of September, October and November, we will have extended hours on the weeks of Homecoming in order to provide students with ample time to place their orders. 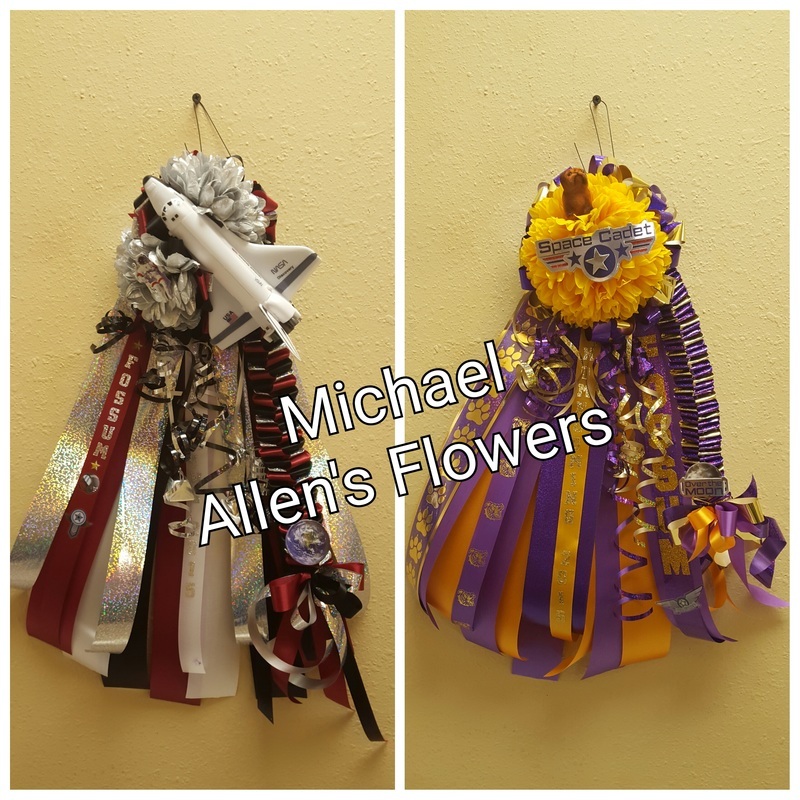 Below are just a few of the styles that we offer. Our single mums begin at $34.50 and our garters begin at $24.50. 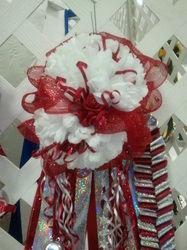 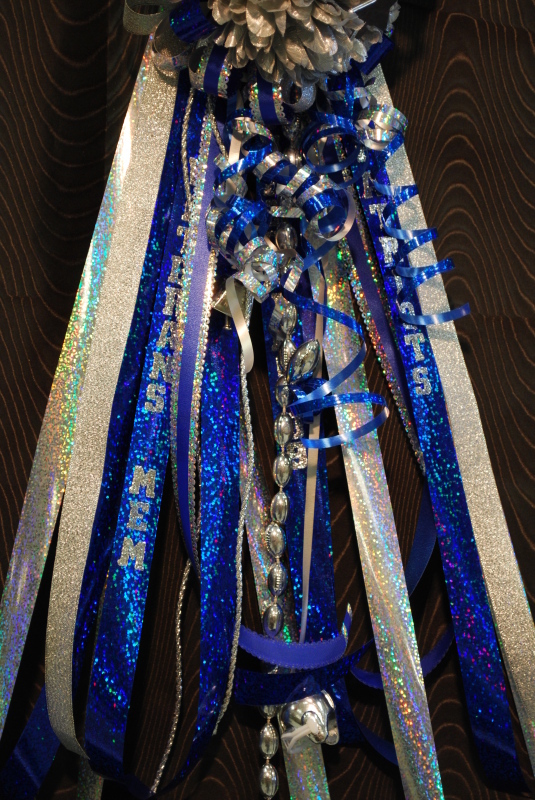 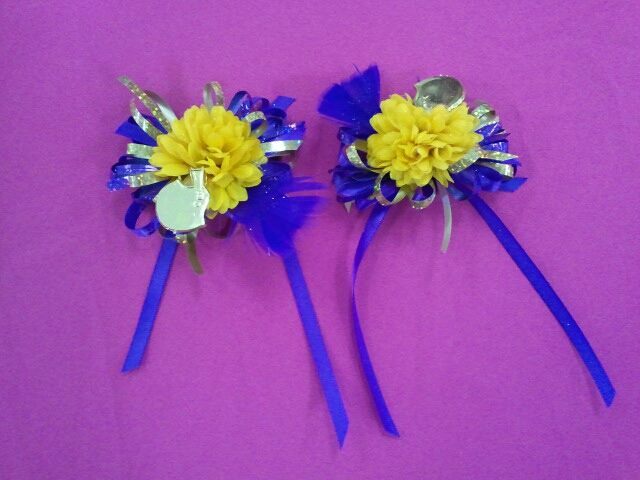 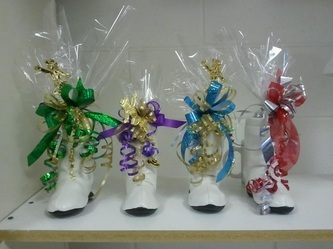 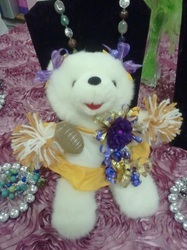 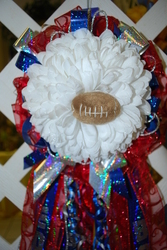 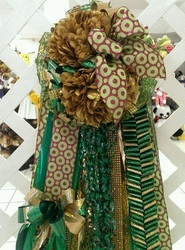 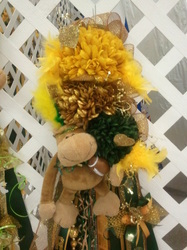 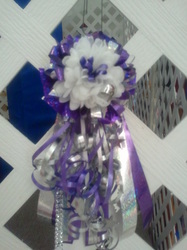 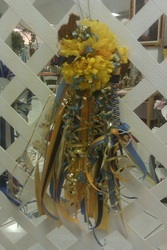 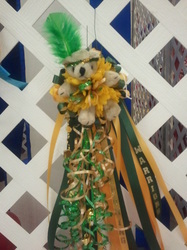 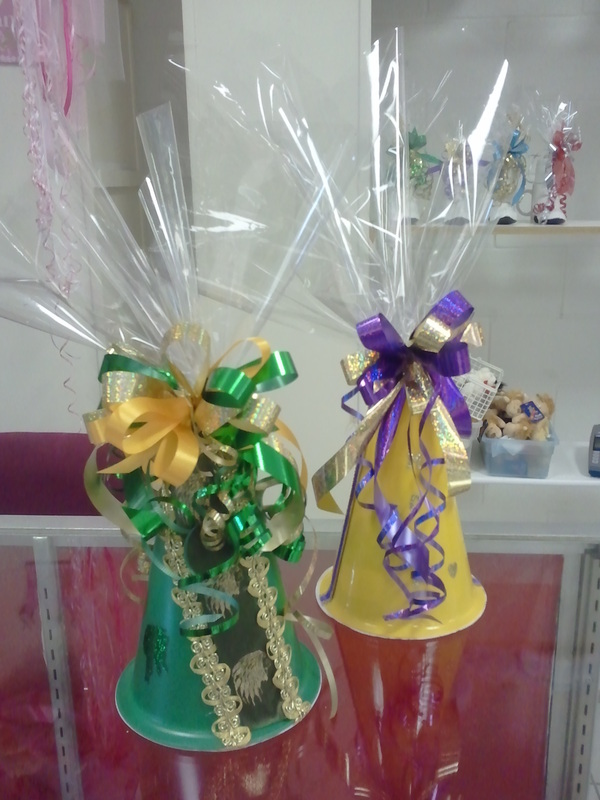 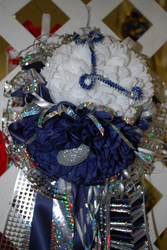 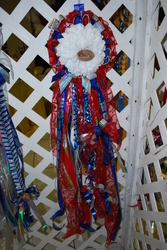 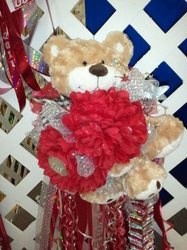 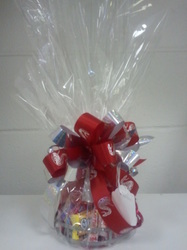 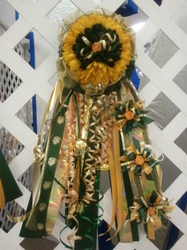 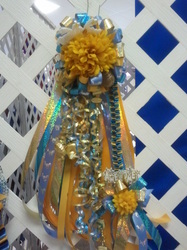 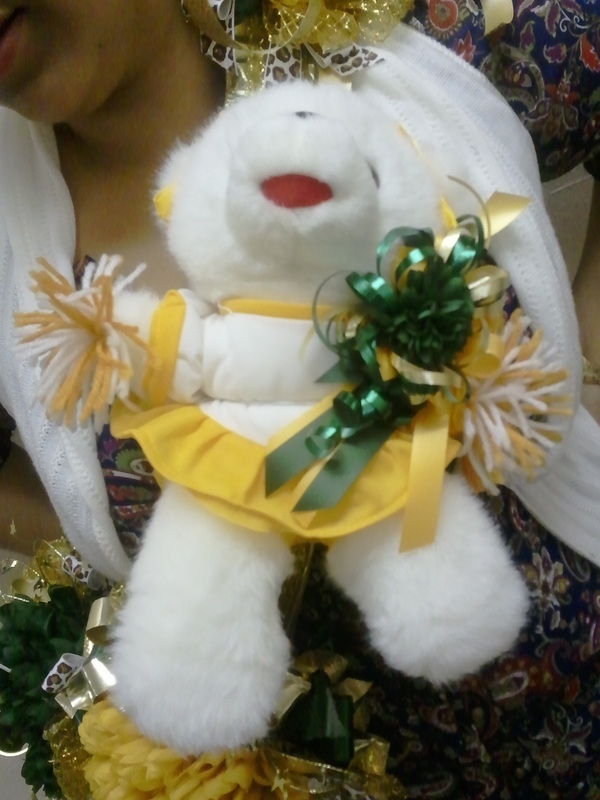 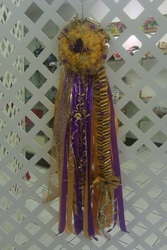 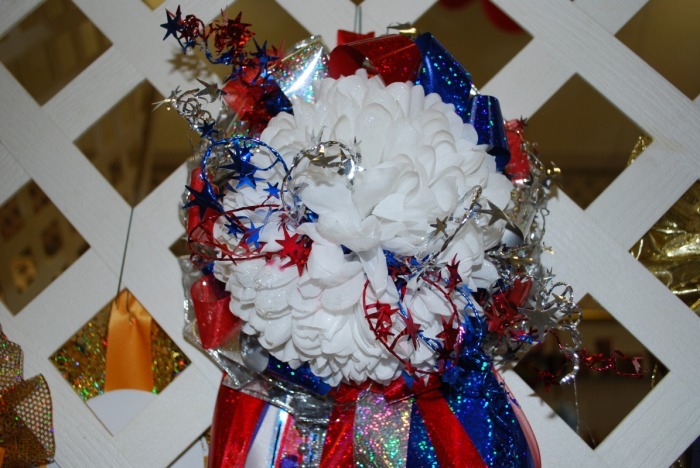 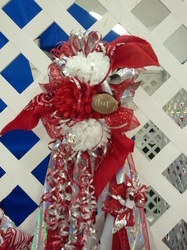 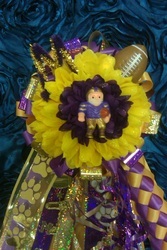 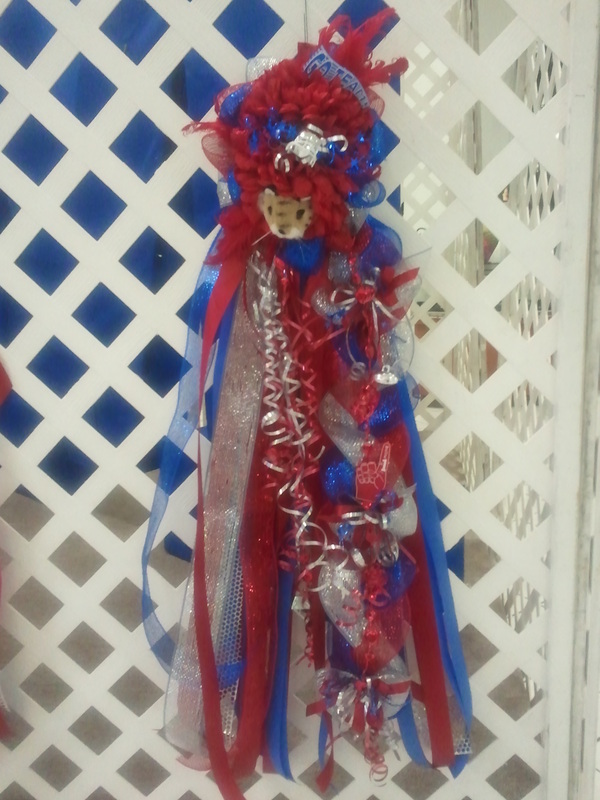 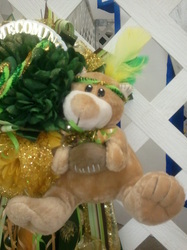 We also make mini mums and garters for all those spirited little brothers and sisters that want to show their support. This is our Basic Single Mum. Includes a small bell, helmet and football, and 2 military style braids. 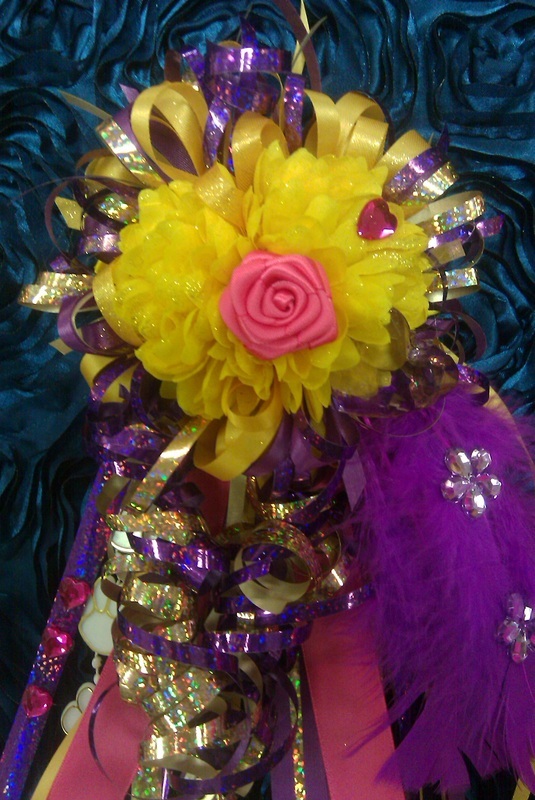 Close up of the top of our Basic Single Mum. 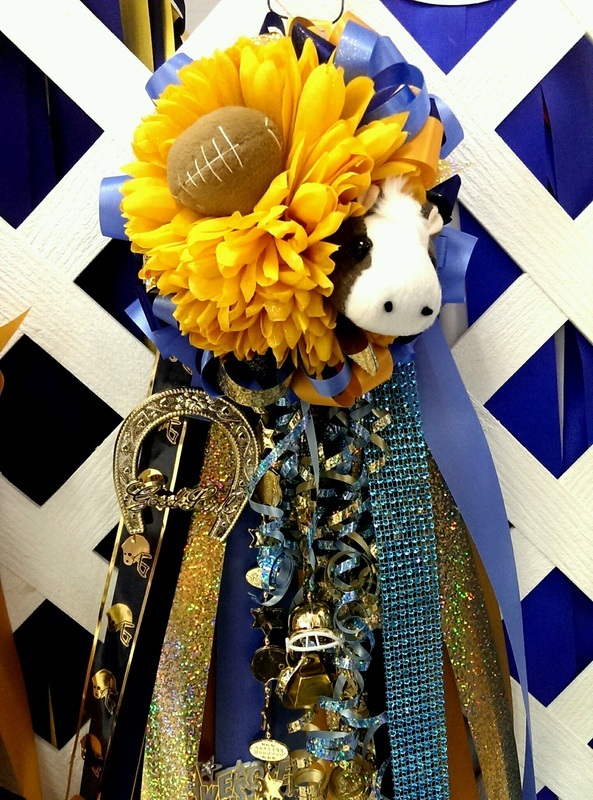 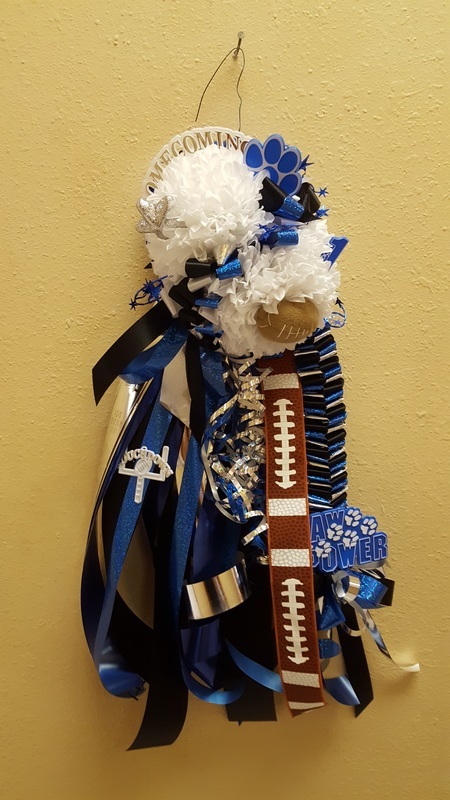 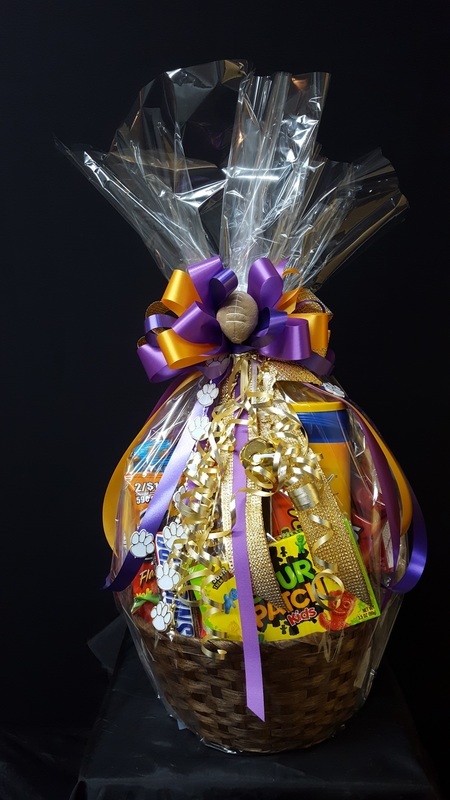 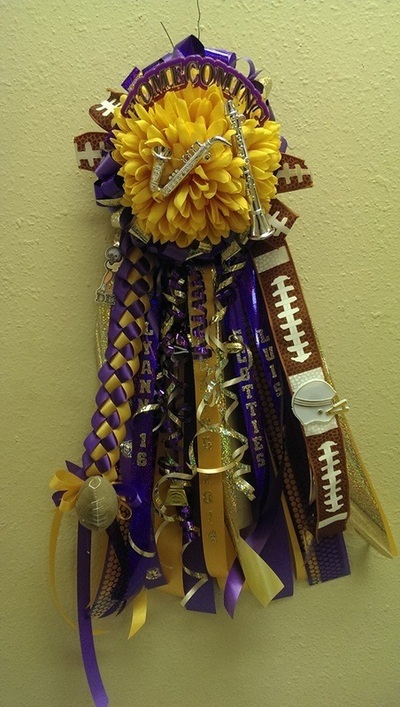 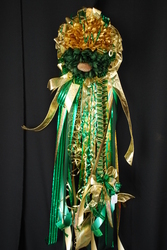 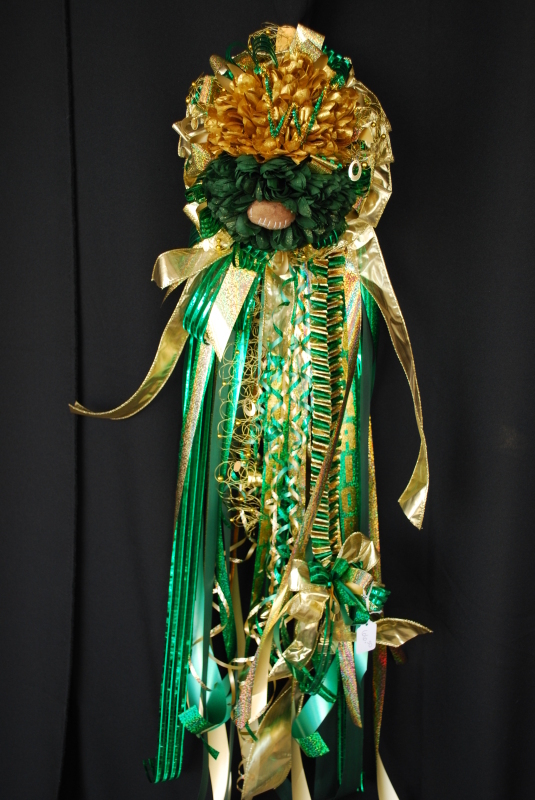 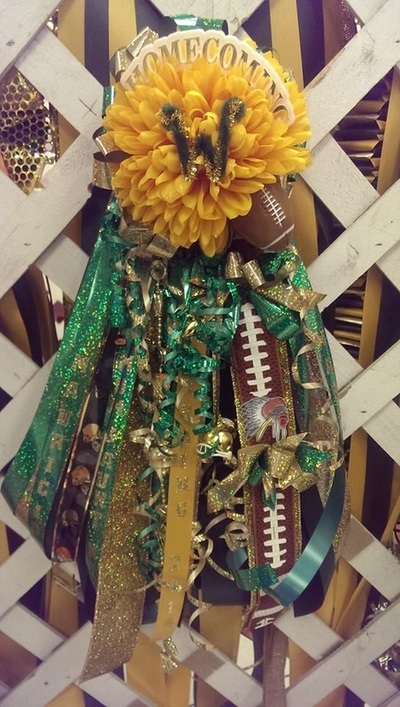 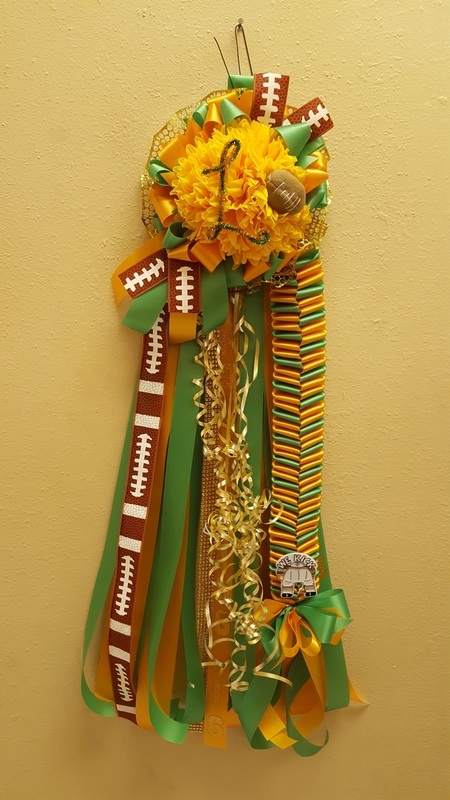 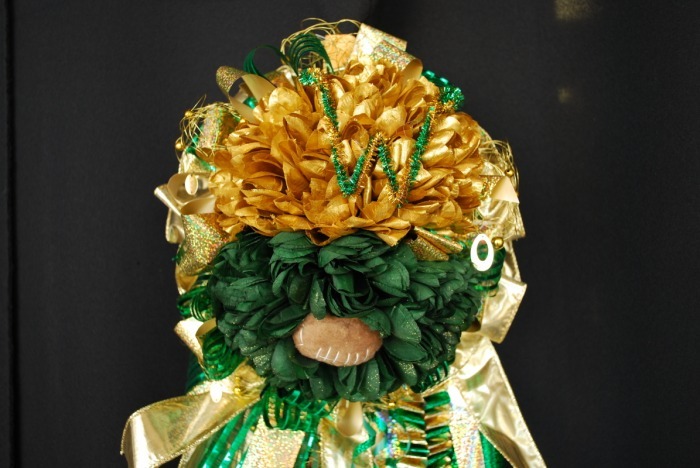 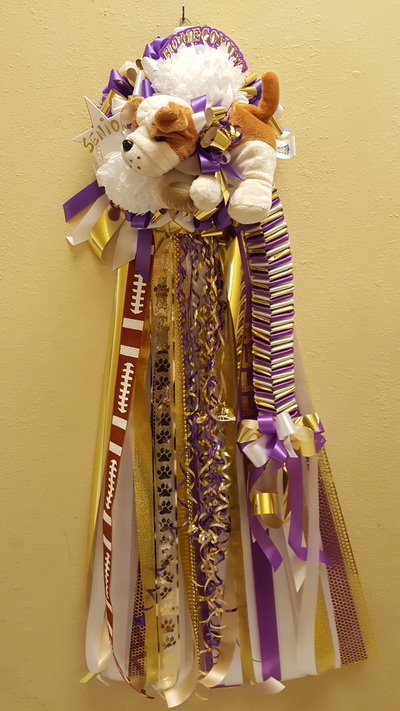 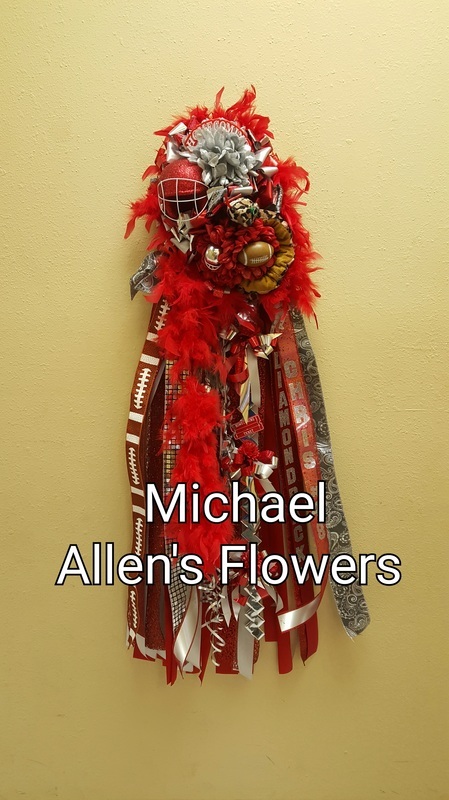 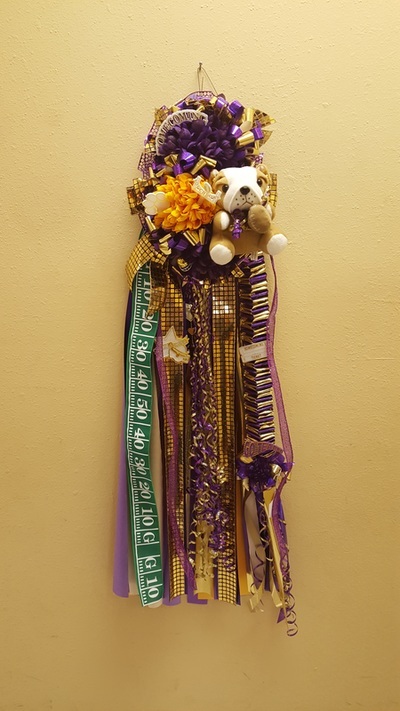 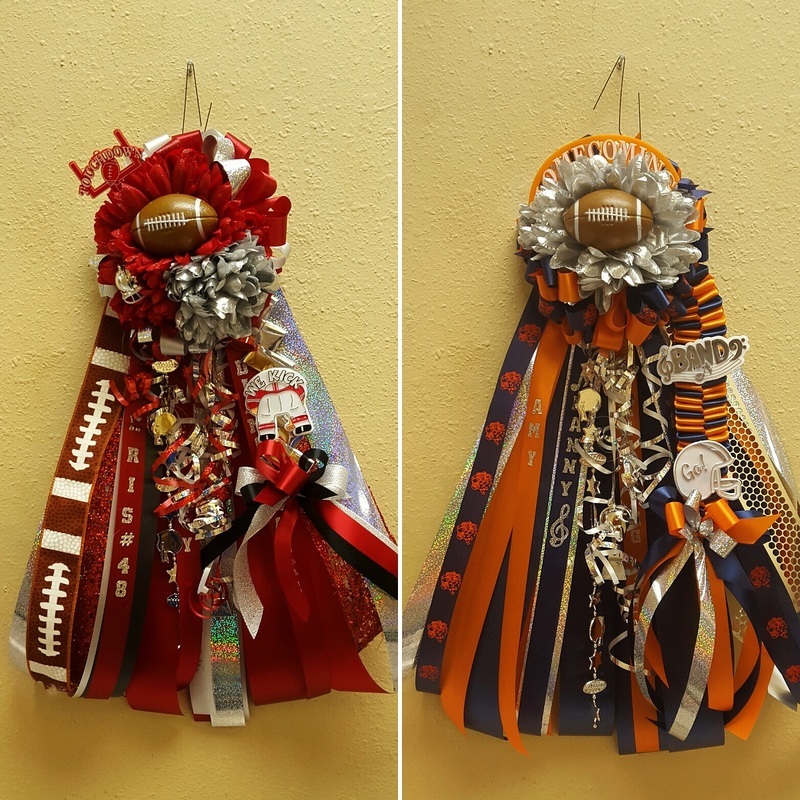 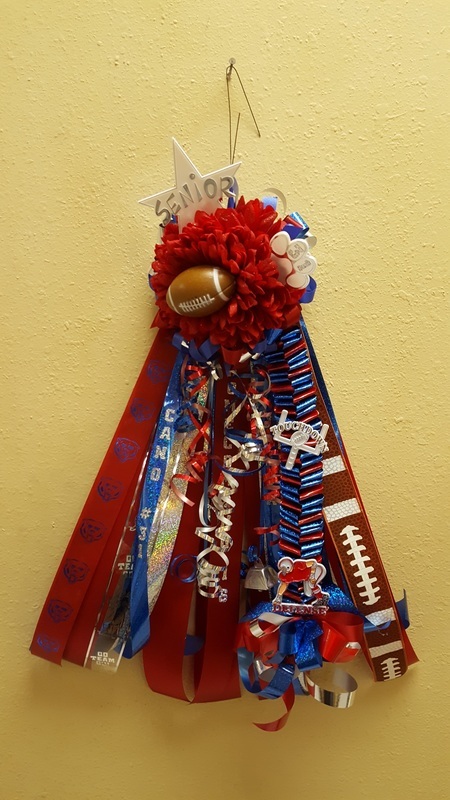 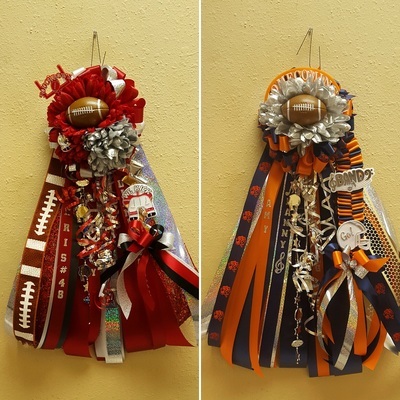 All of our mums and garters include two names, a bell, a helmet and a football. 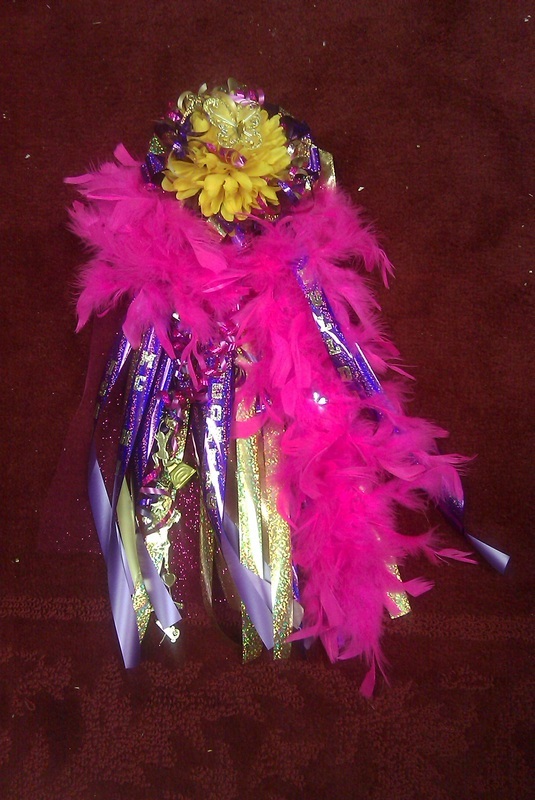 2 military style braids are included on our basic mums, but we have box braids (2 sizes) available also. We have a large selection of trinkets and plush mascots available. 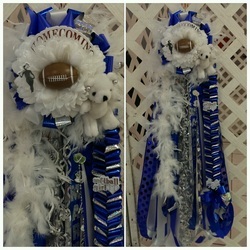 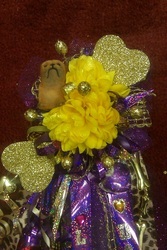 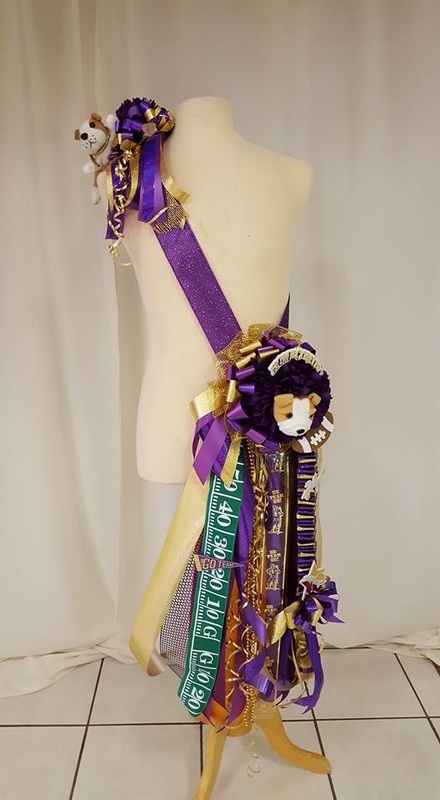 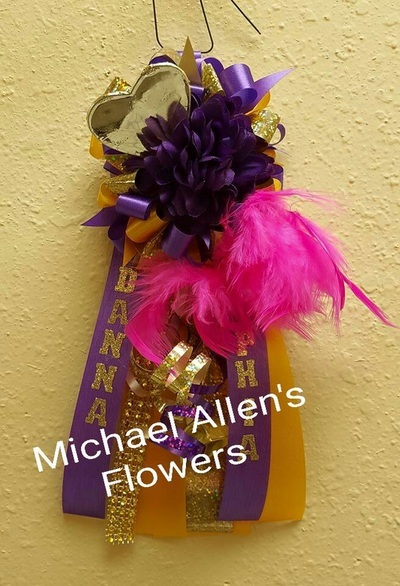 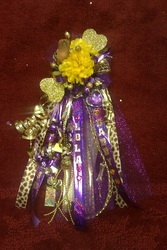 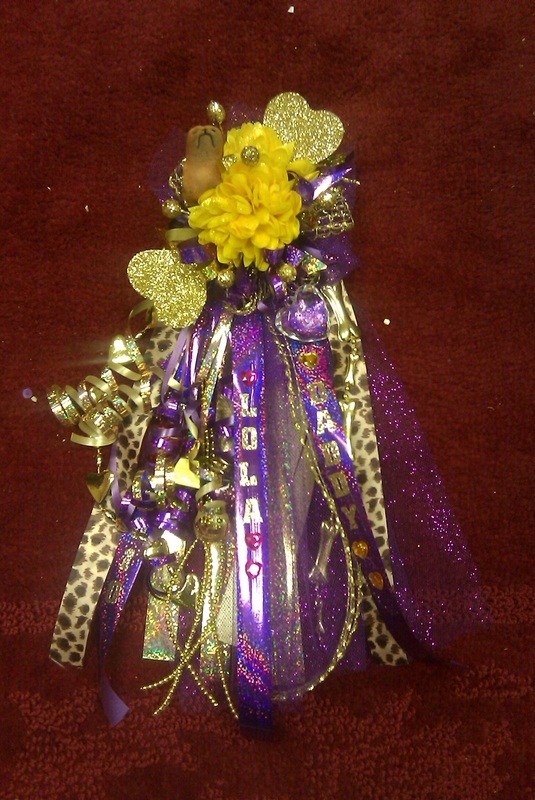 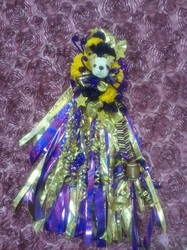 We can custom design your mum or garter and they are available in singles, doubles, & triples. 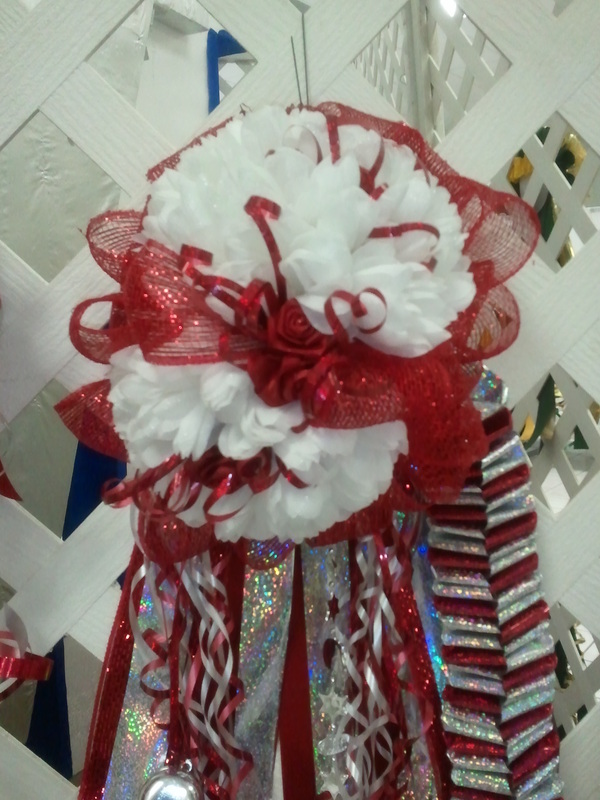 We also have sash mums available. Call or stop by for more info. 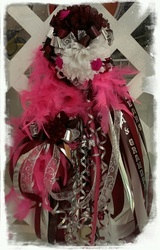 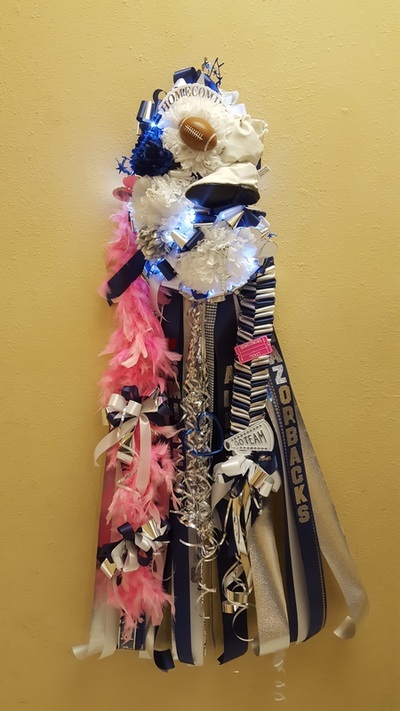 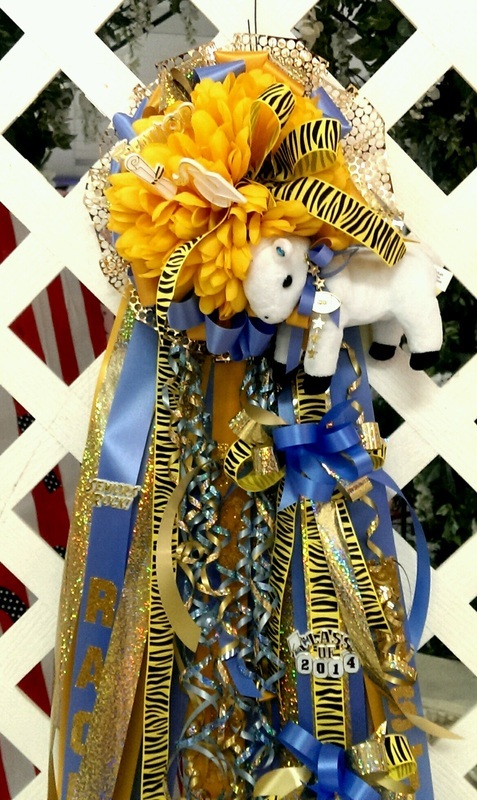 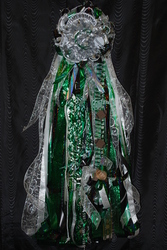 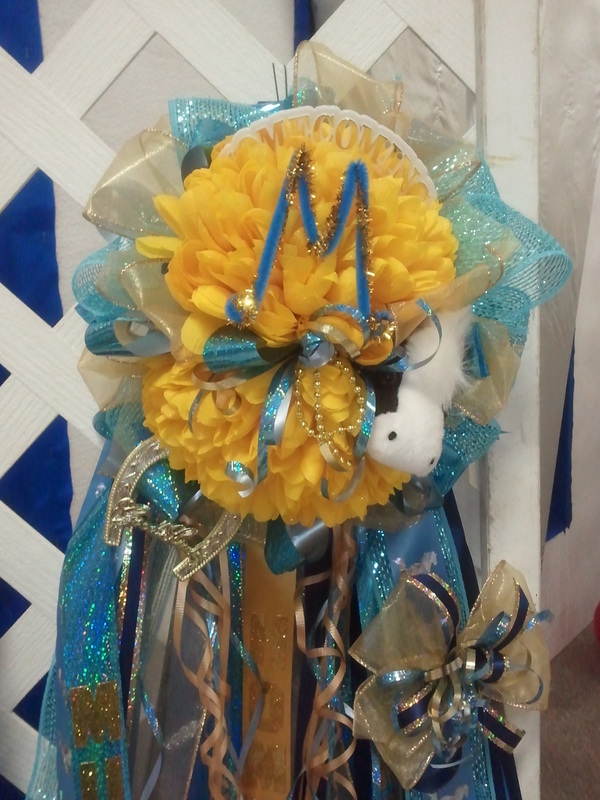 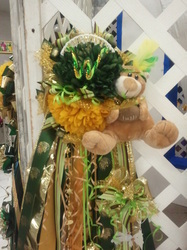 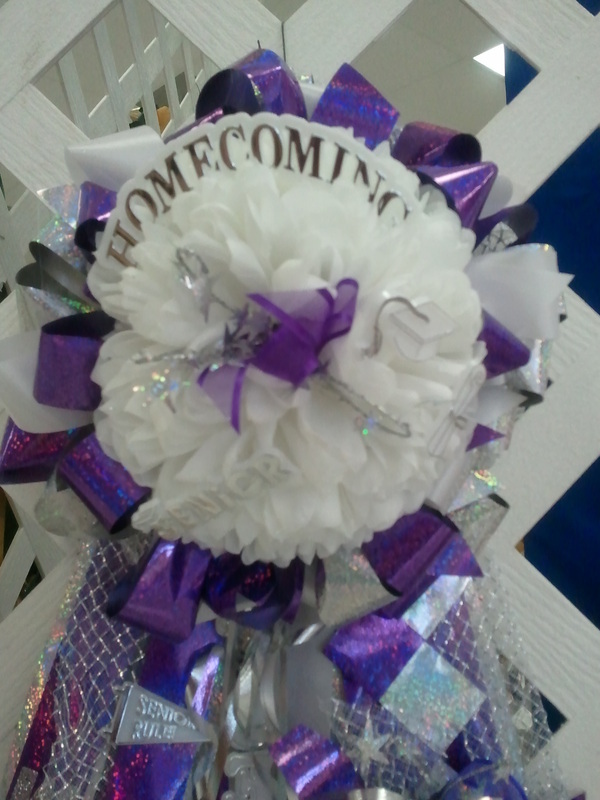 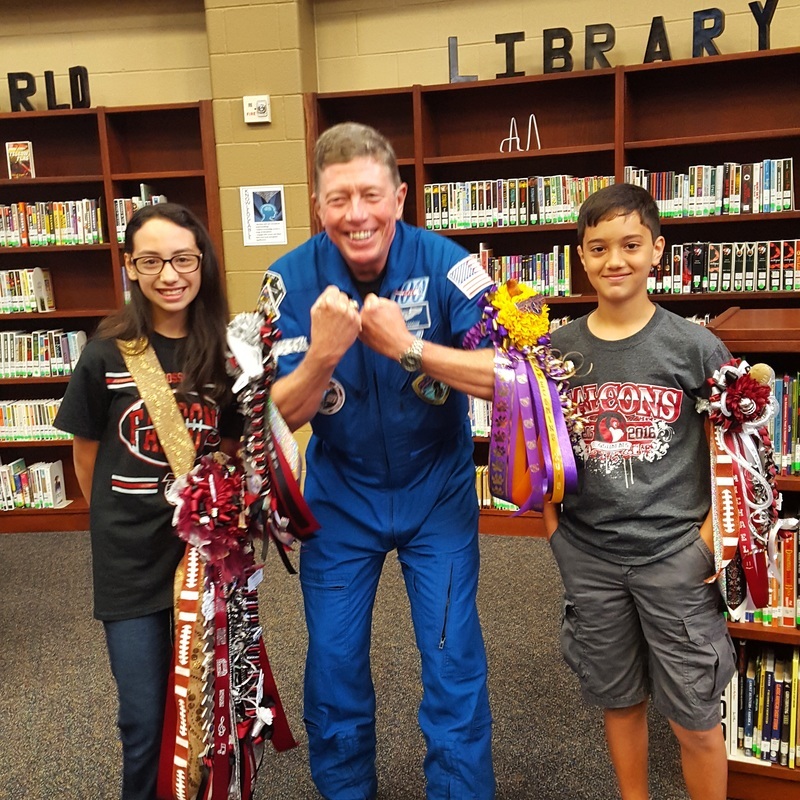 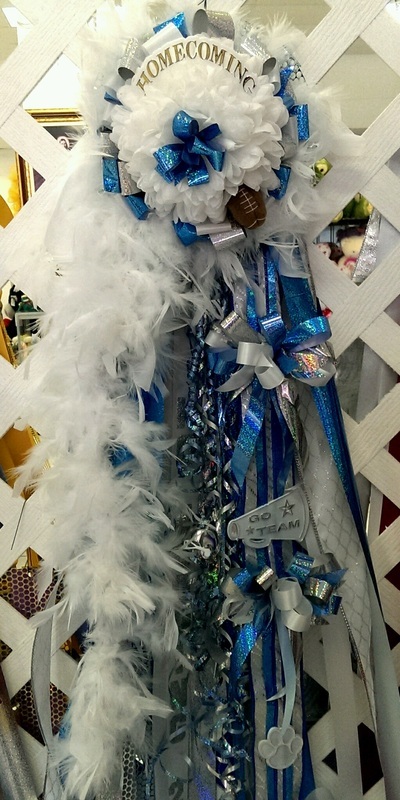 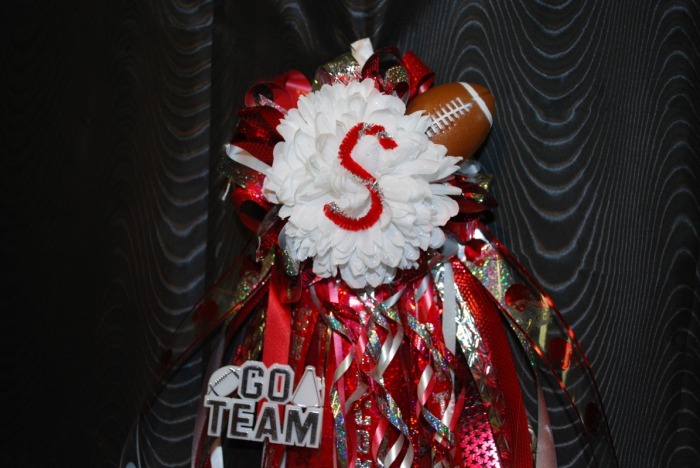 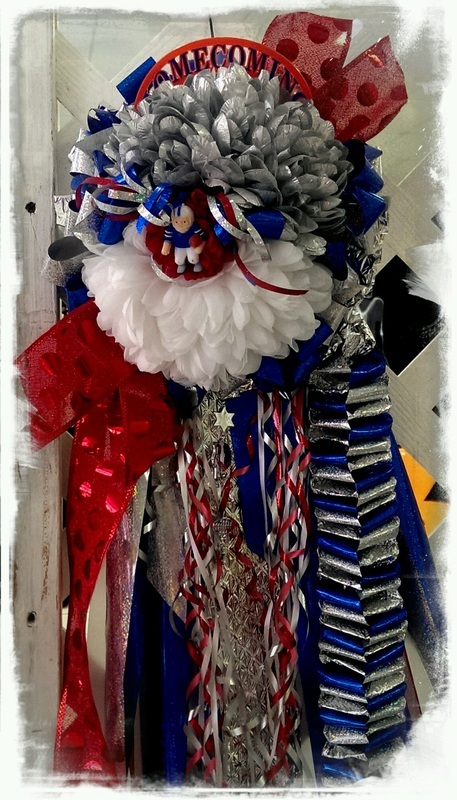 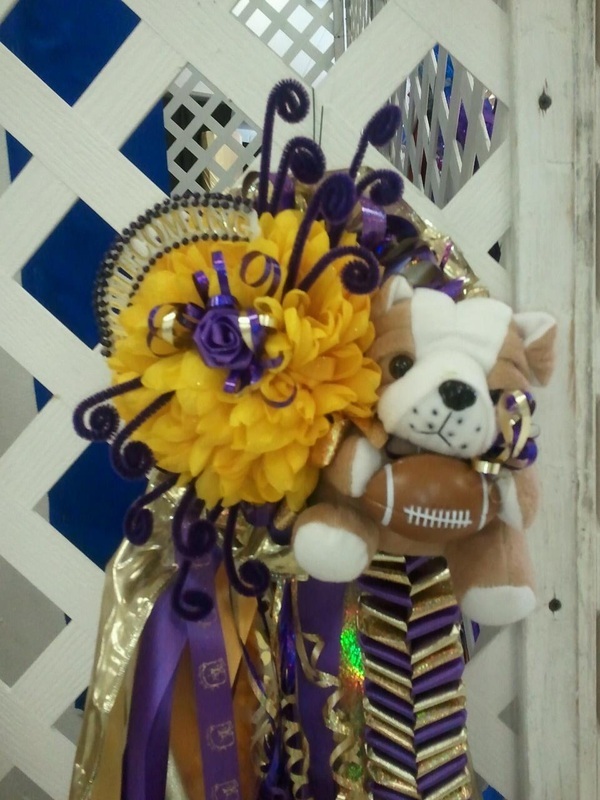 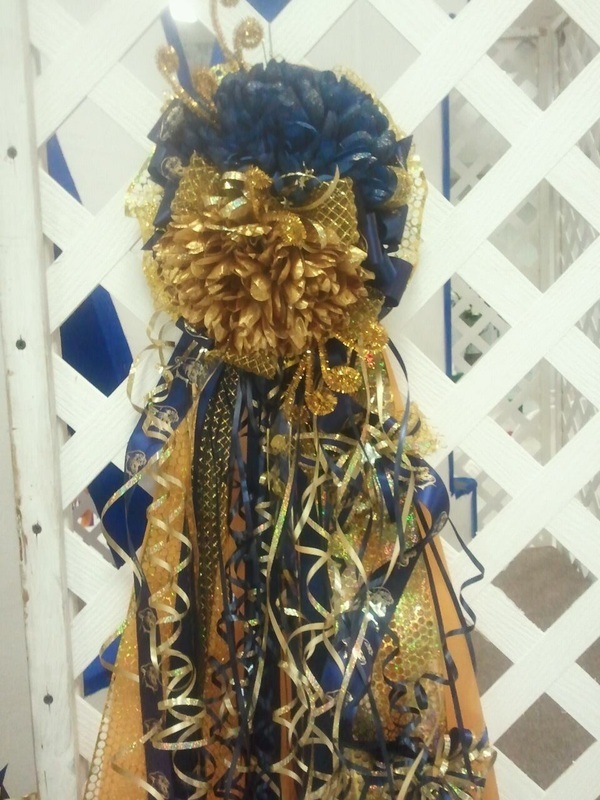 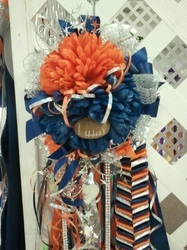 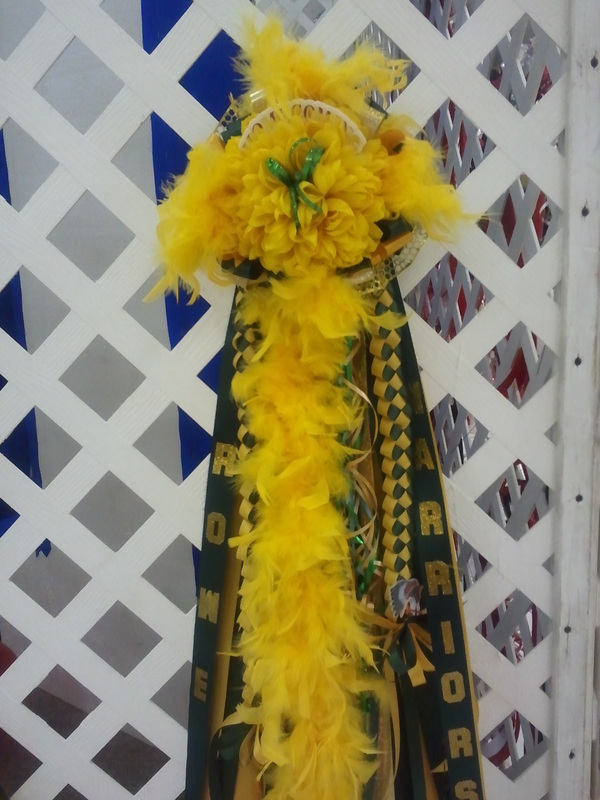 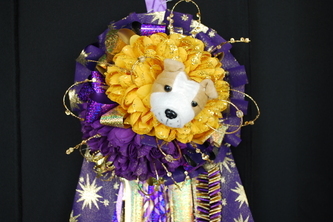 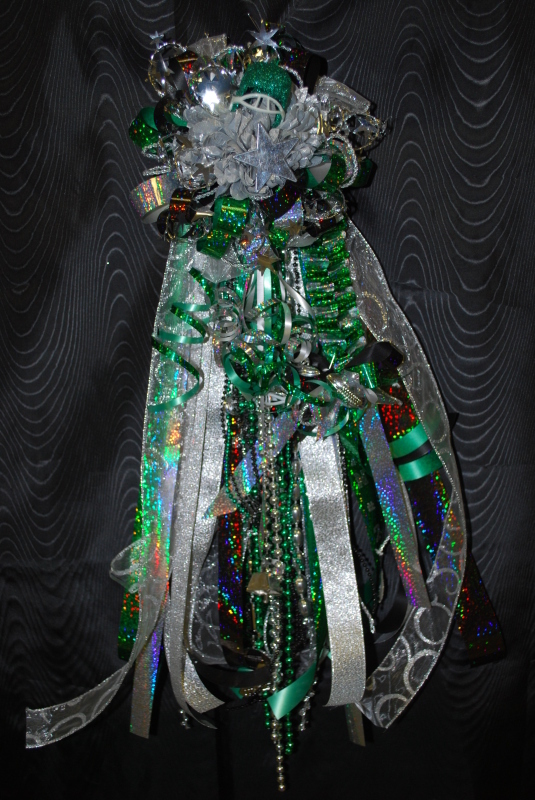 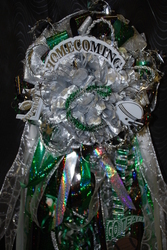 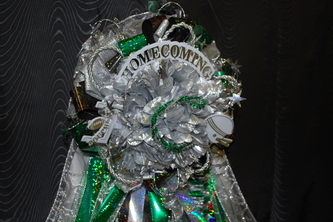 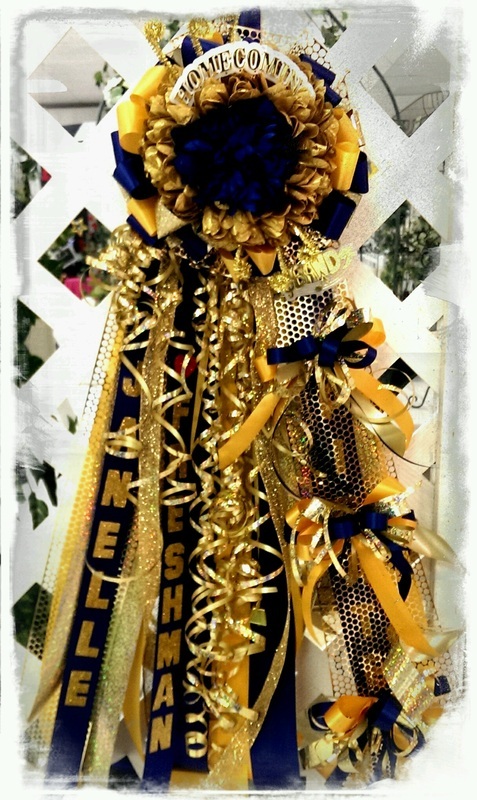 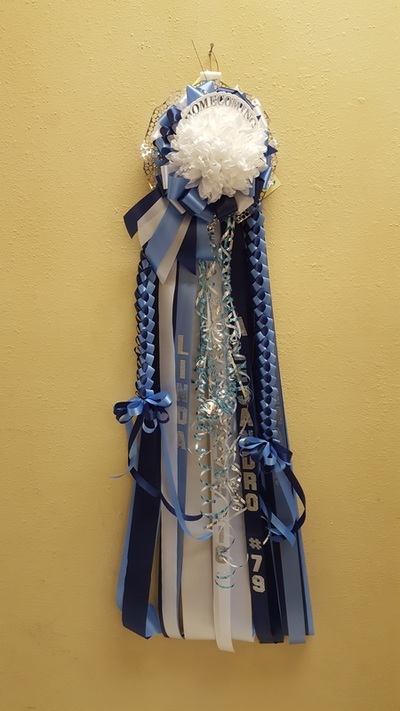 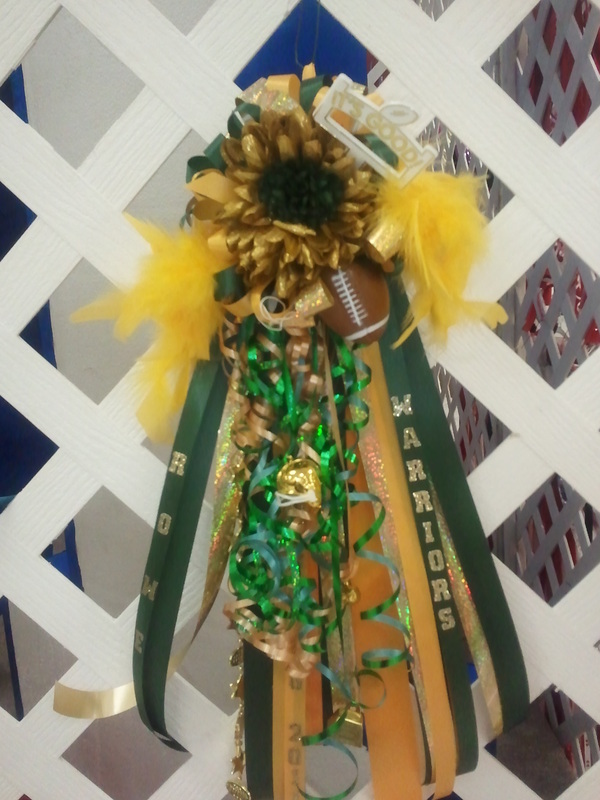 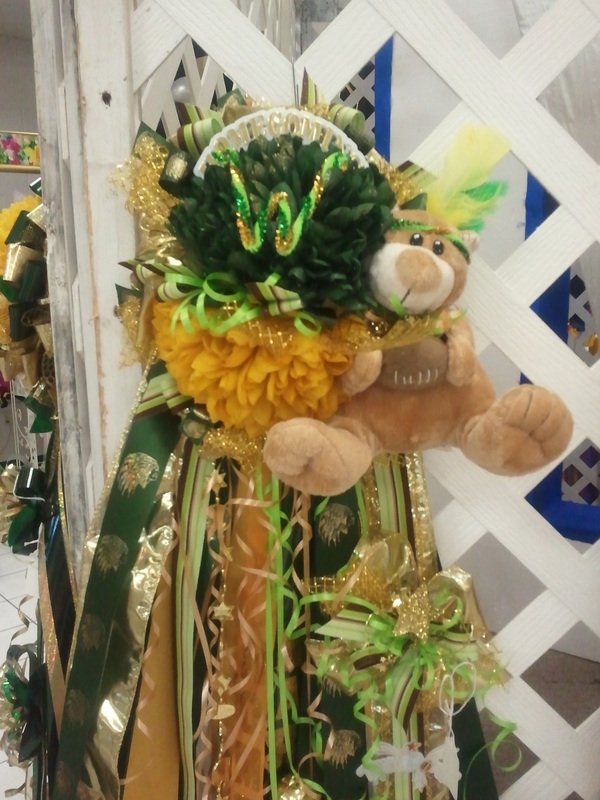 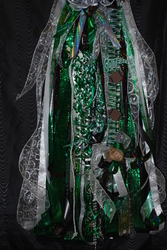 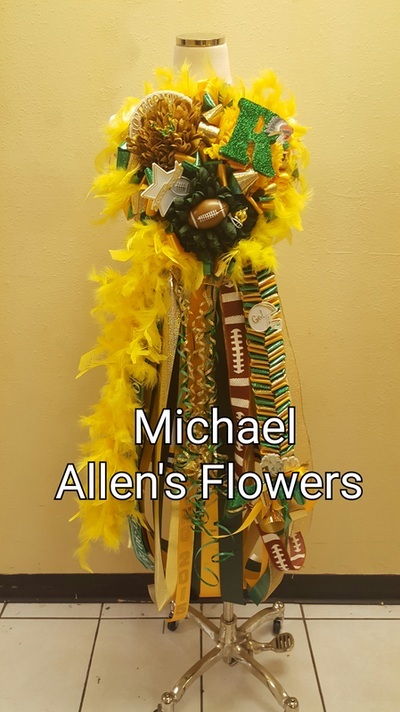 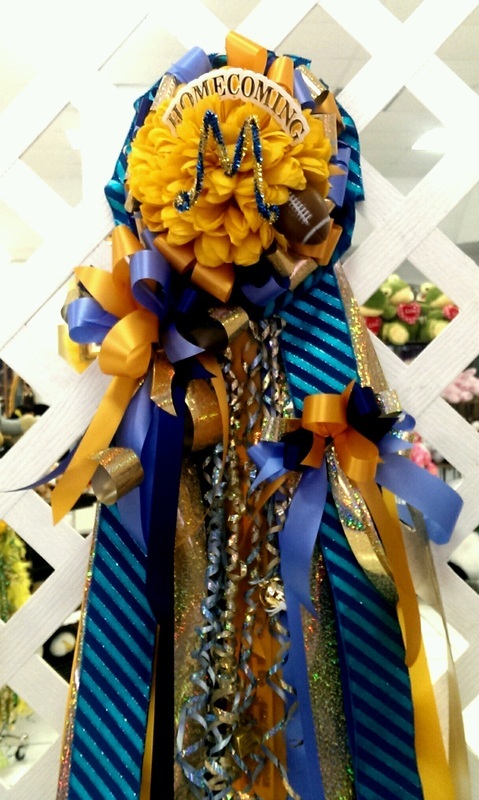 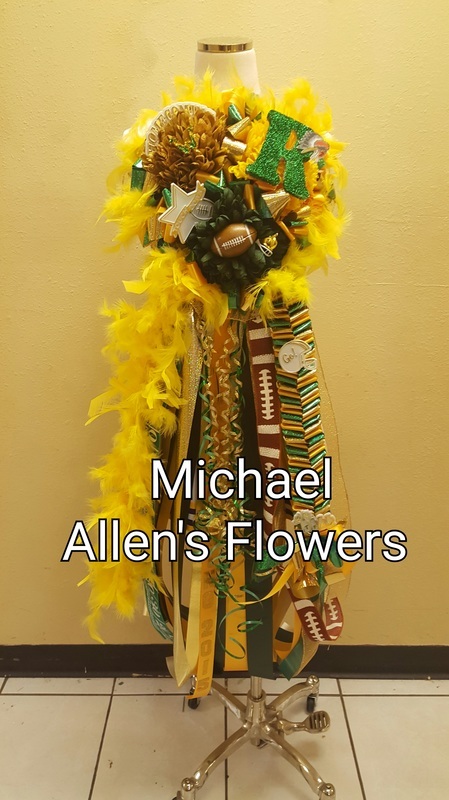 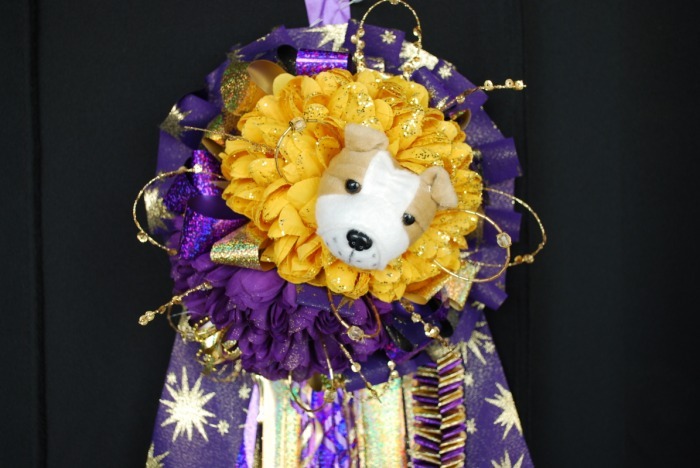 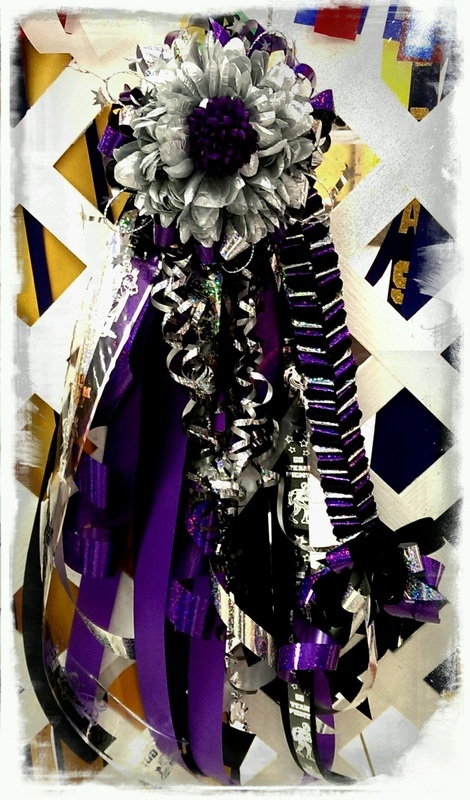 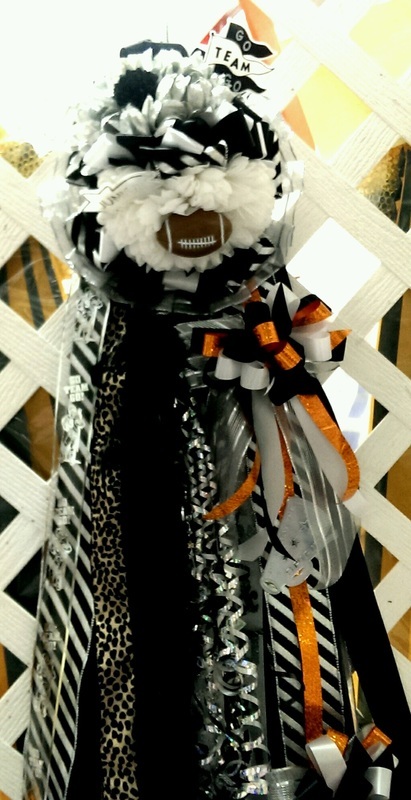 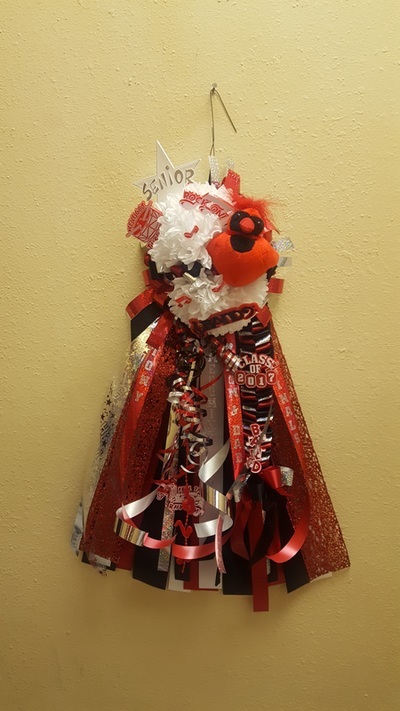 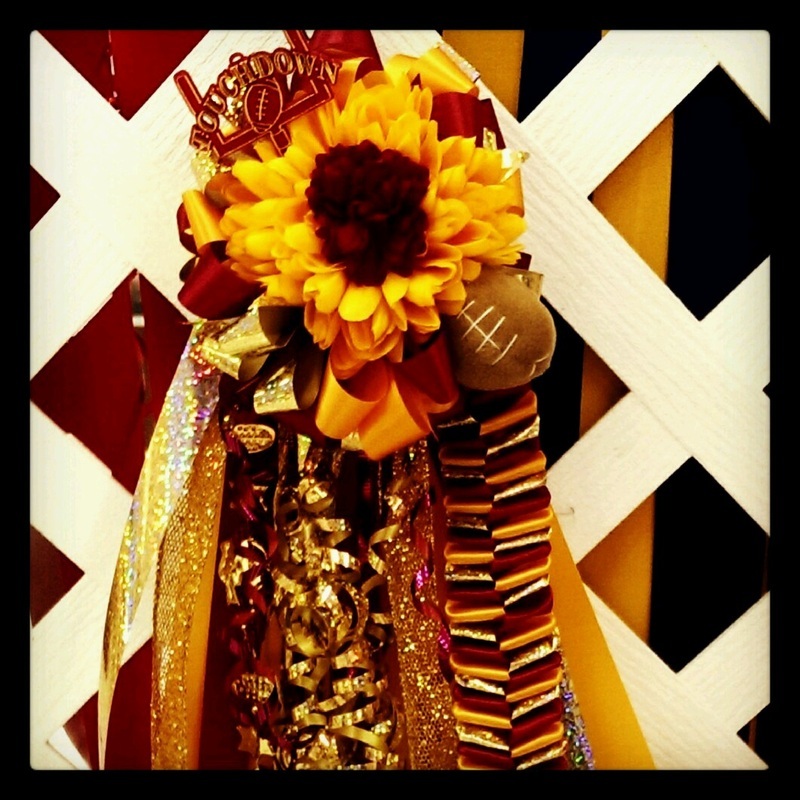 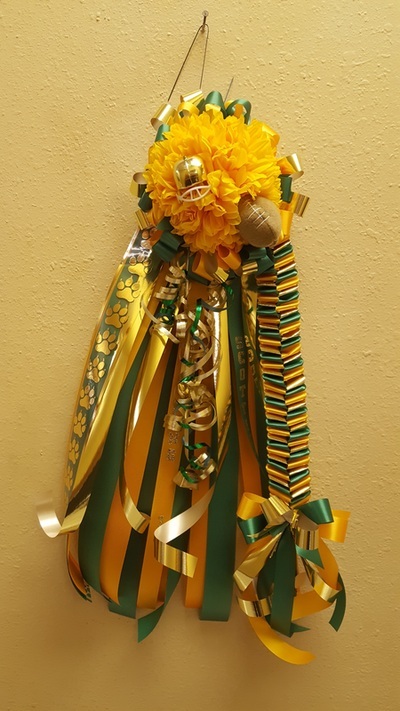 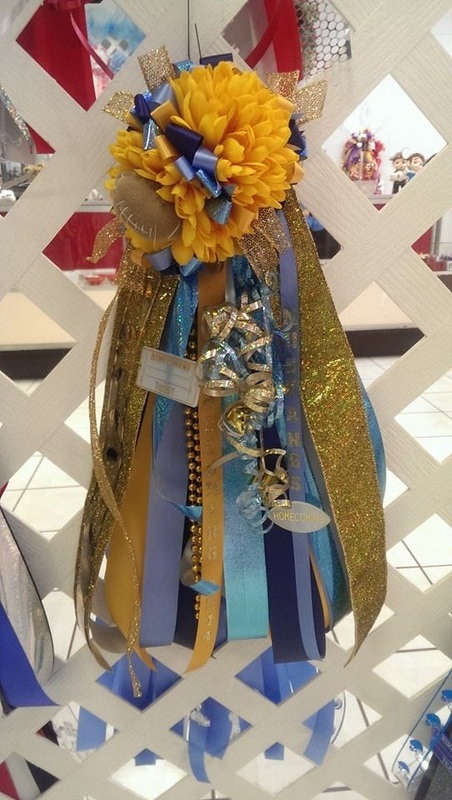 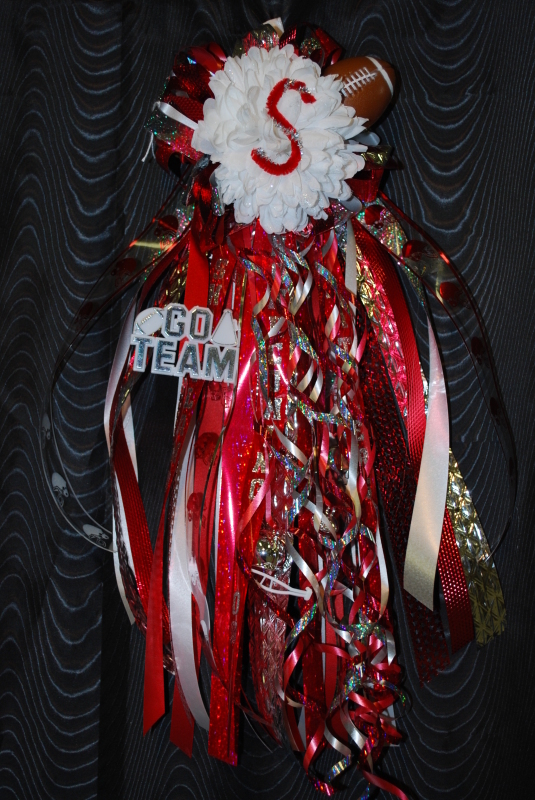 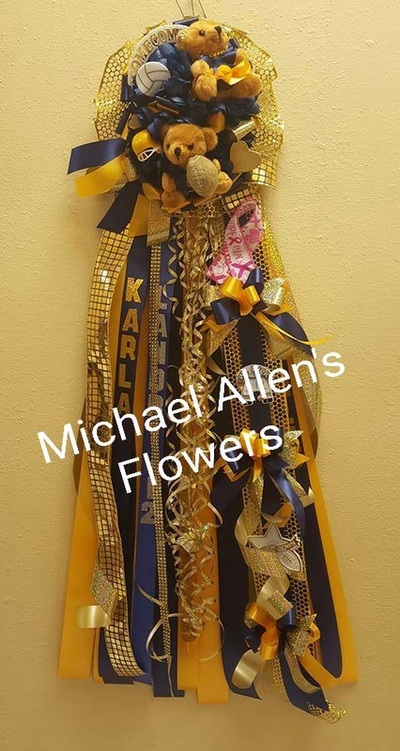 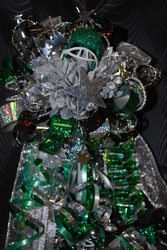 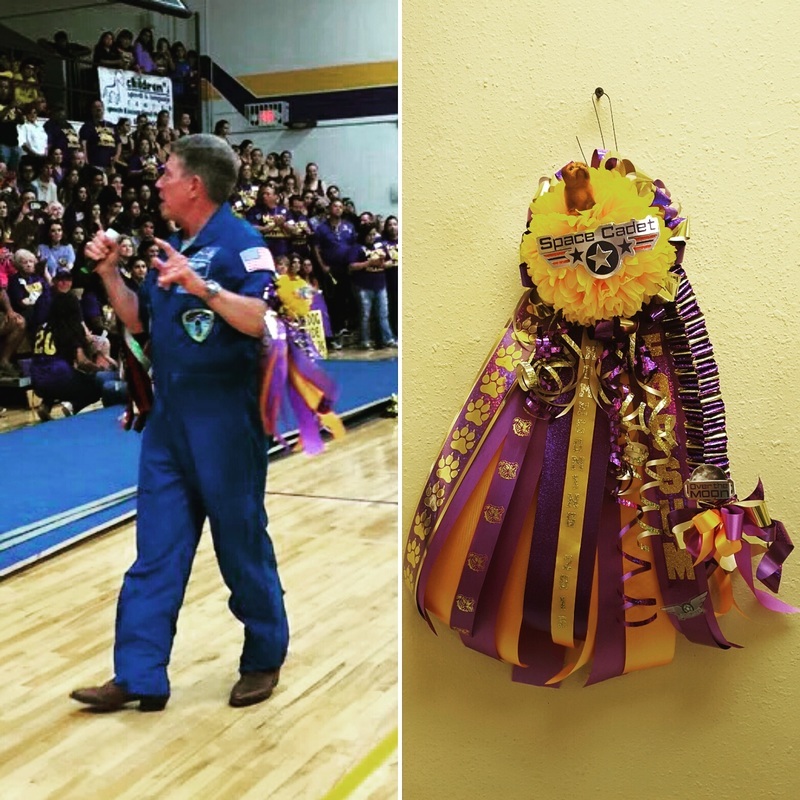 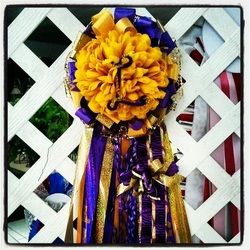 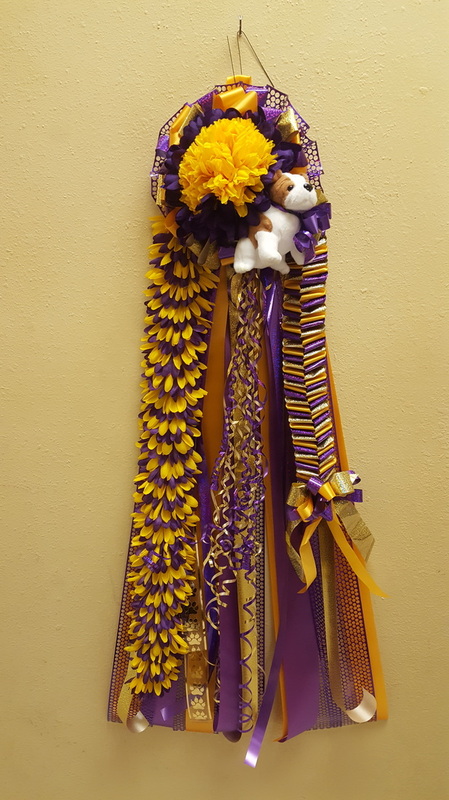 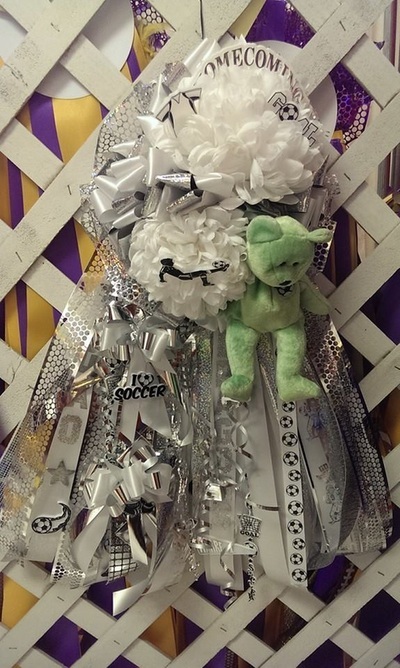 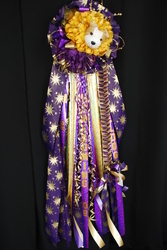 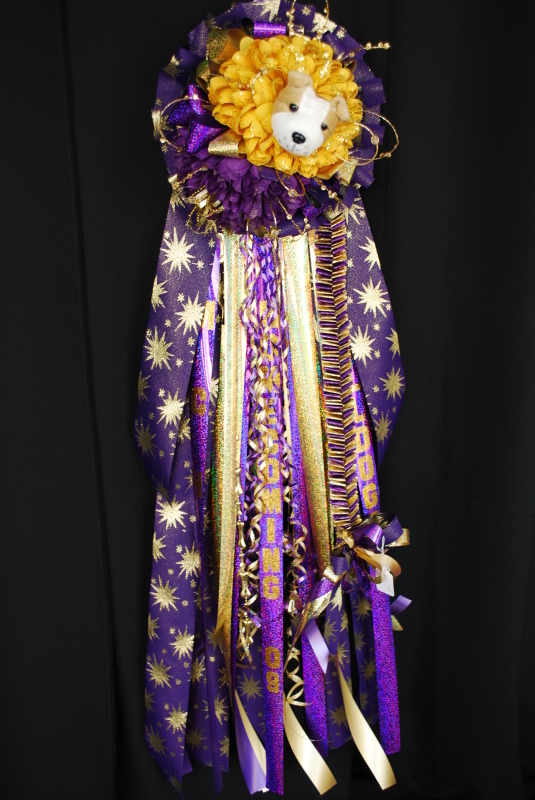 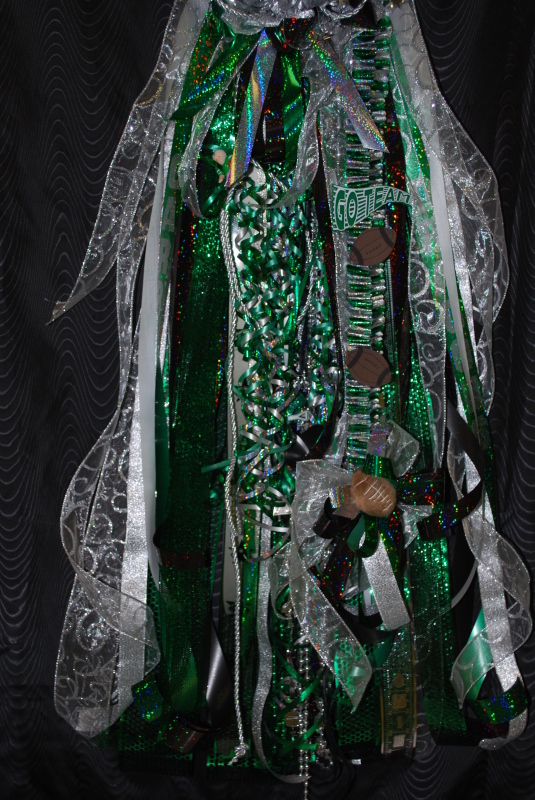 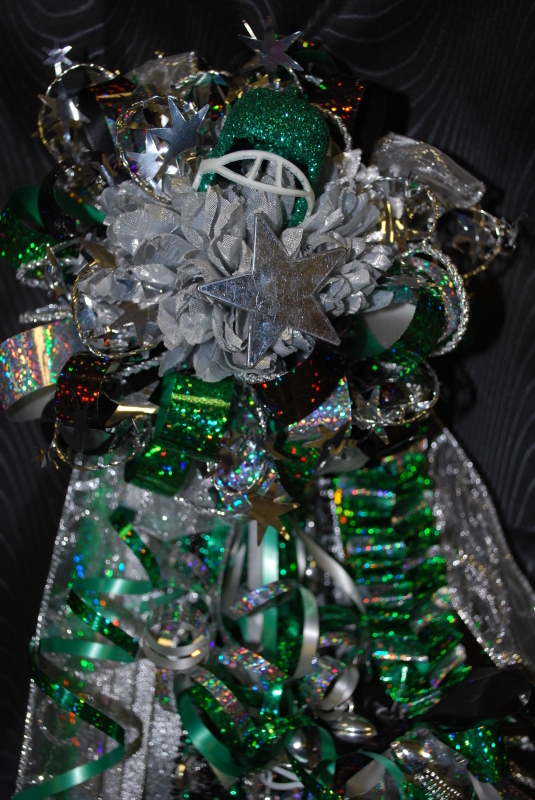 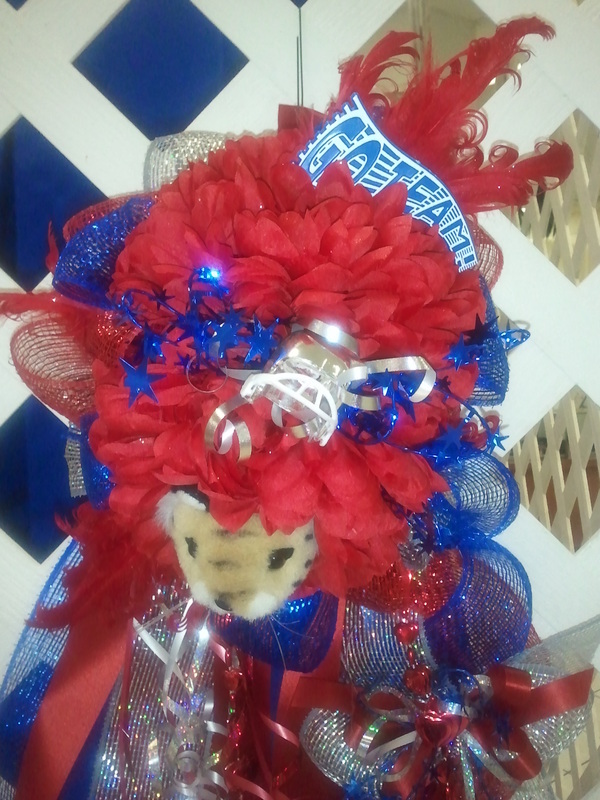 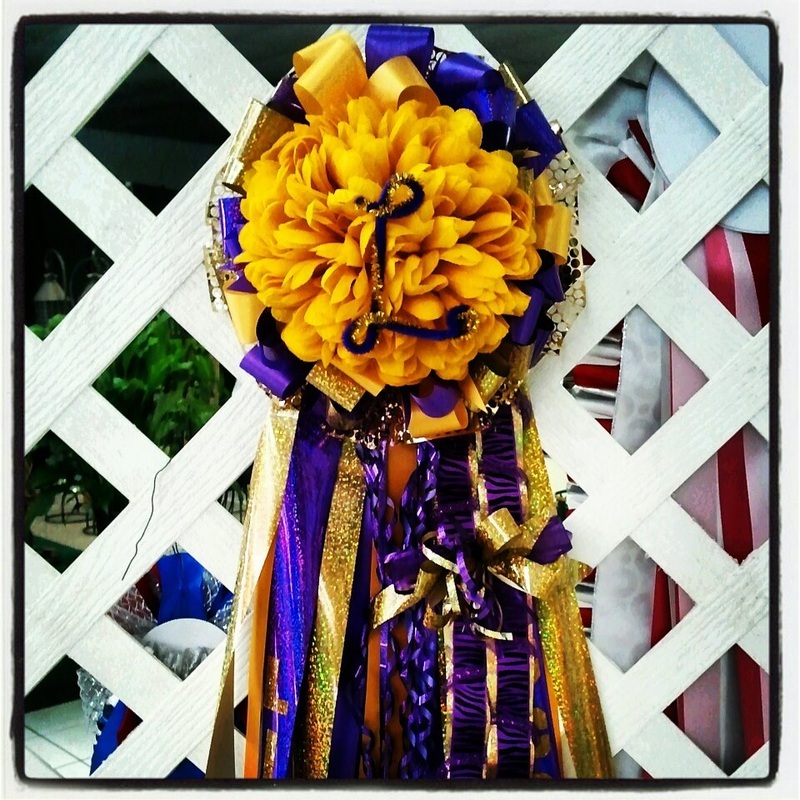 FOR MORE PICS OF OUR HOMECOMING MUMS AND GARTERS, CHECK US OUT ON FACEBOOK.